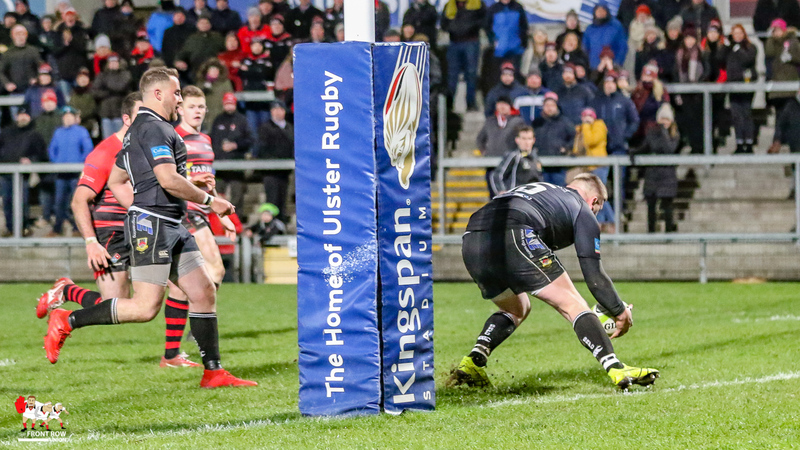 Friday 8th February 2019. 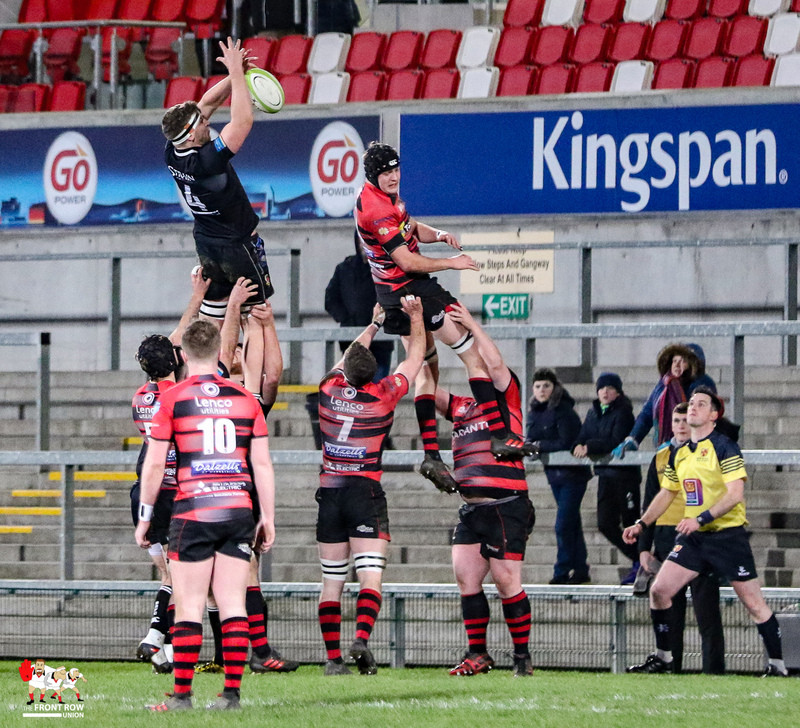 City of Armagh lift the Ulster Senior Cup after a hard fought win against Ballymena at a windy Ravenhill. 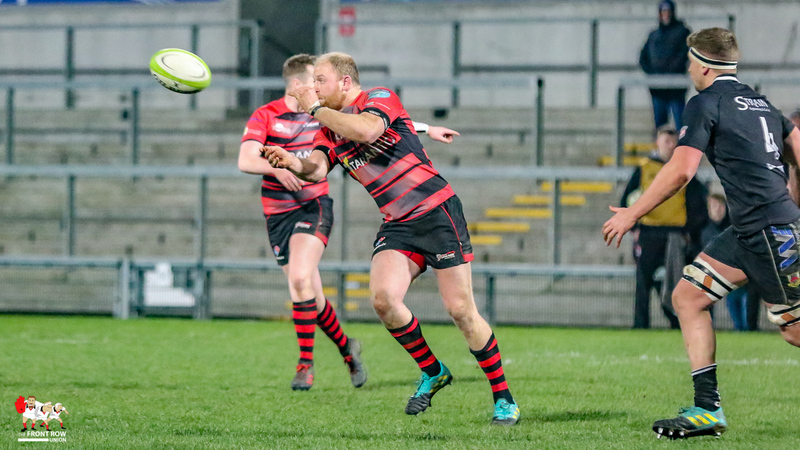 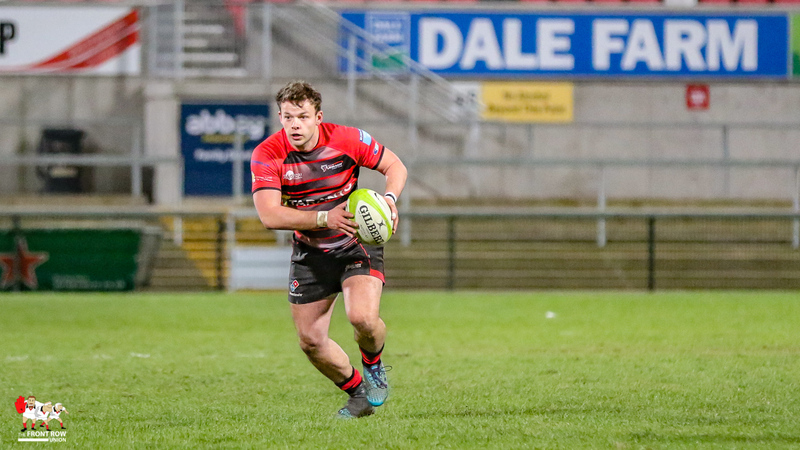 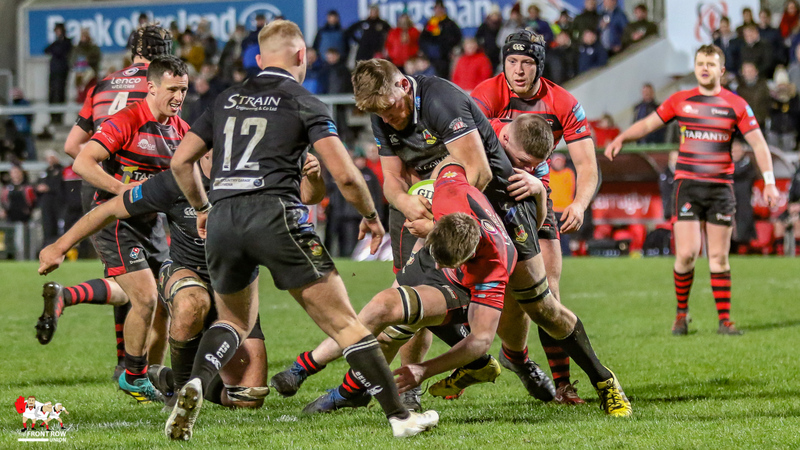 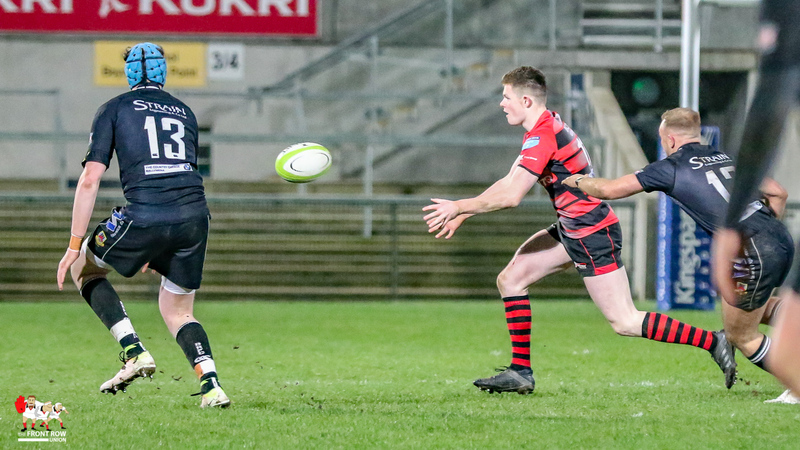 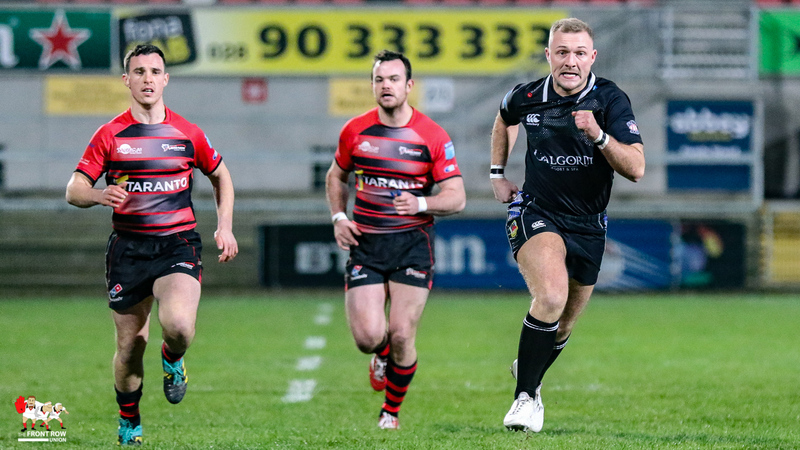 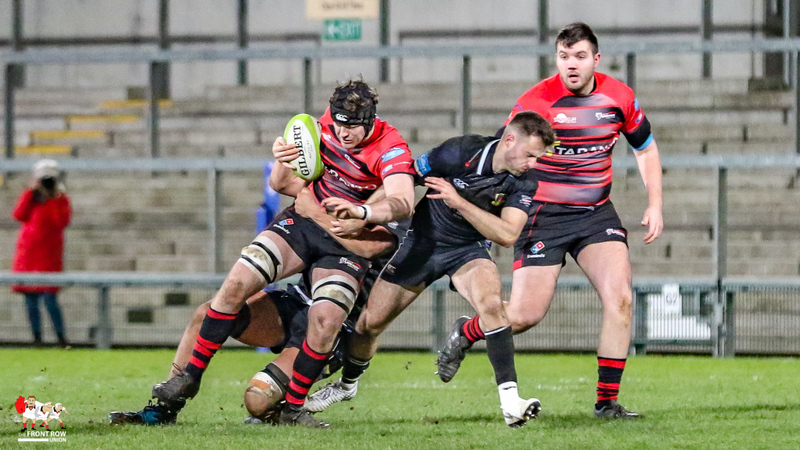 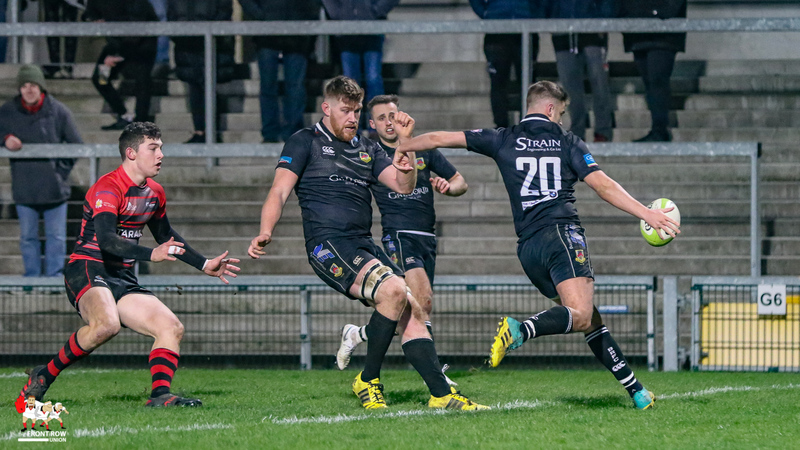 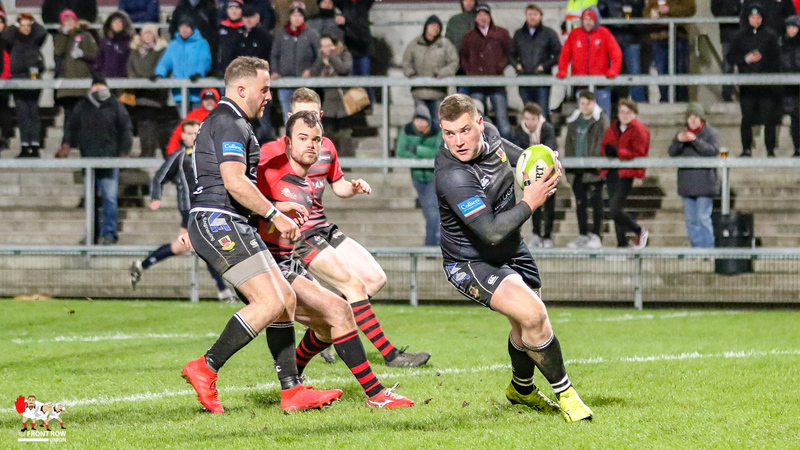 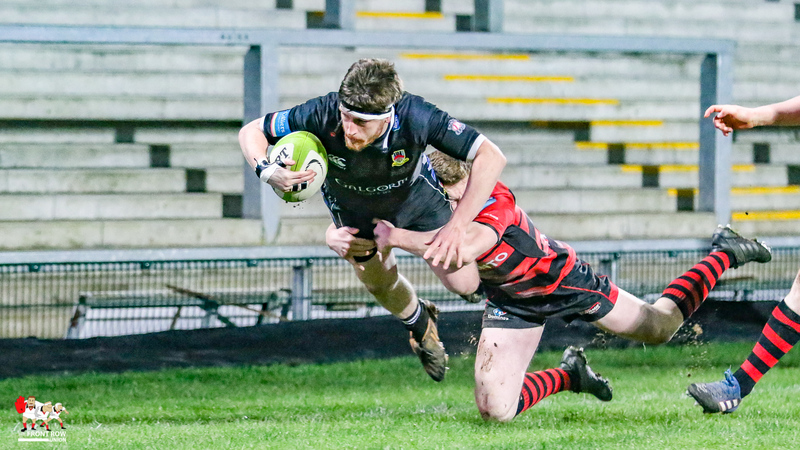 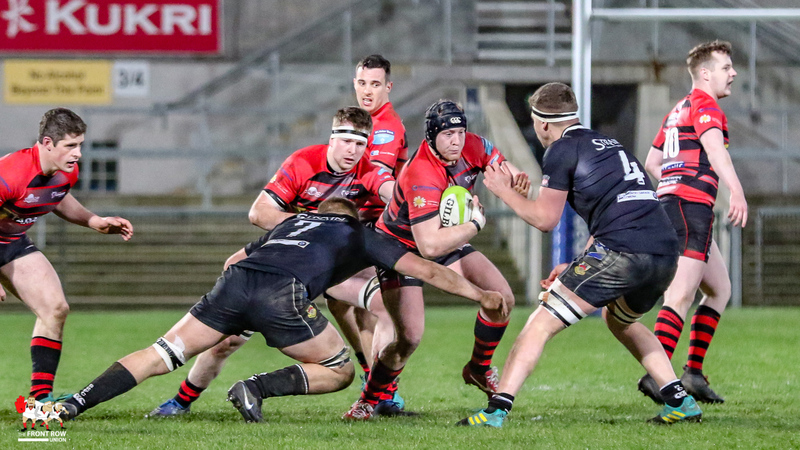 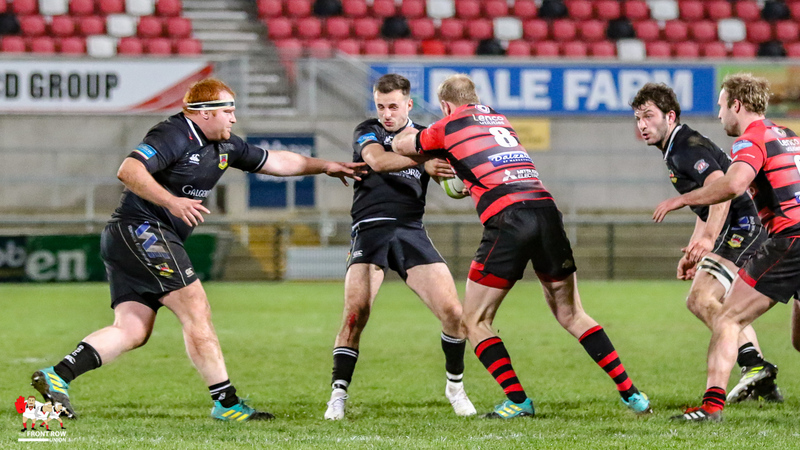 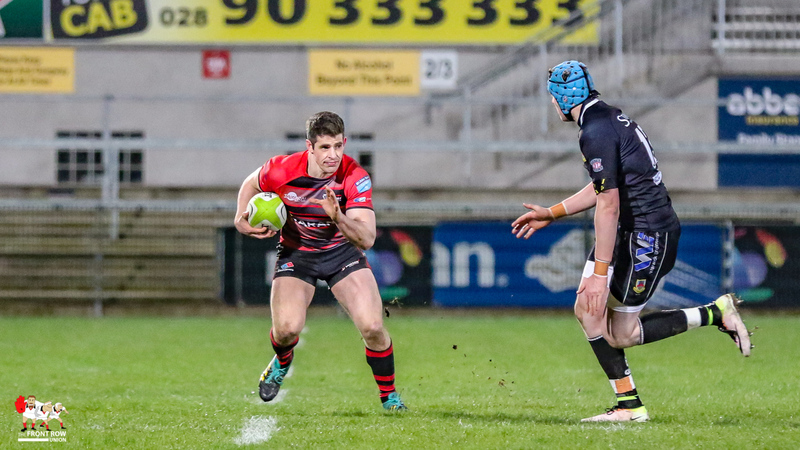 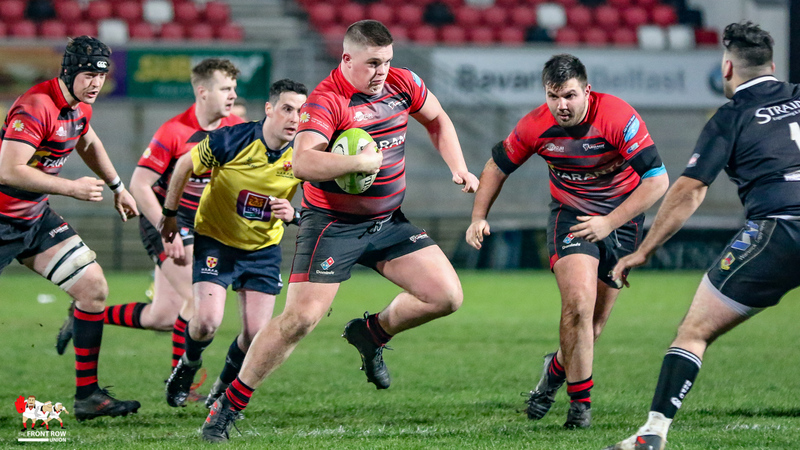 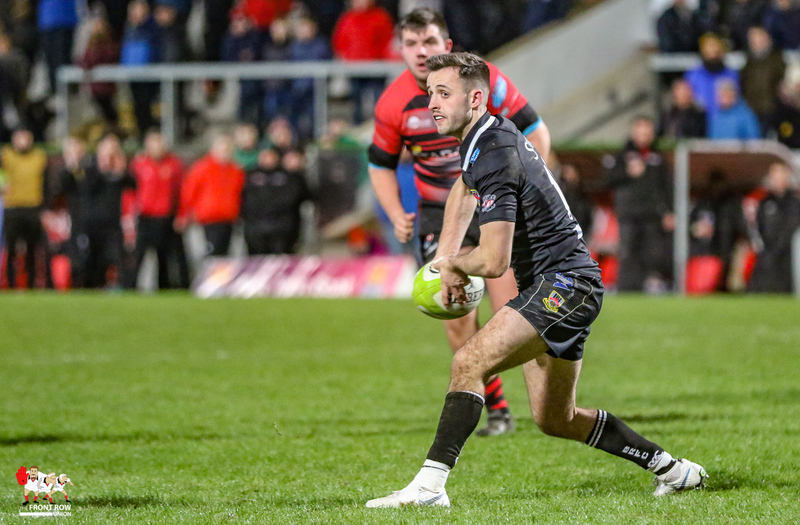 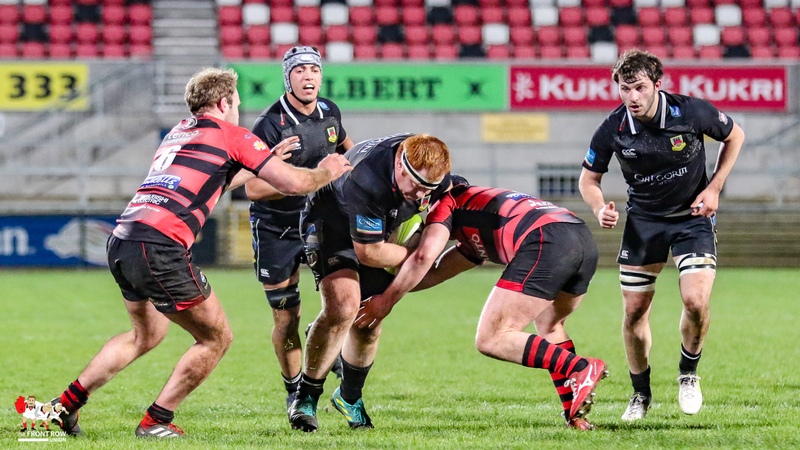 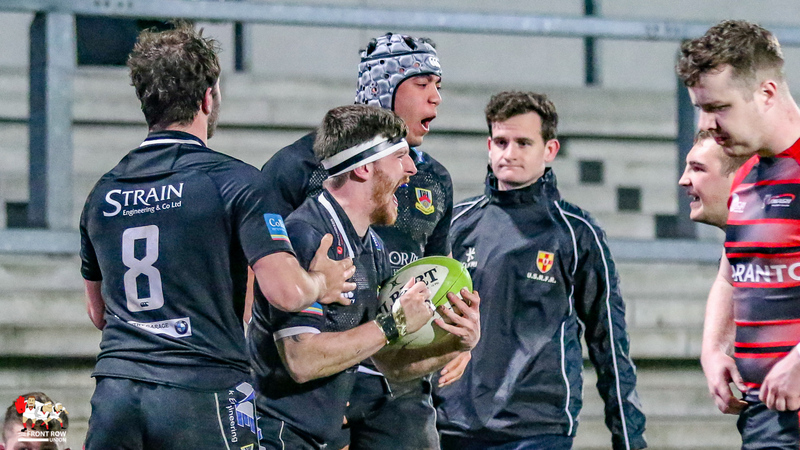 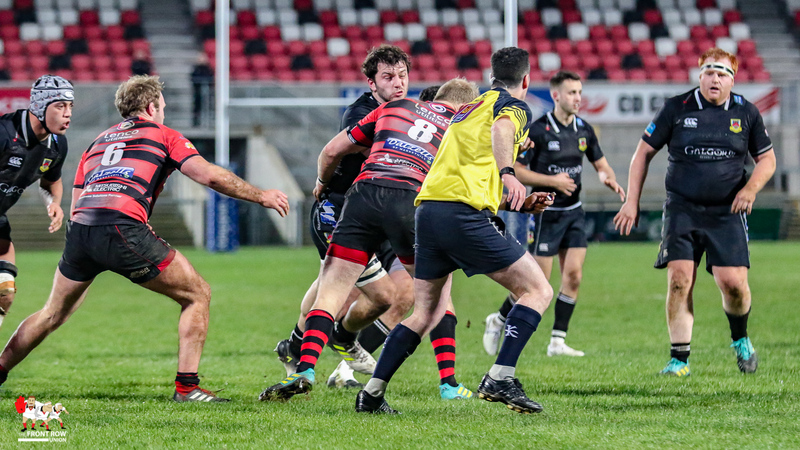 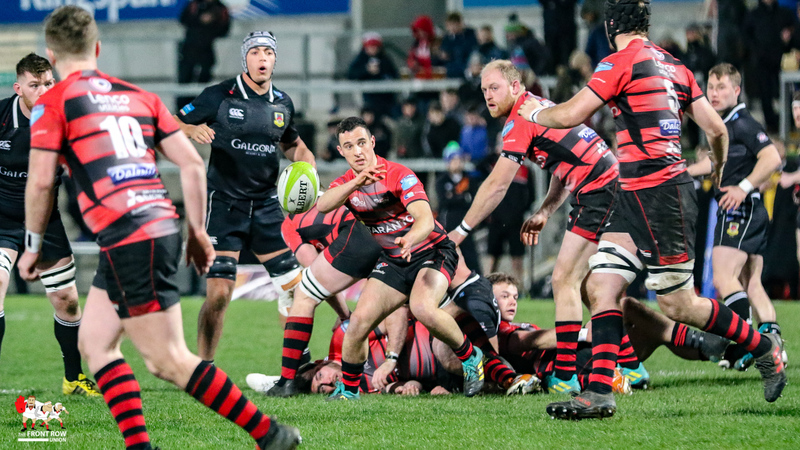 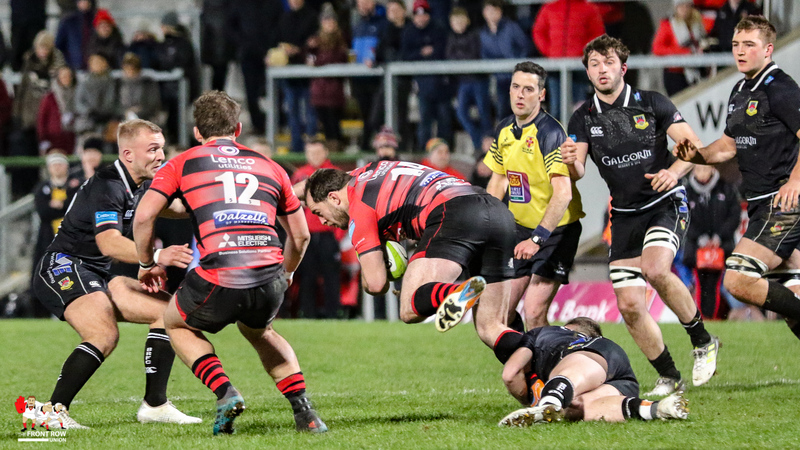 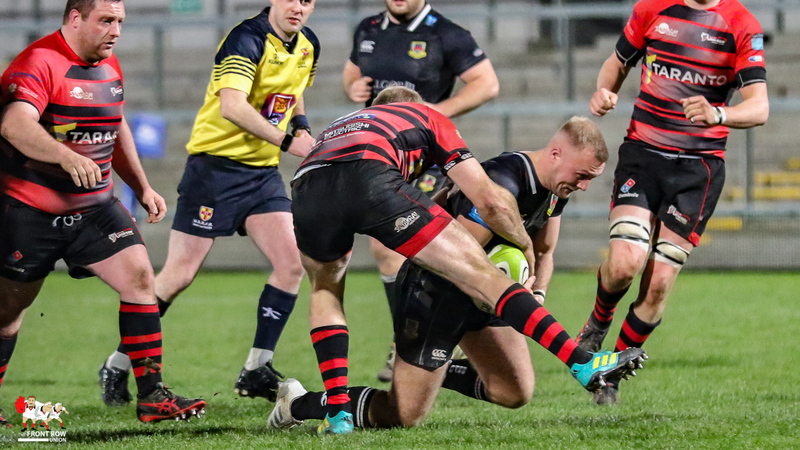 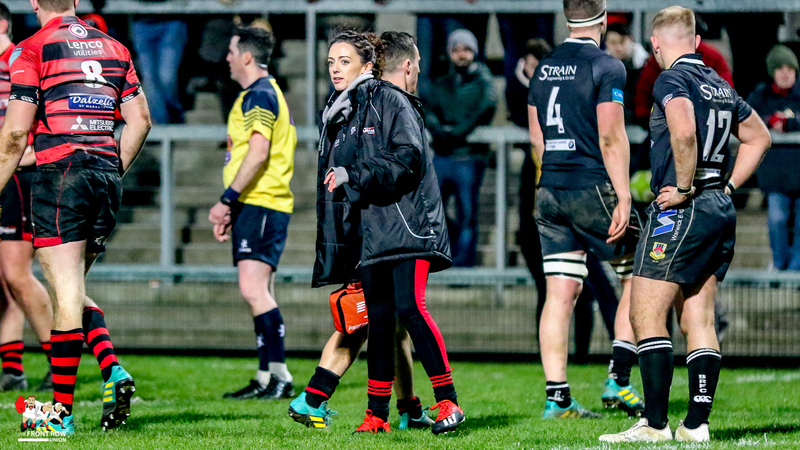 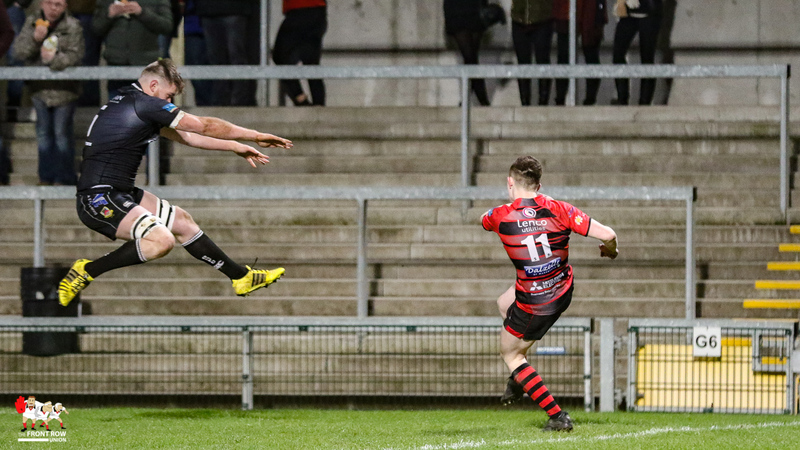 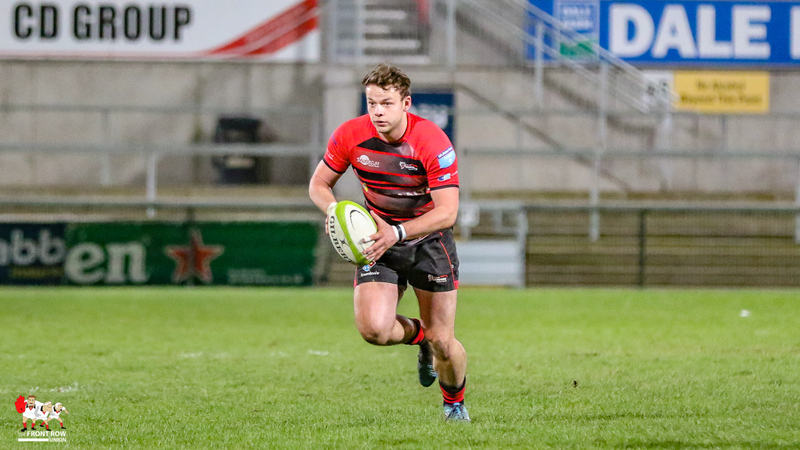 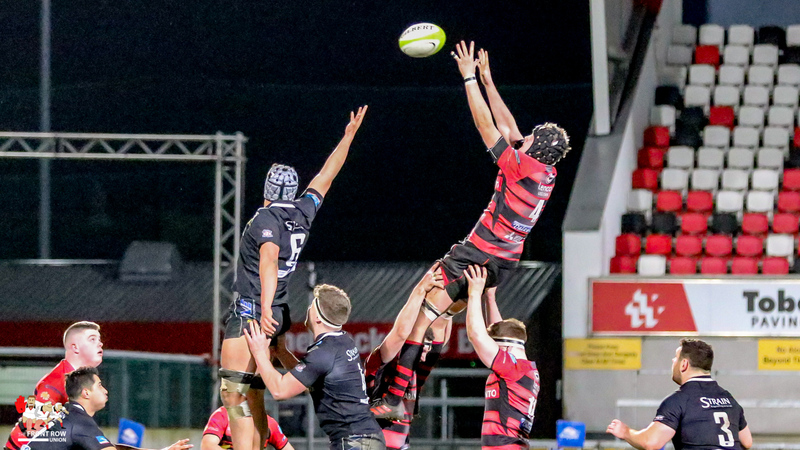 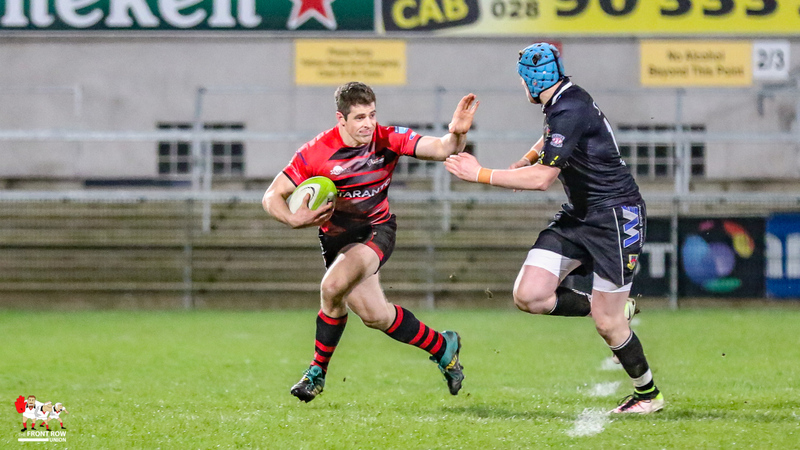 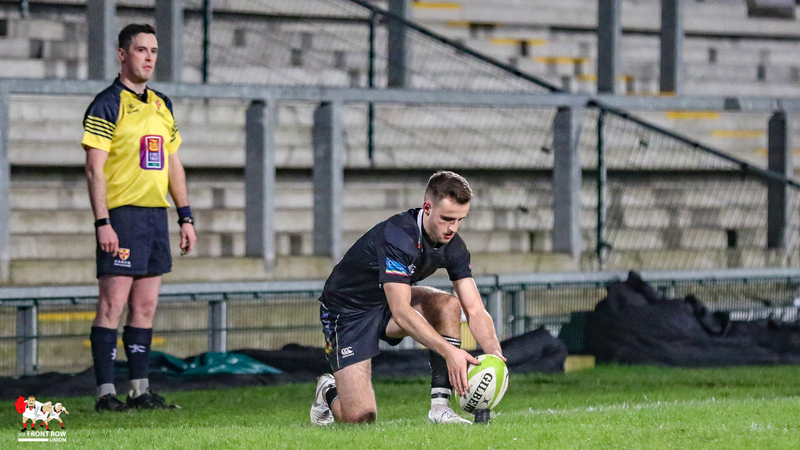 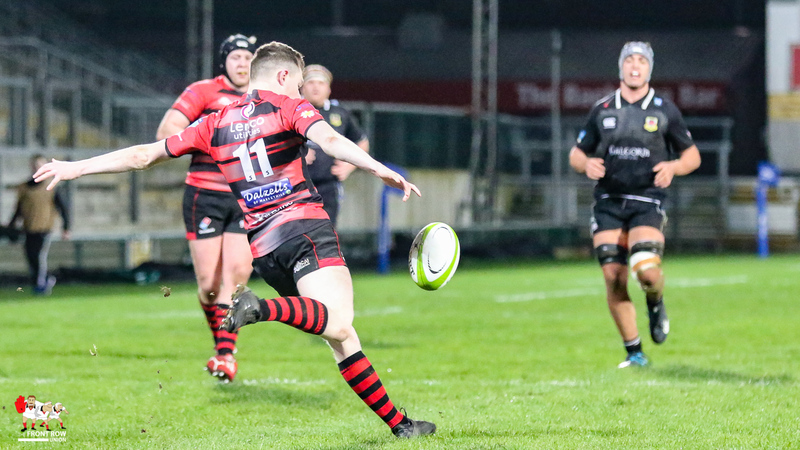 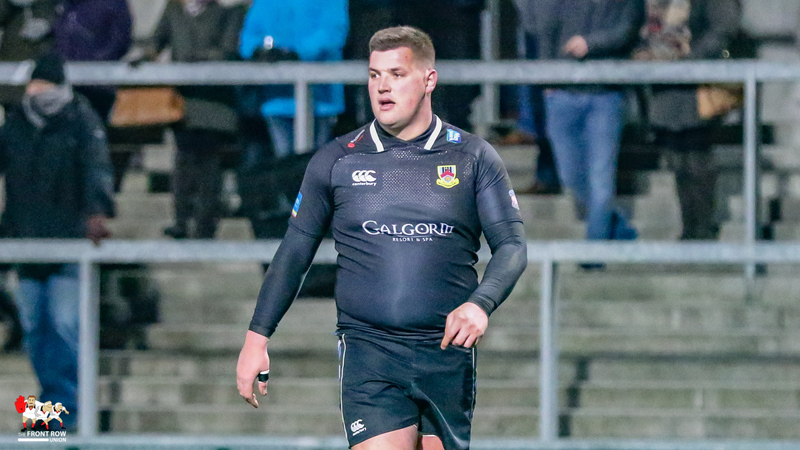 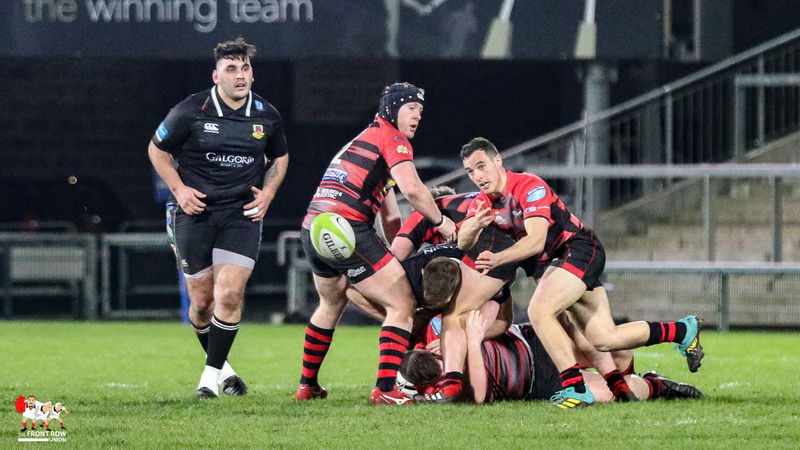 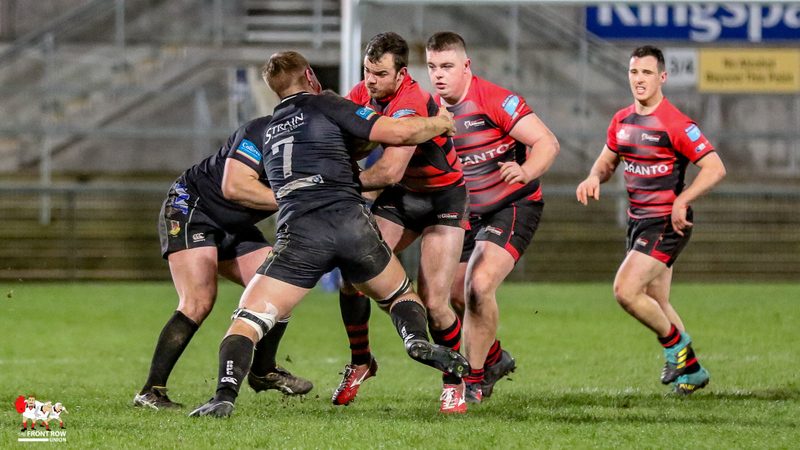 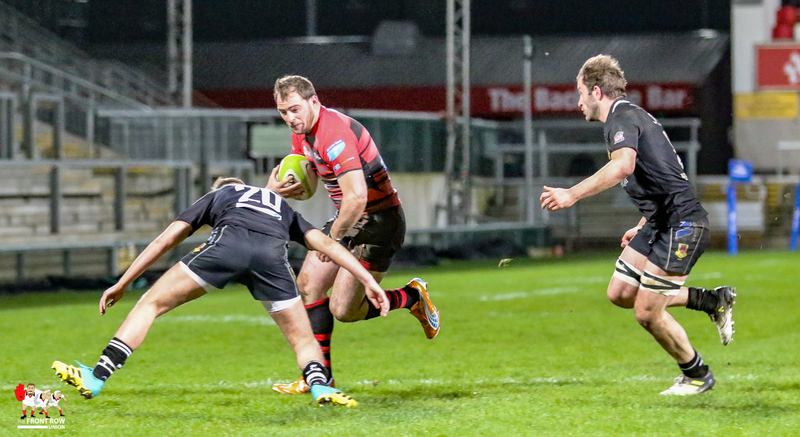 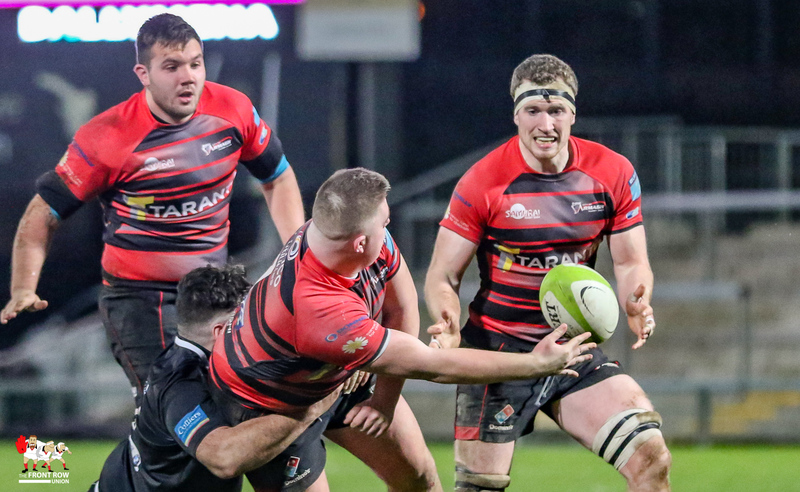 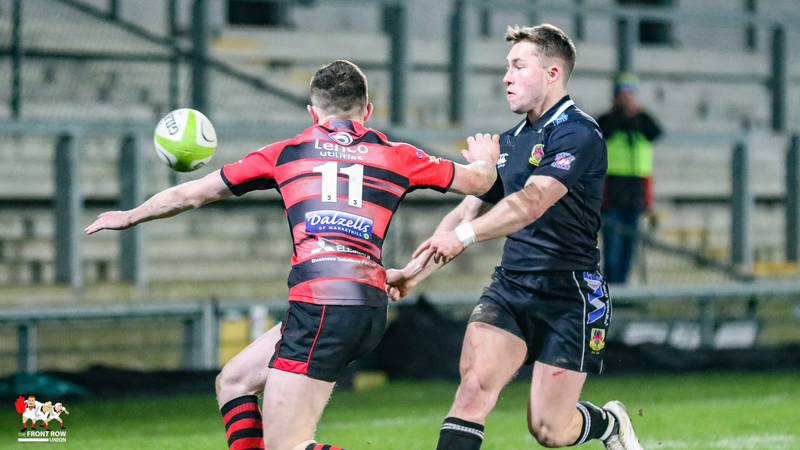 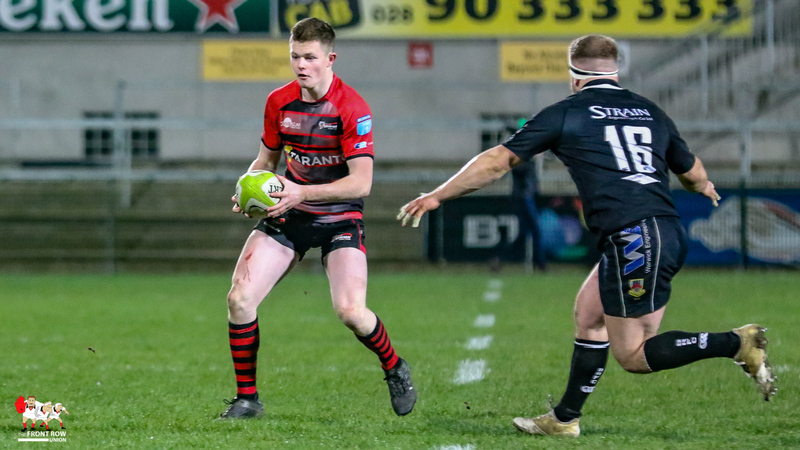 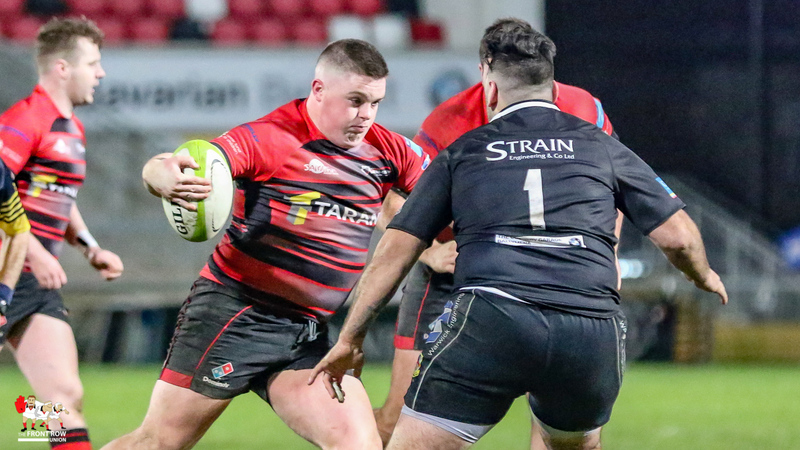 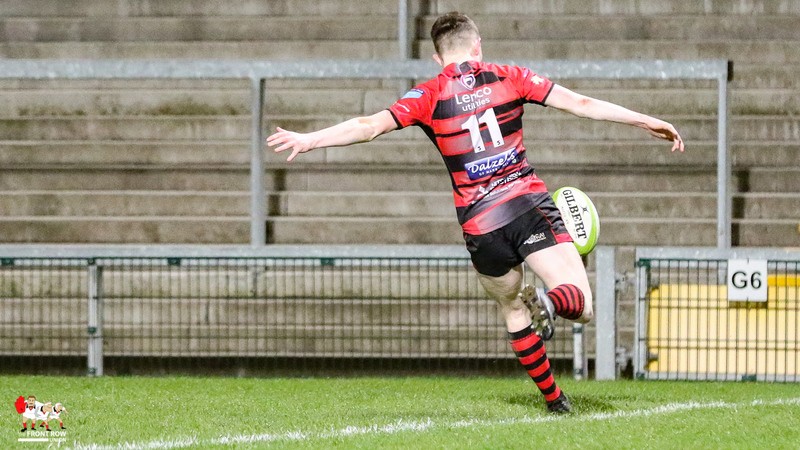 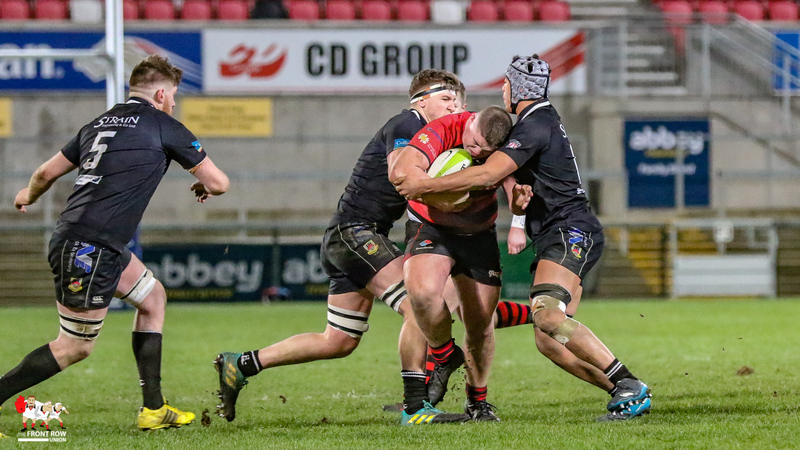 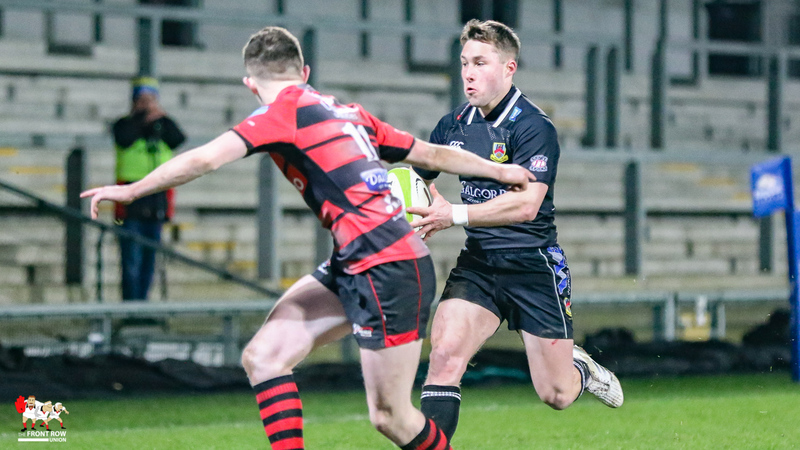 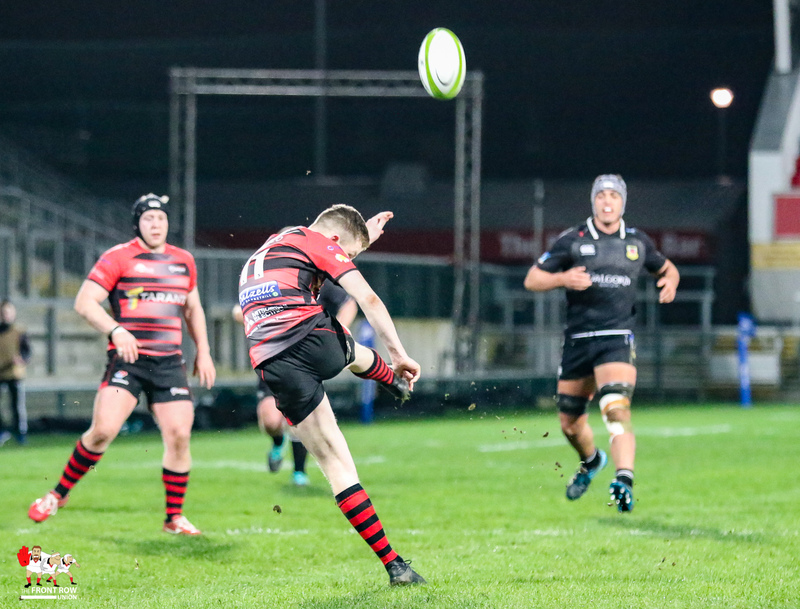 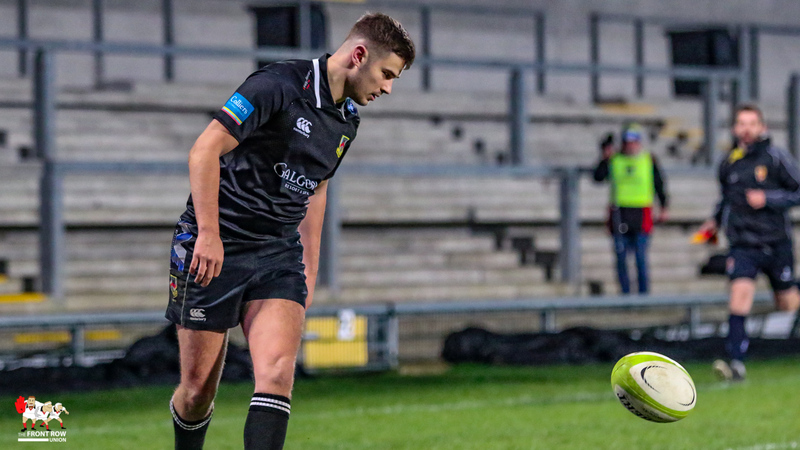 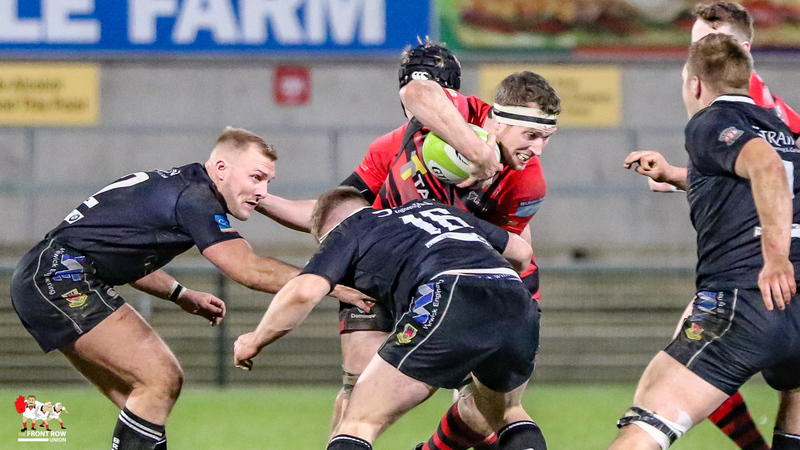 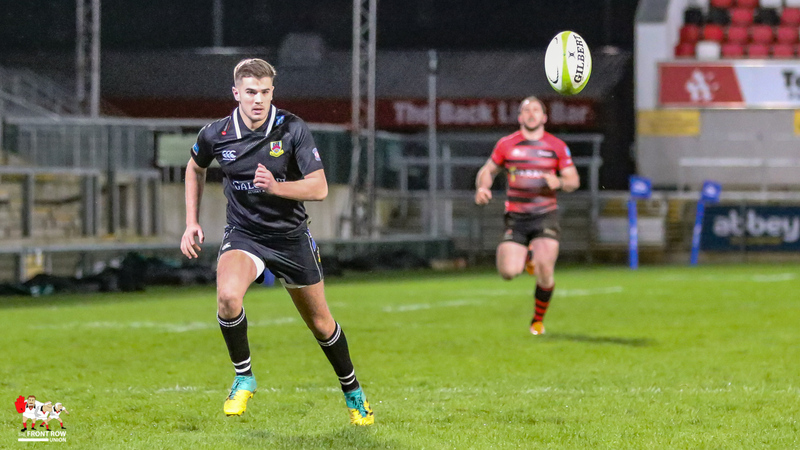 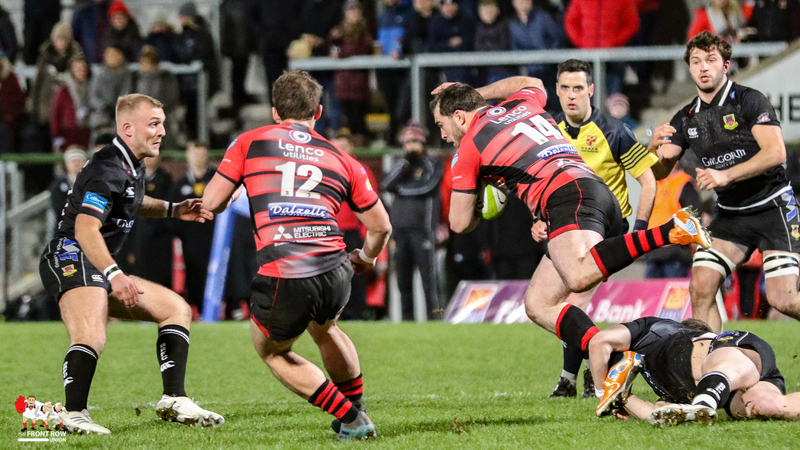 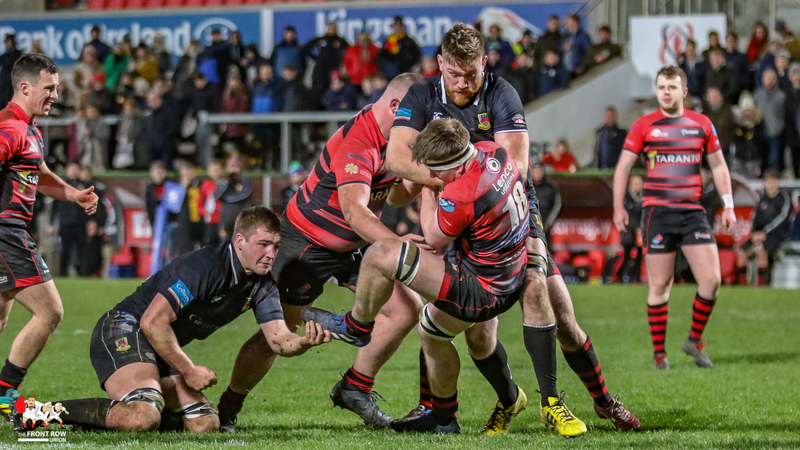 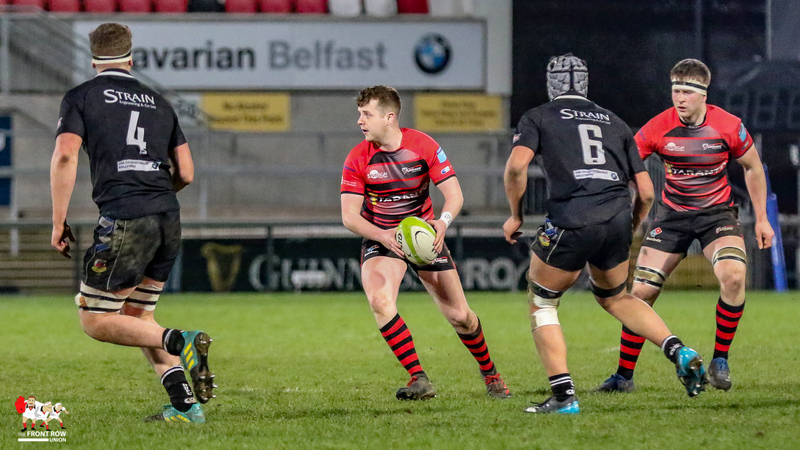 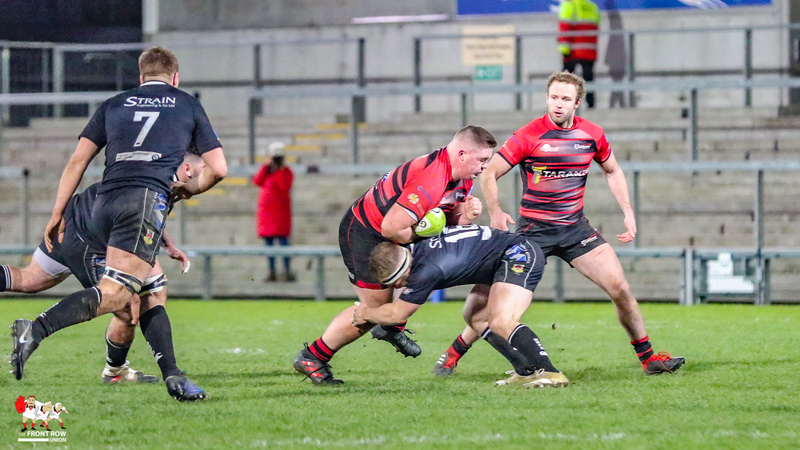 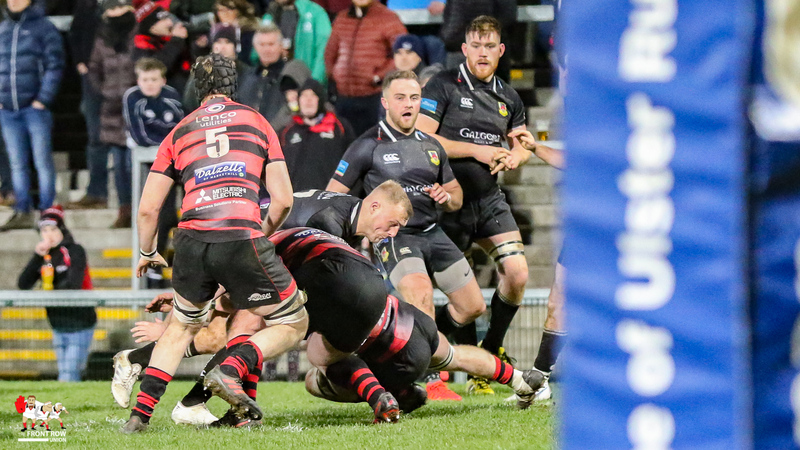 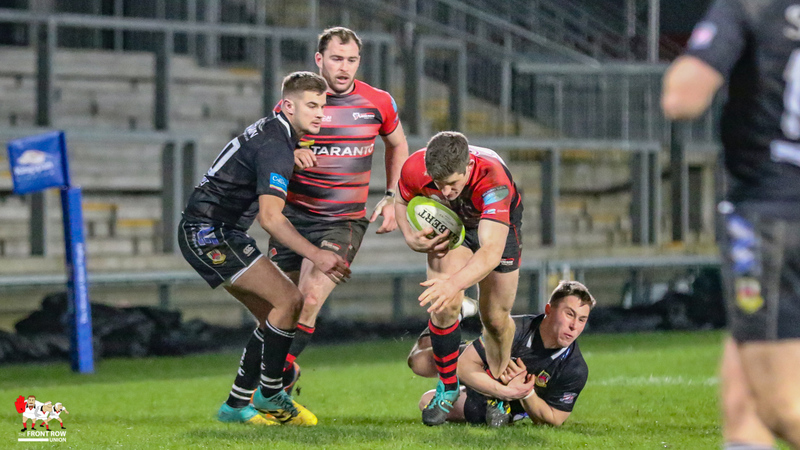 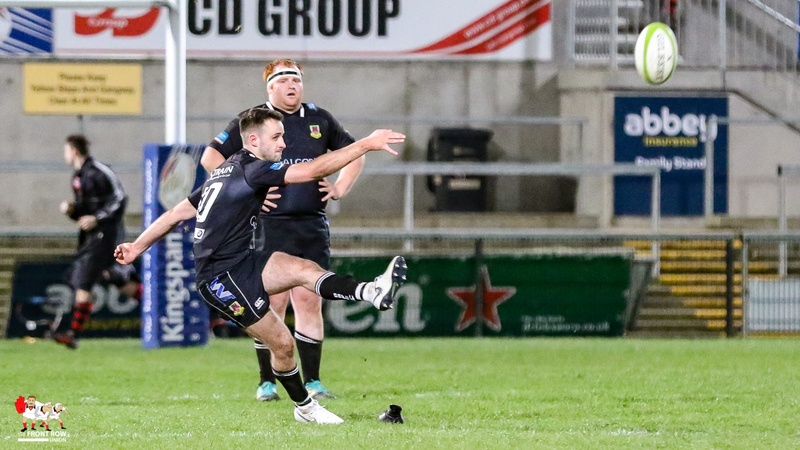 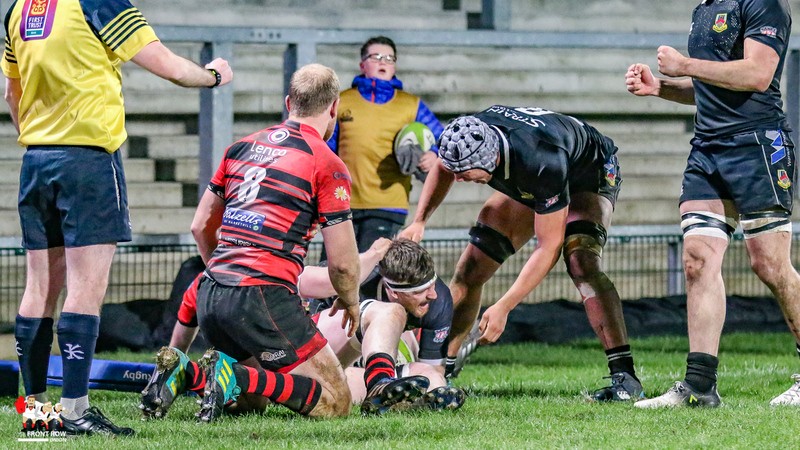 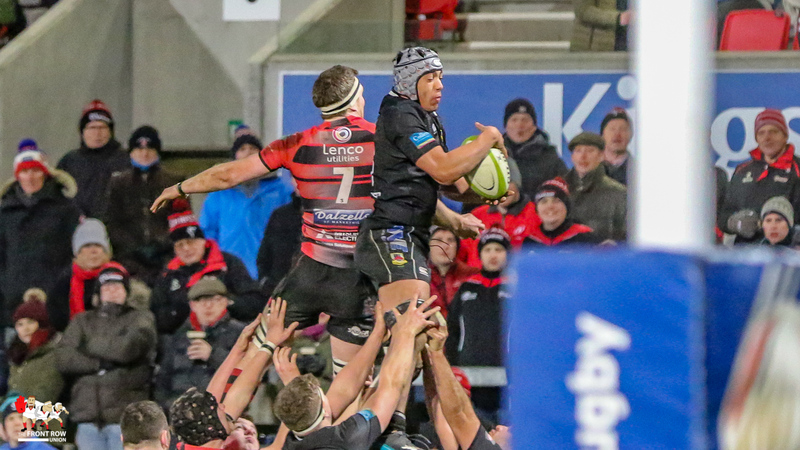 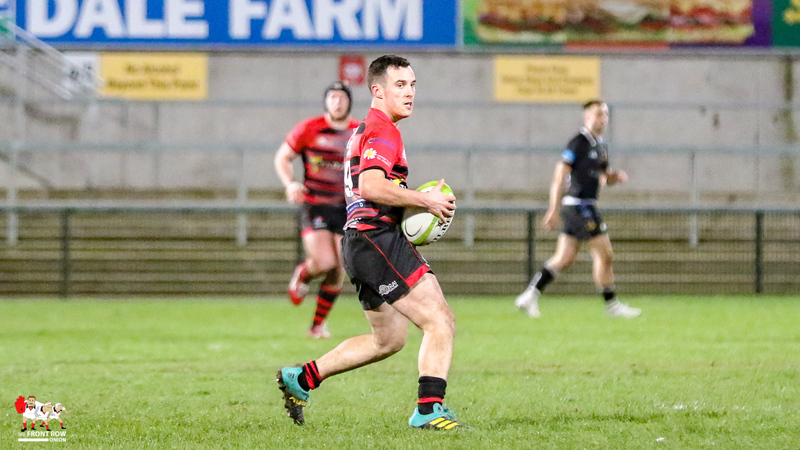 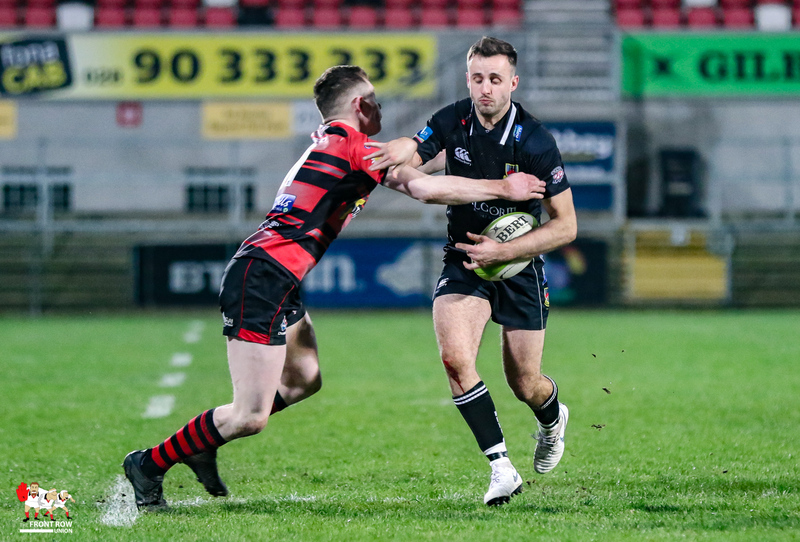 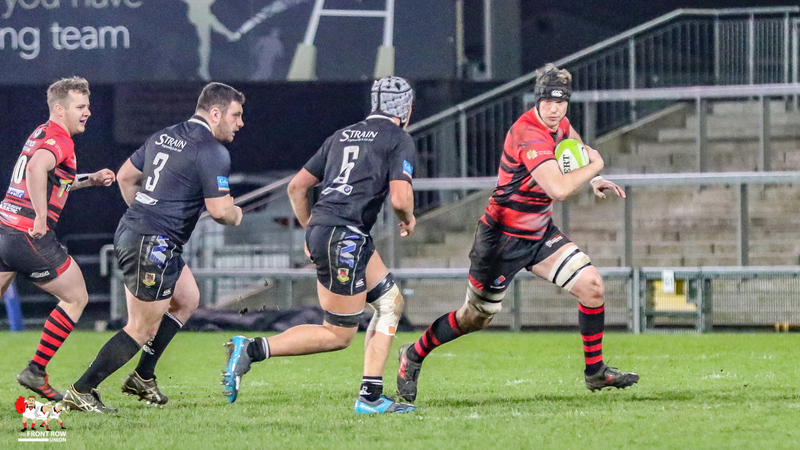 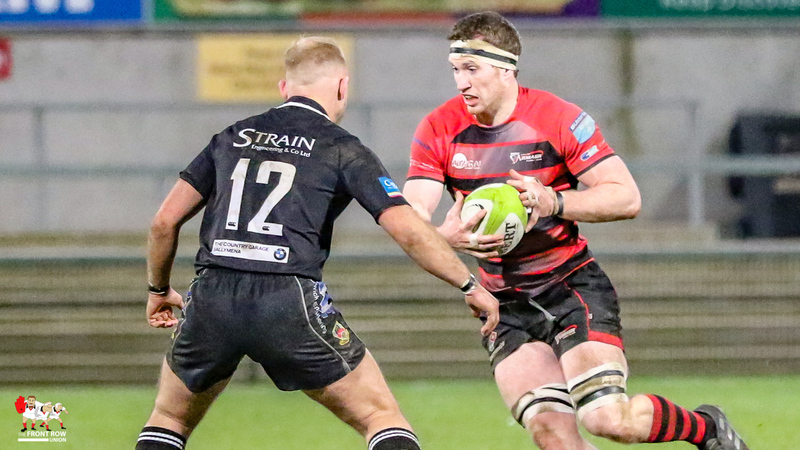 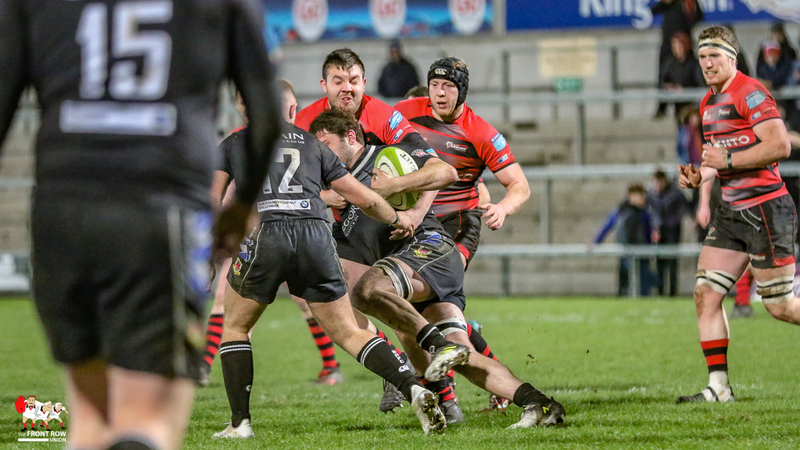 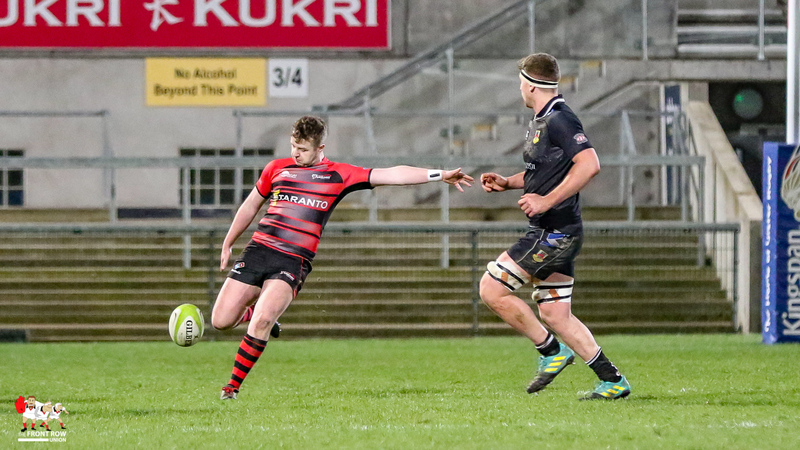 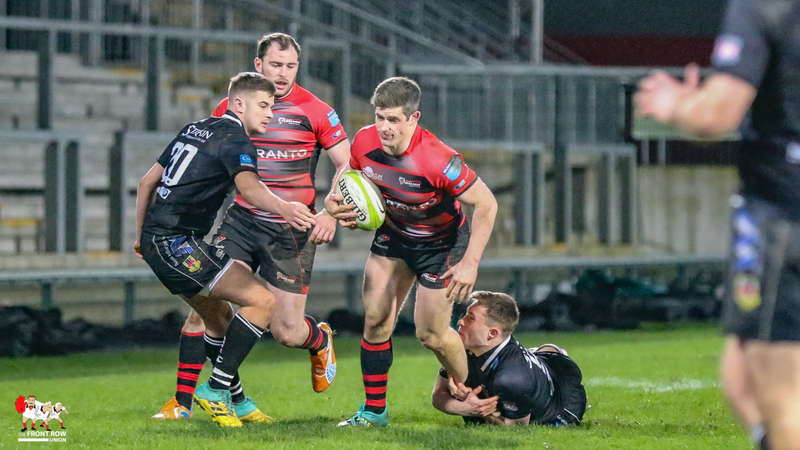 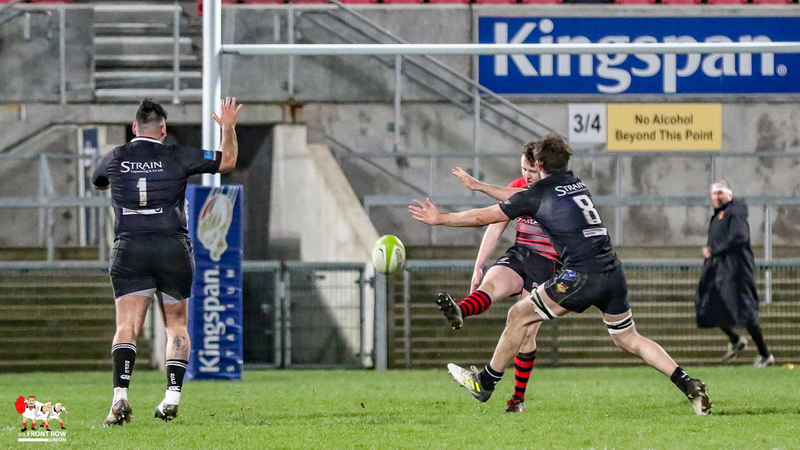 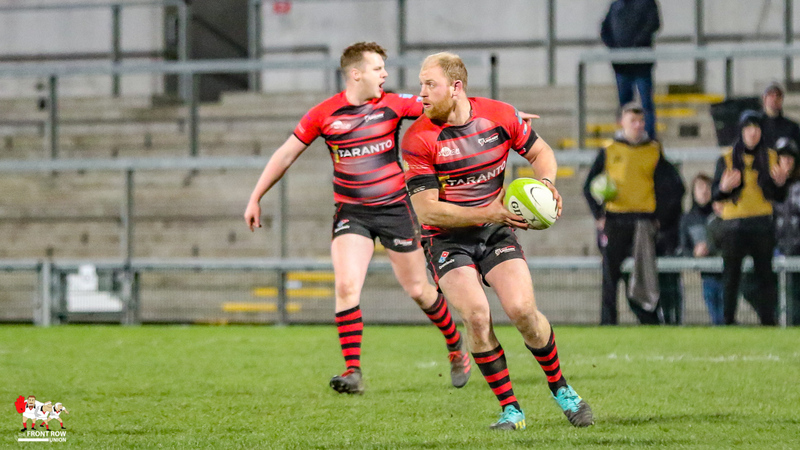 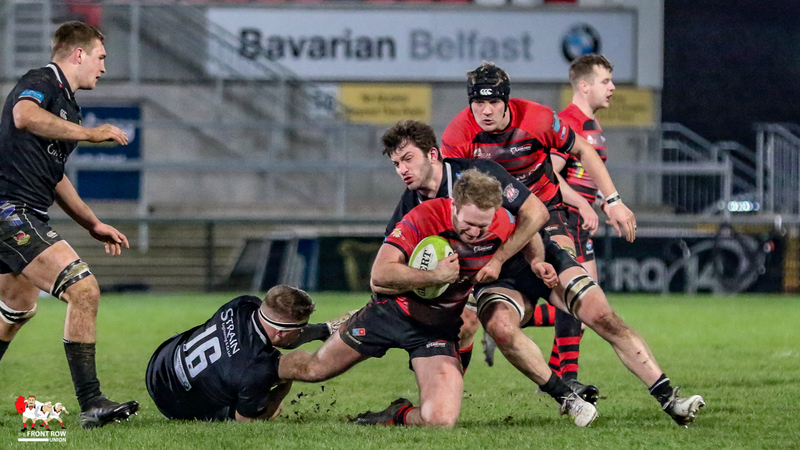 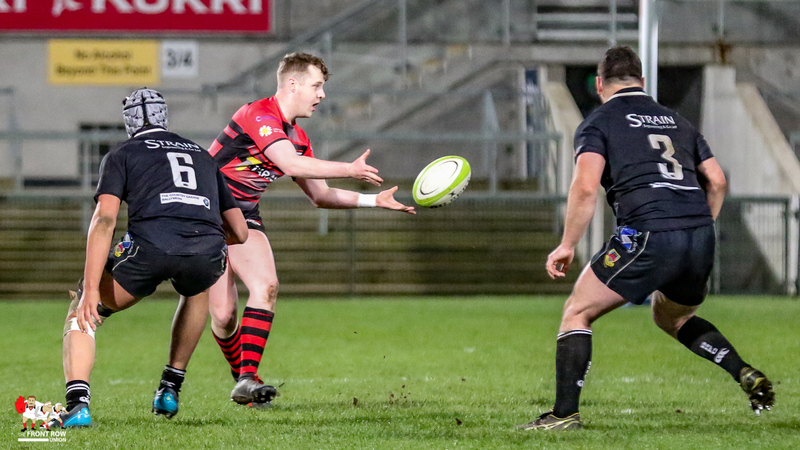 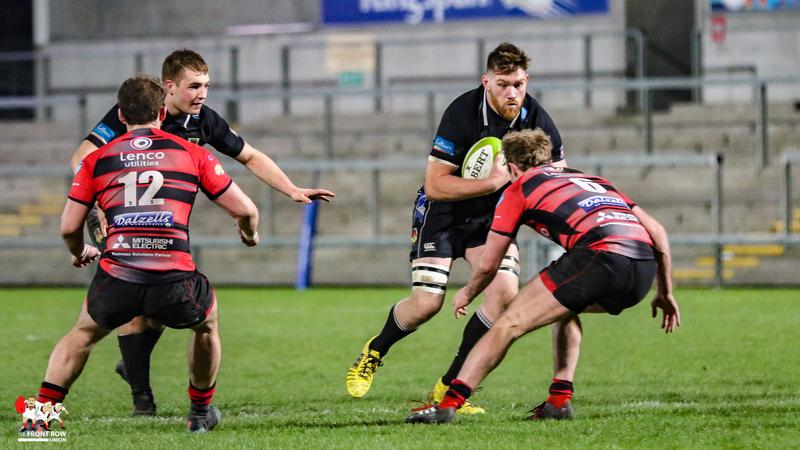 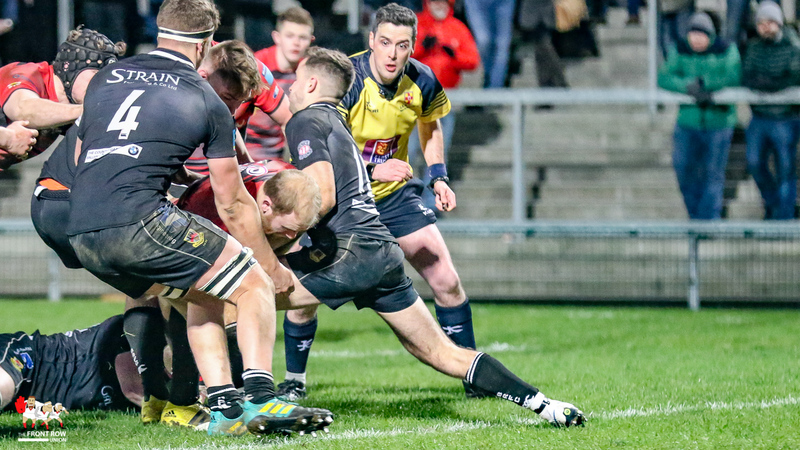 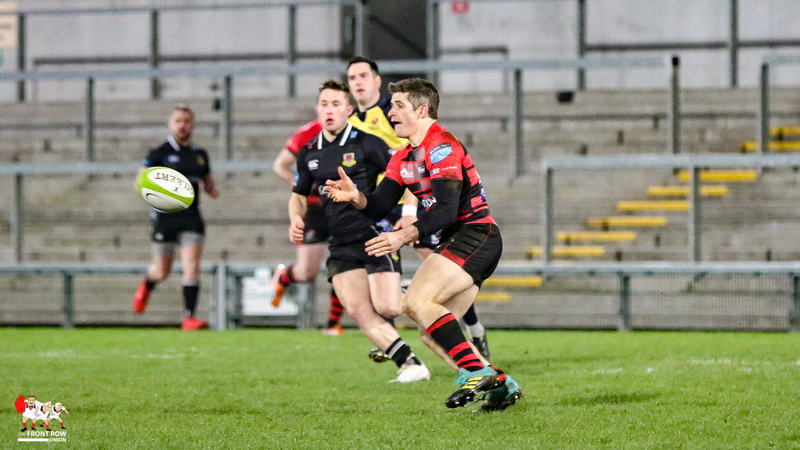 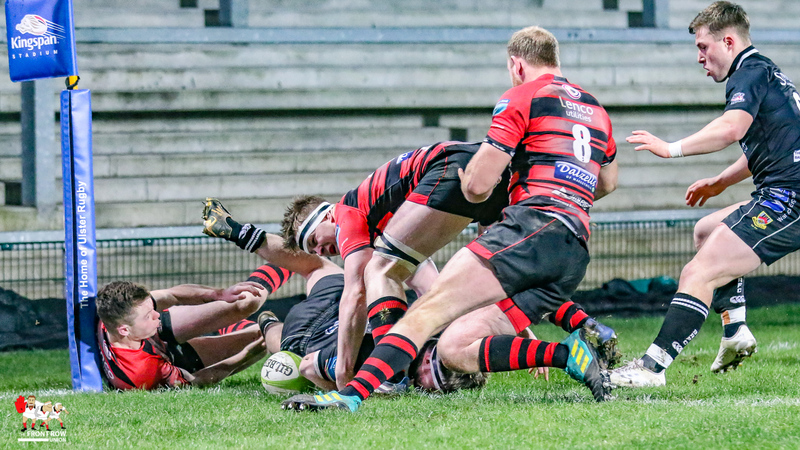 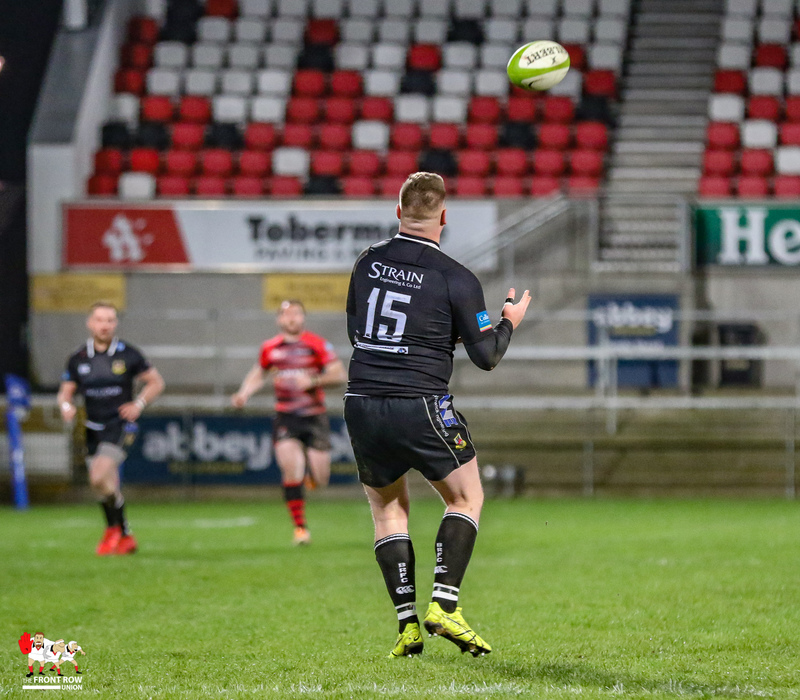 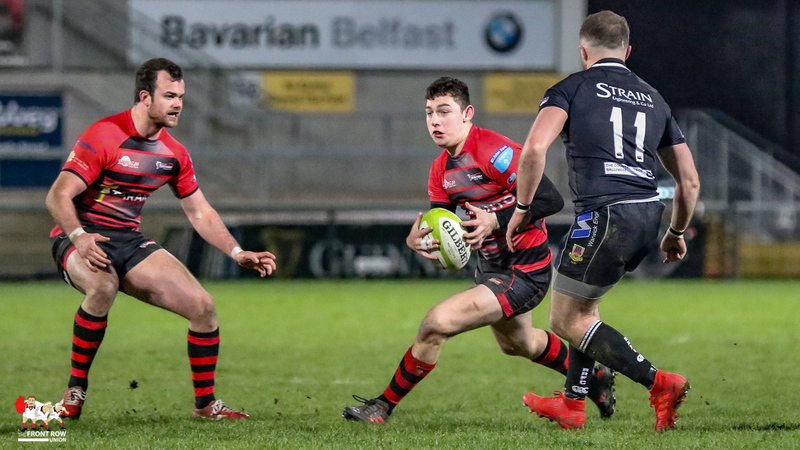 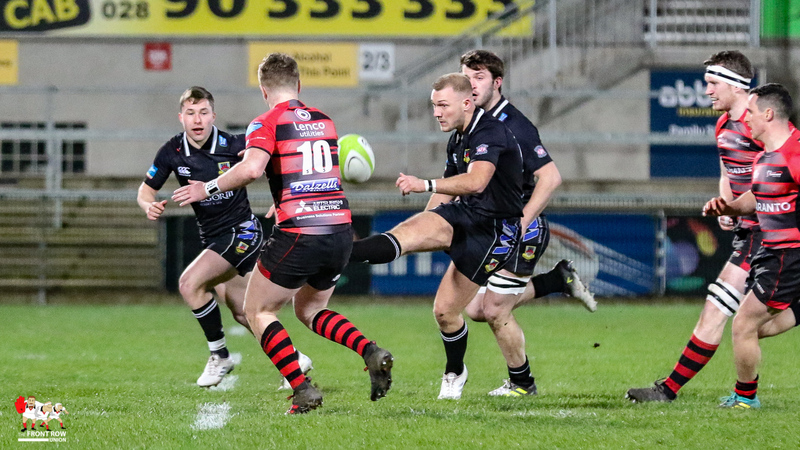 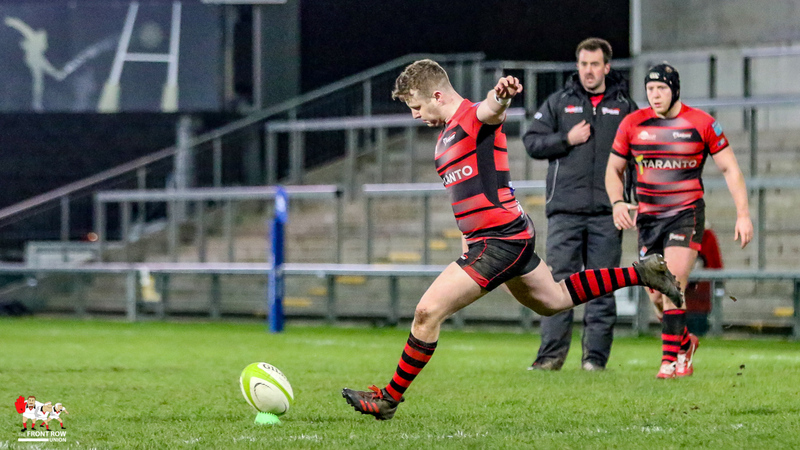 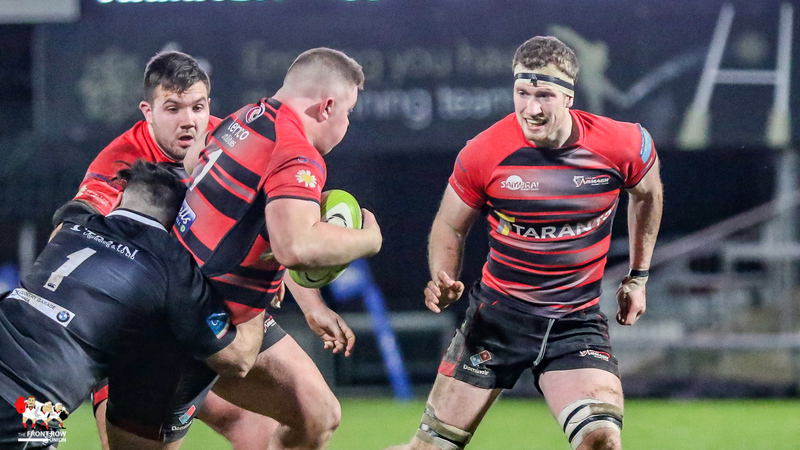 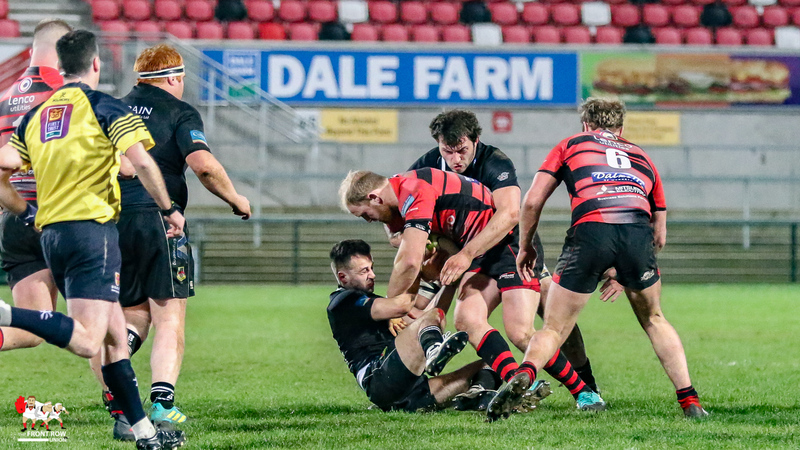 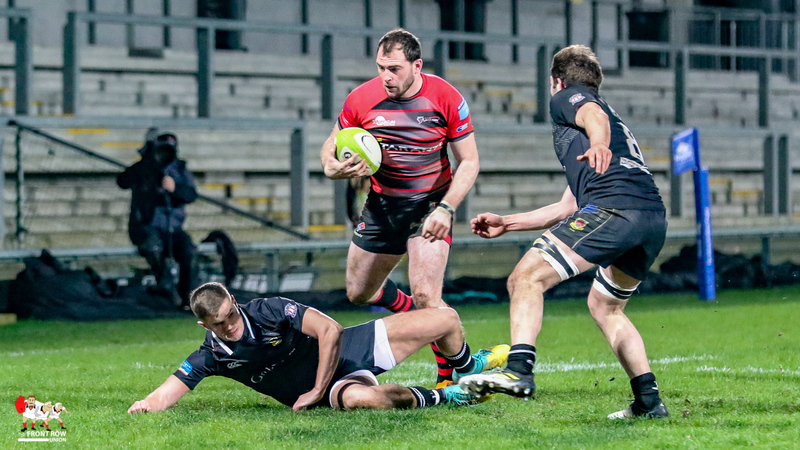 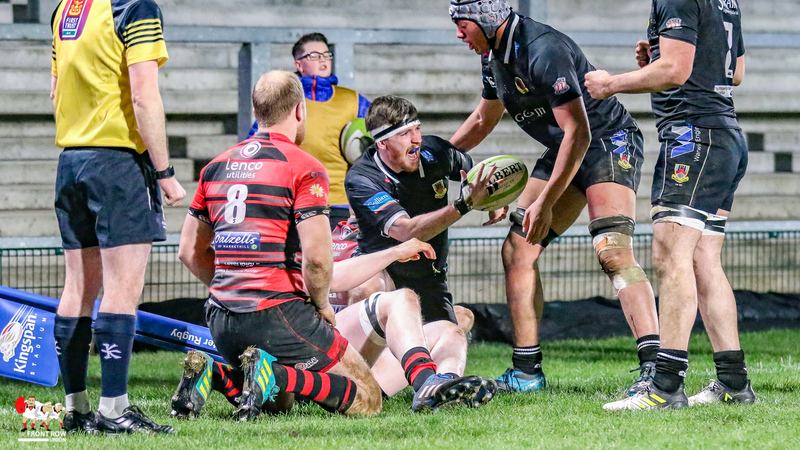 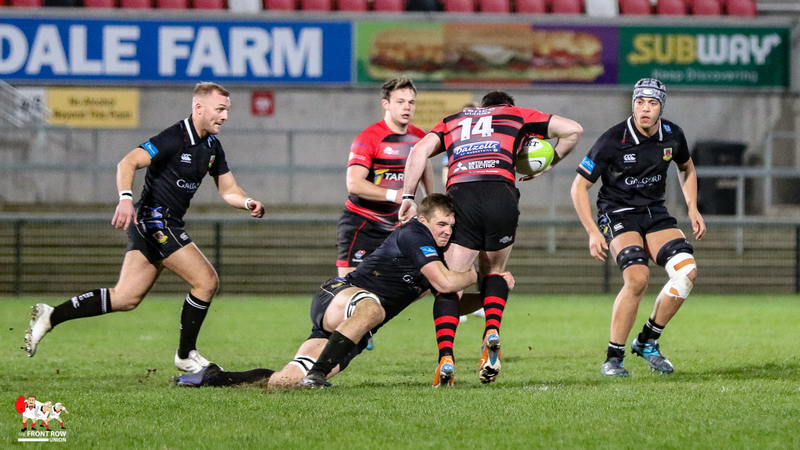 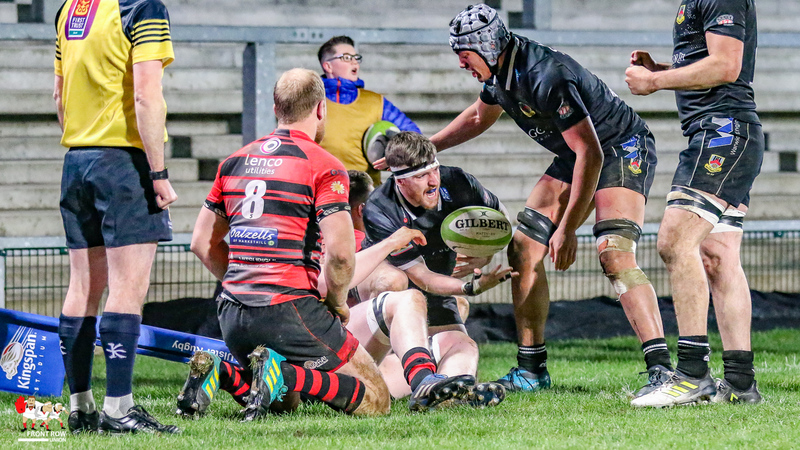 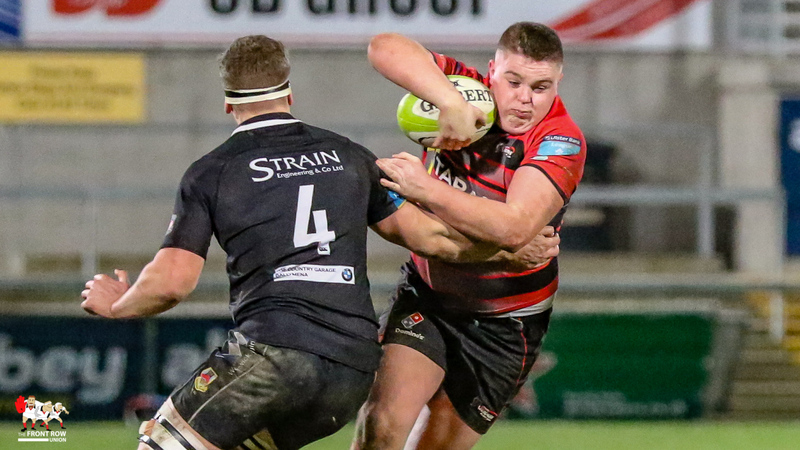 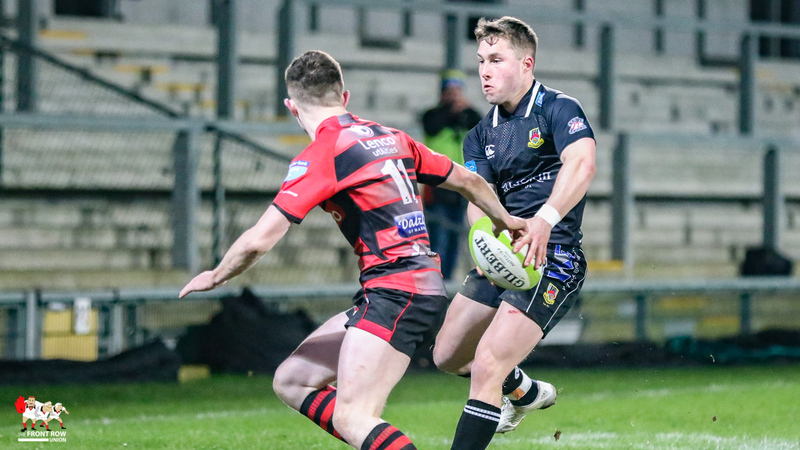 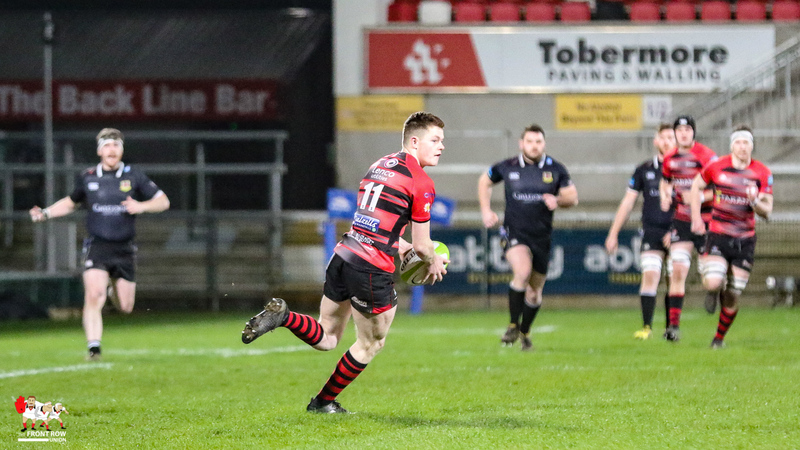 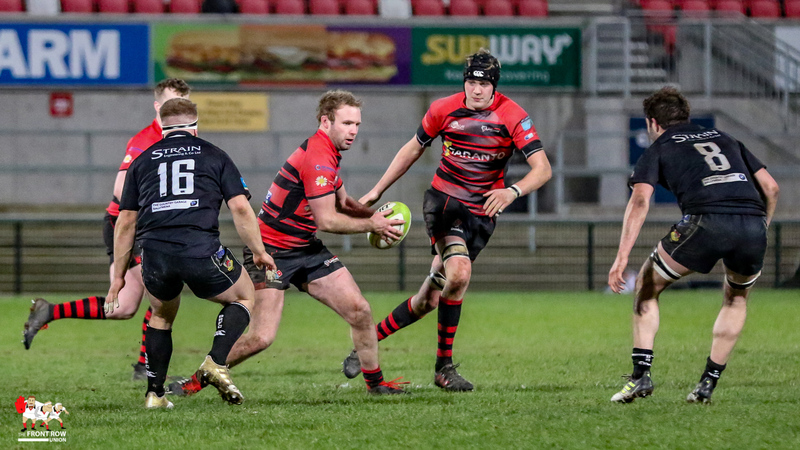 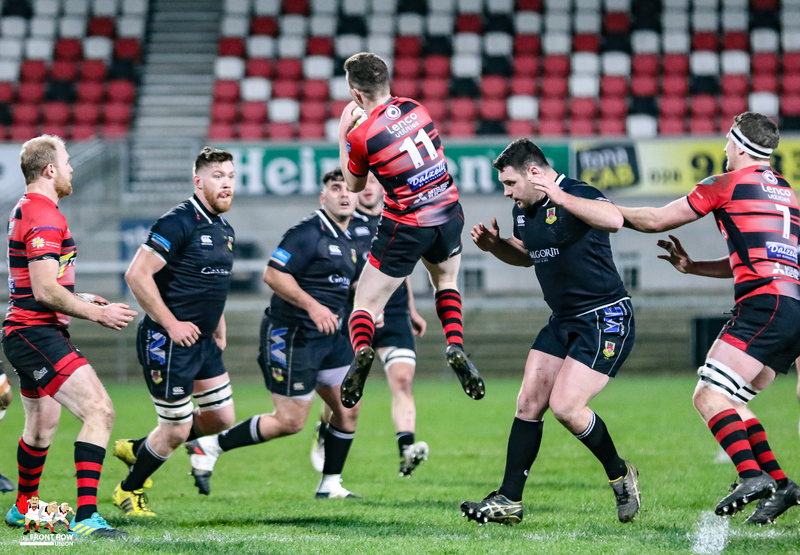 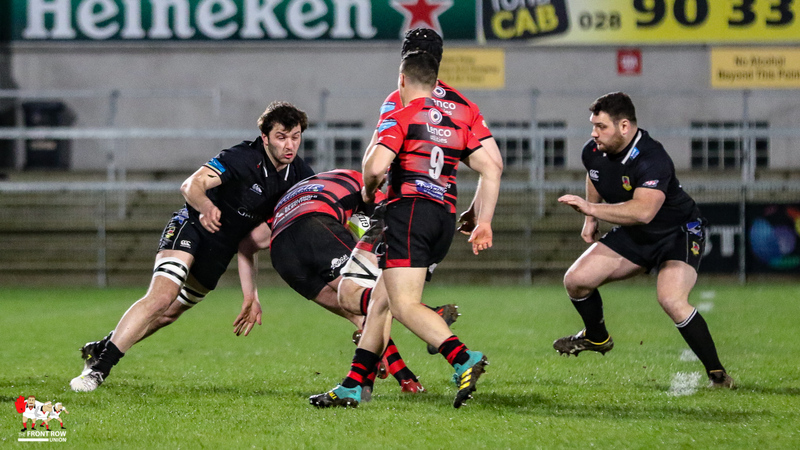 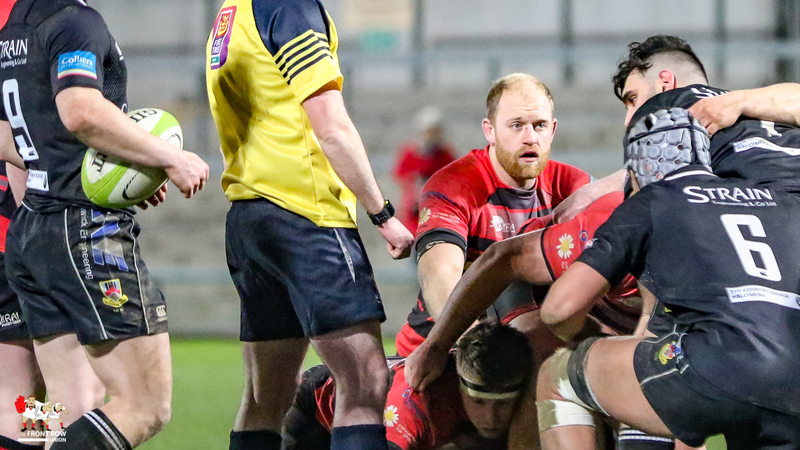 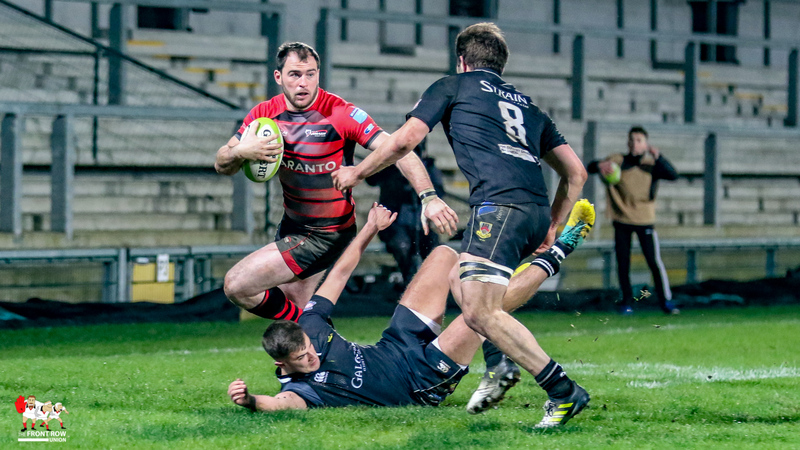 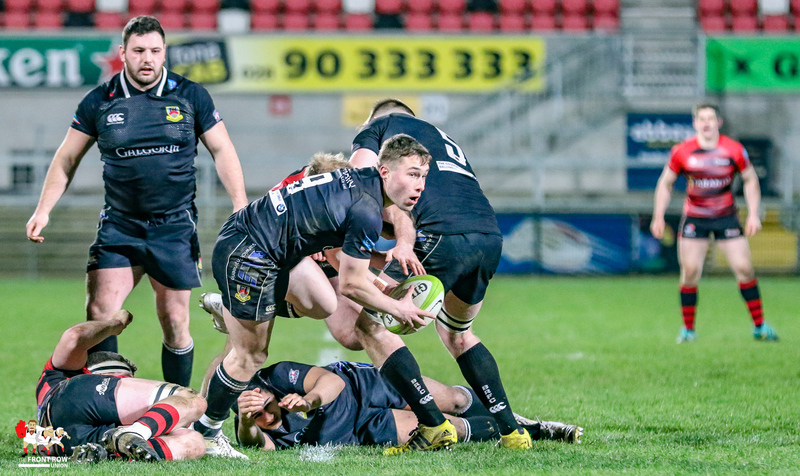 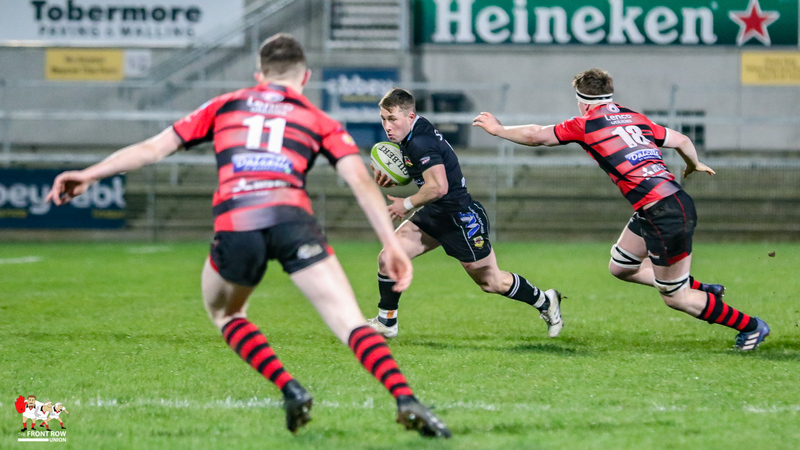 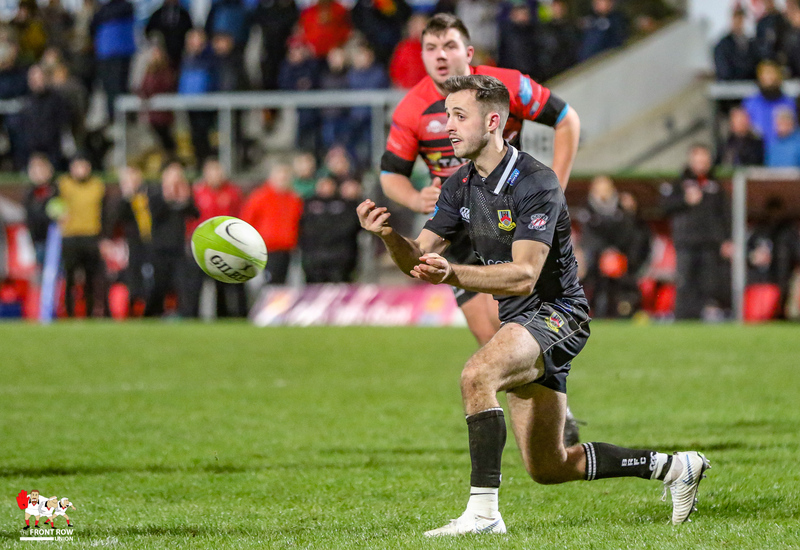 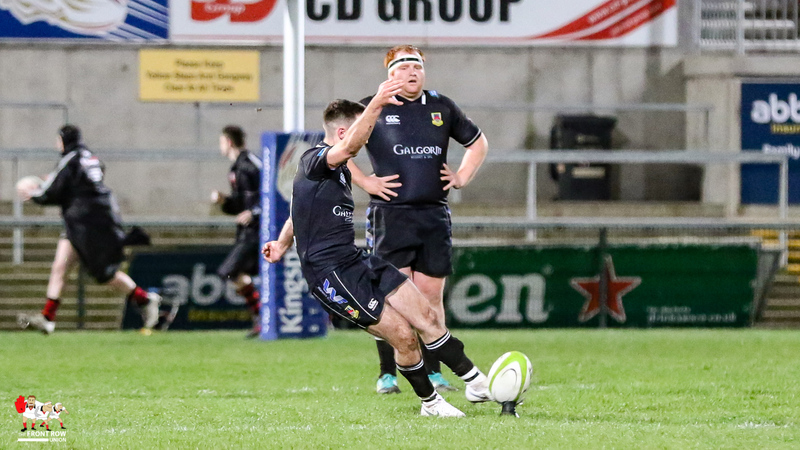 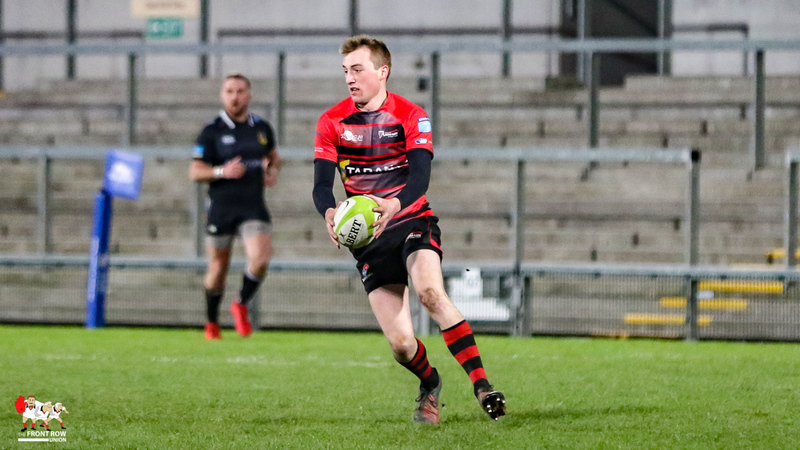 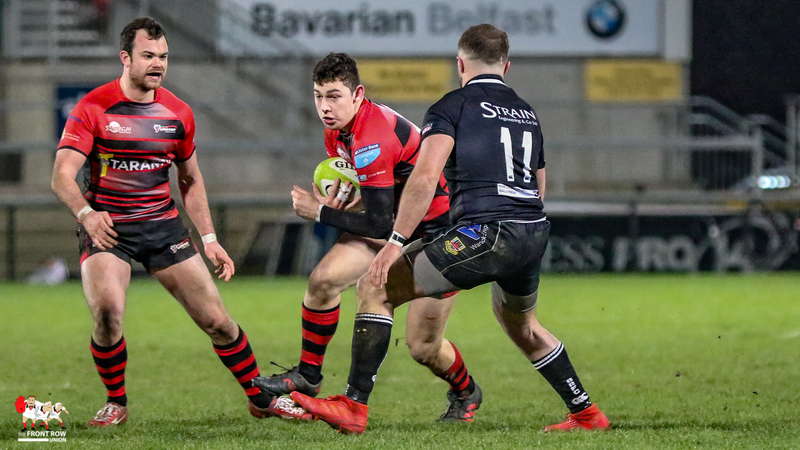 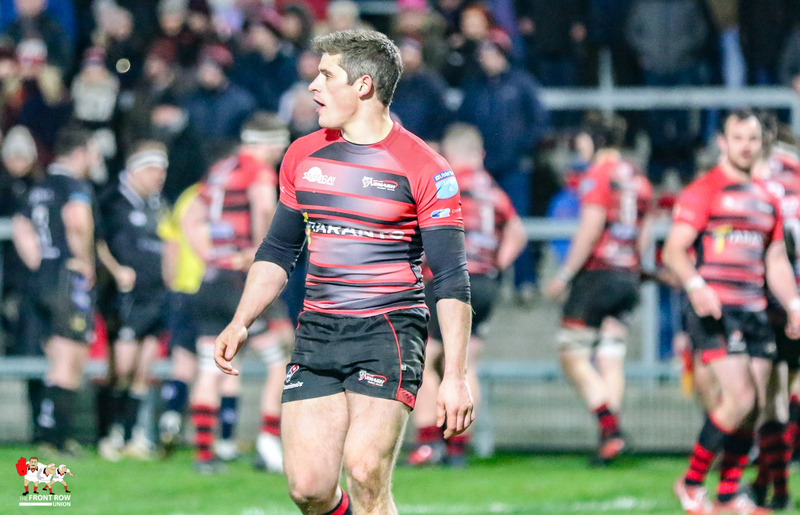 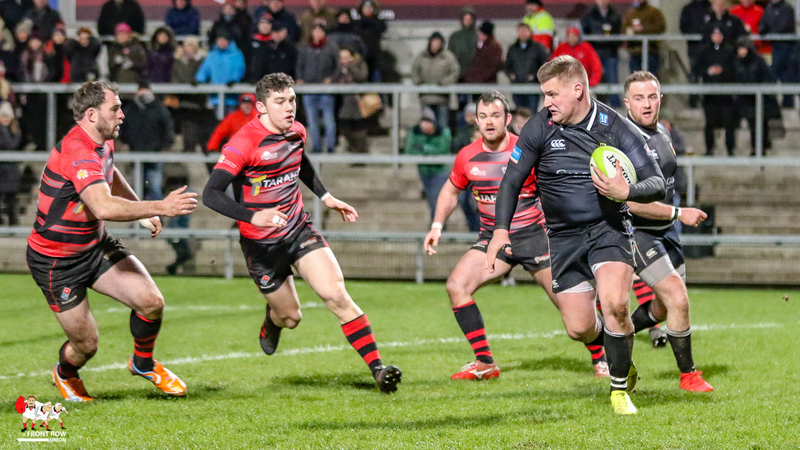 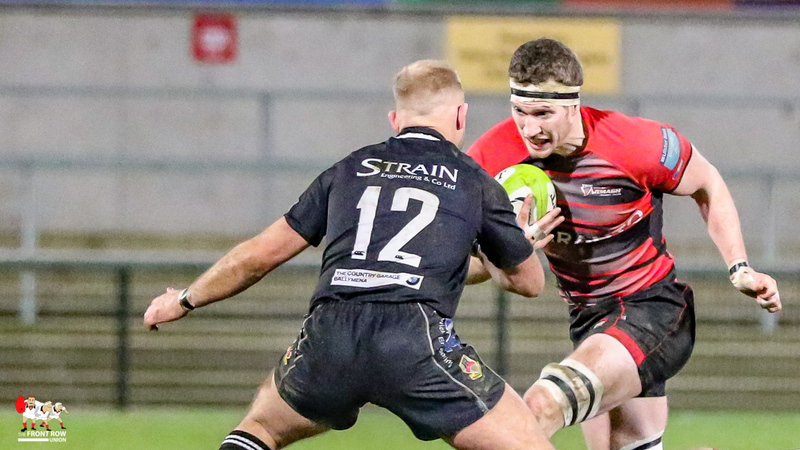 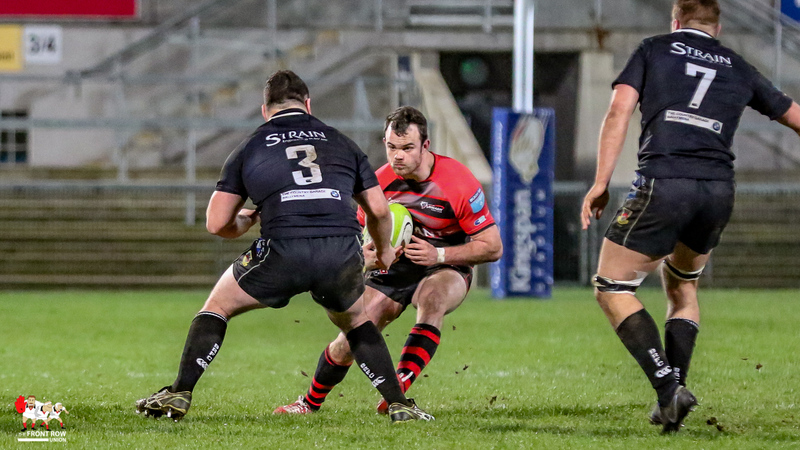 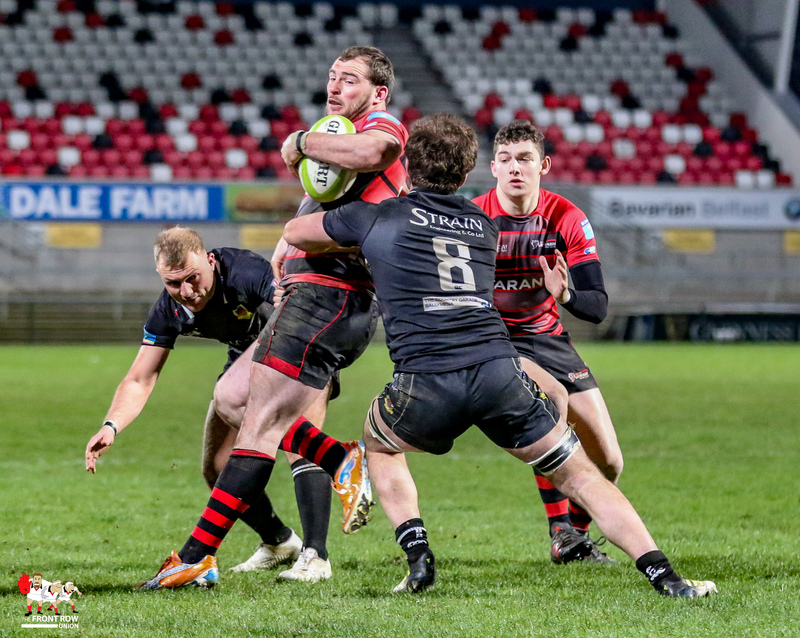 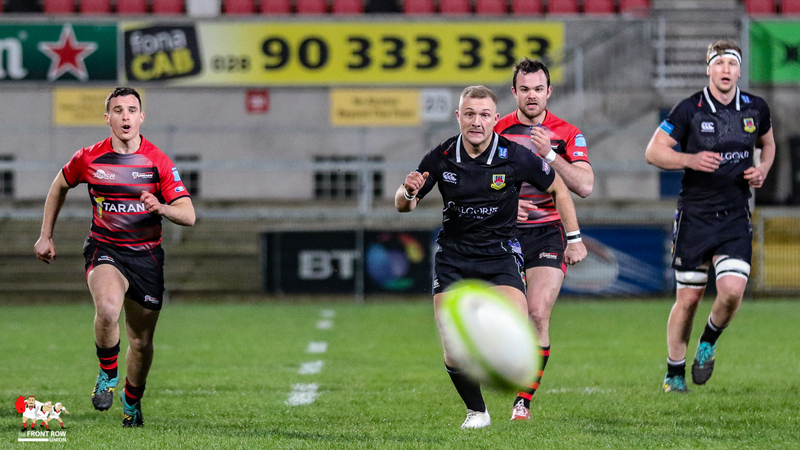 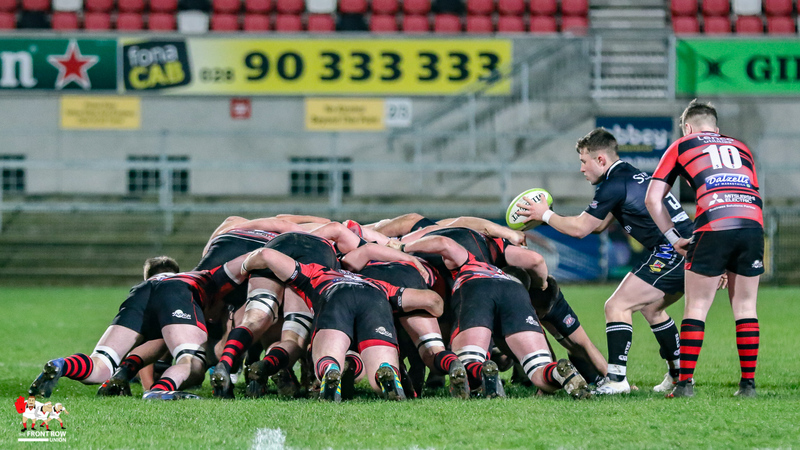 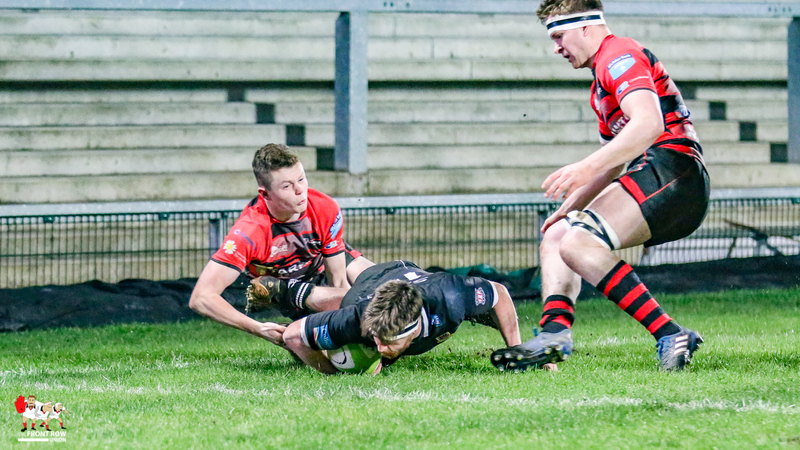 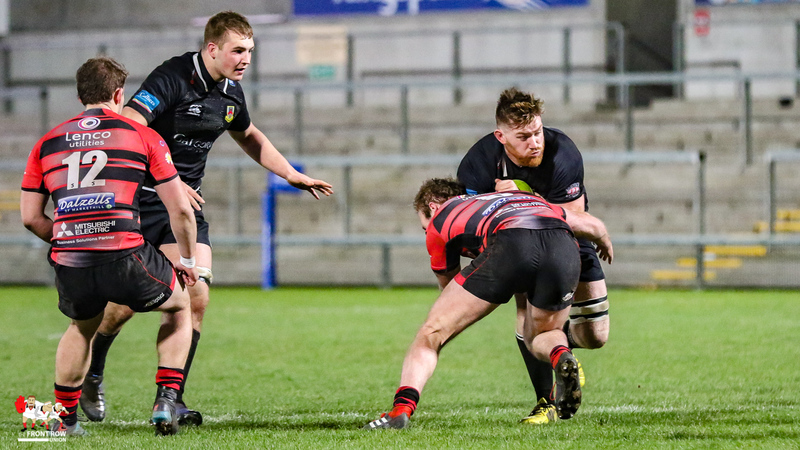 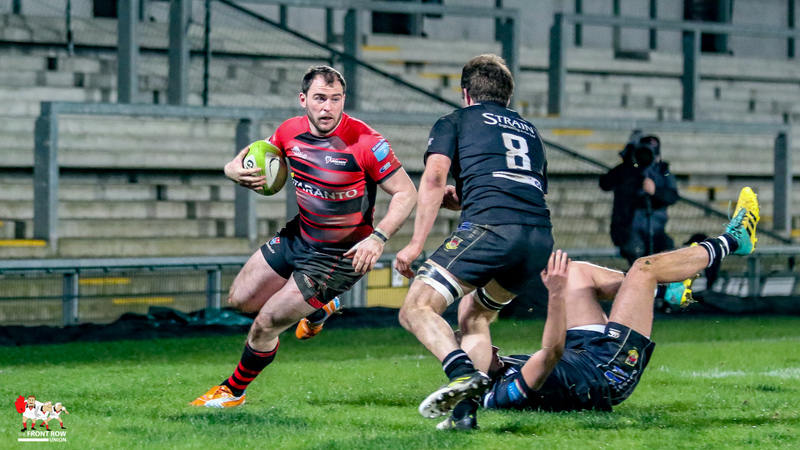 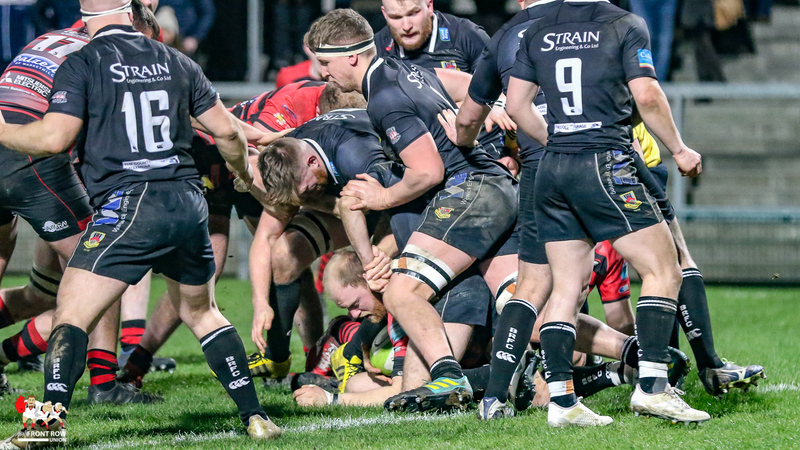 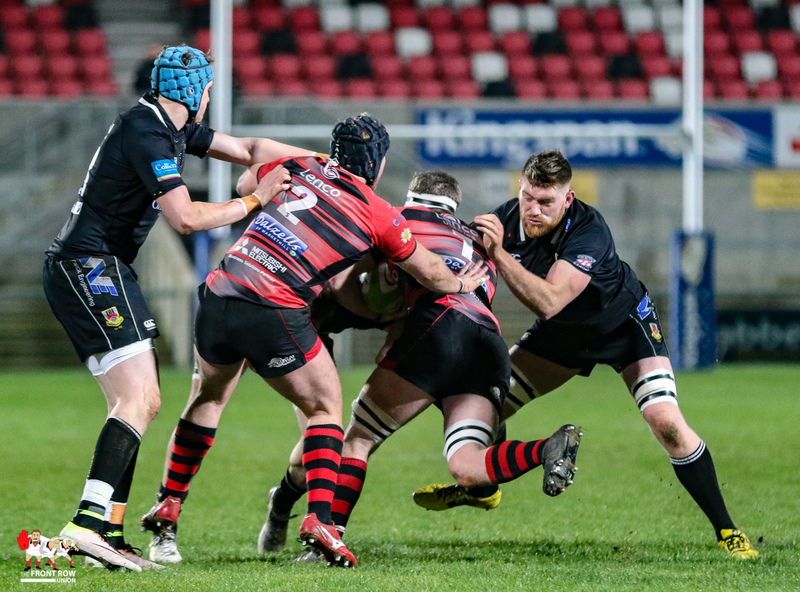 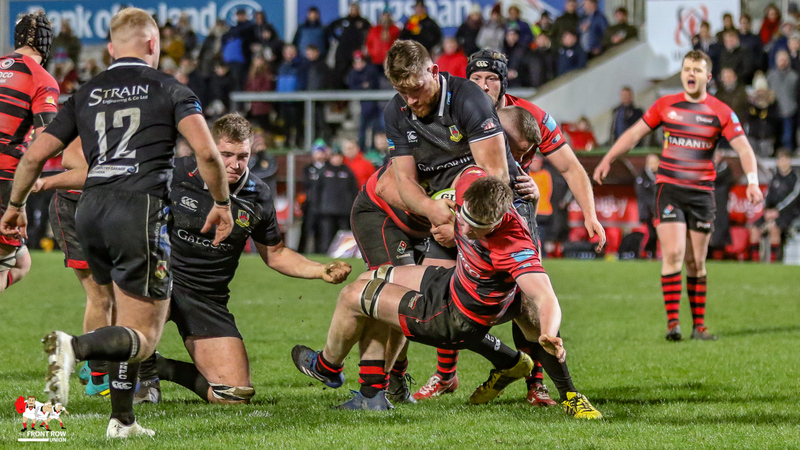 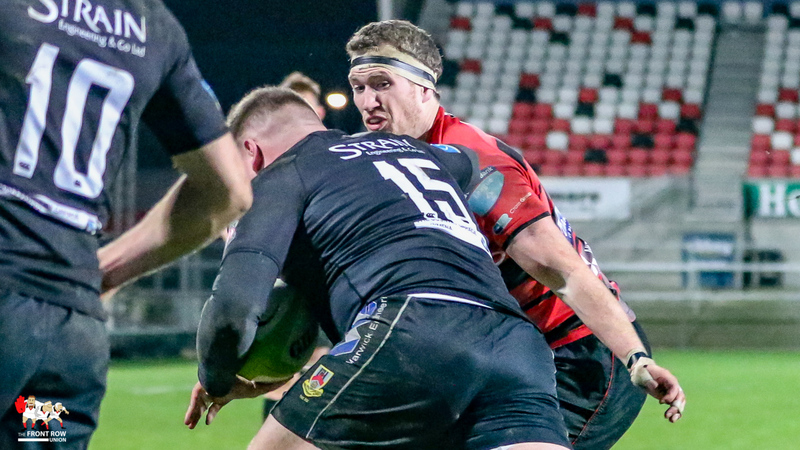 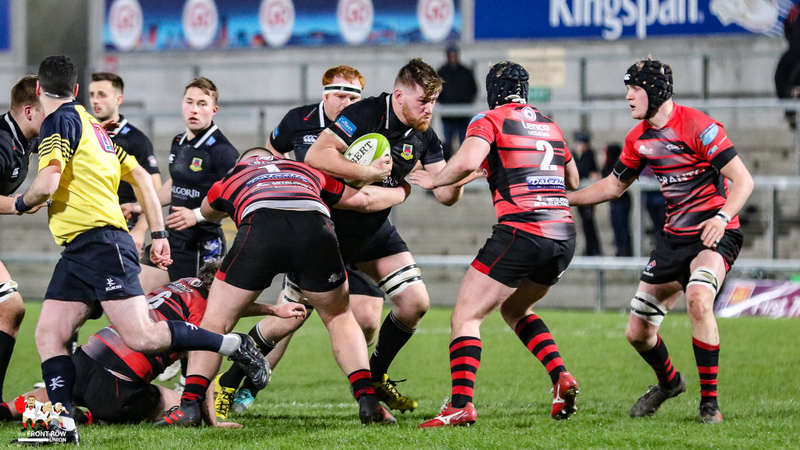 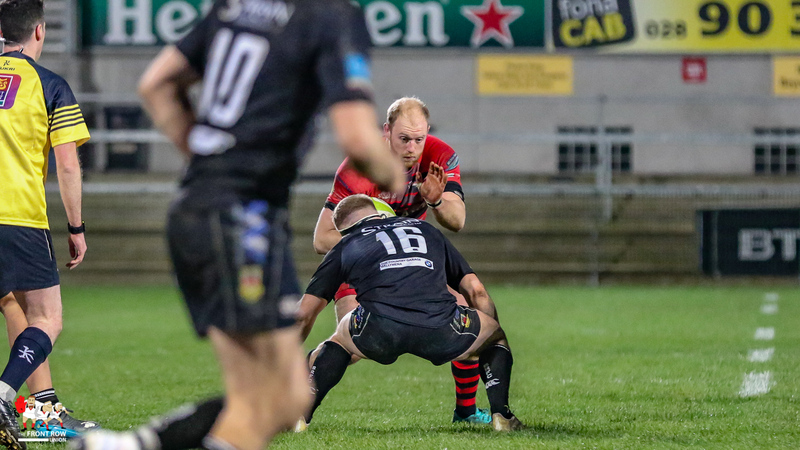 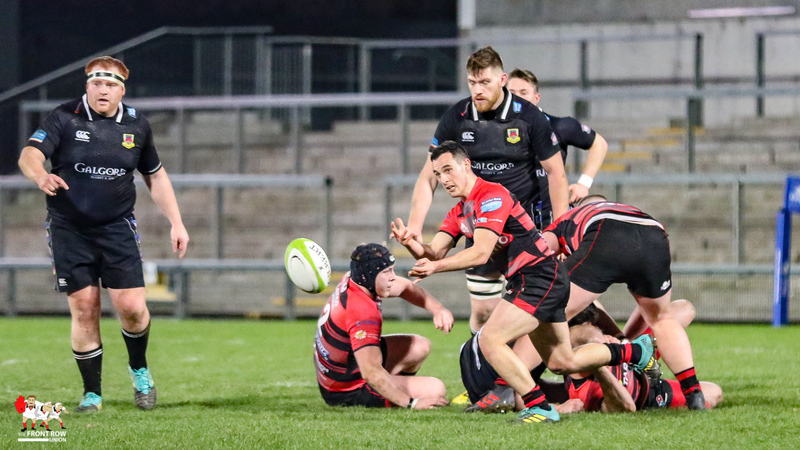 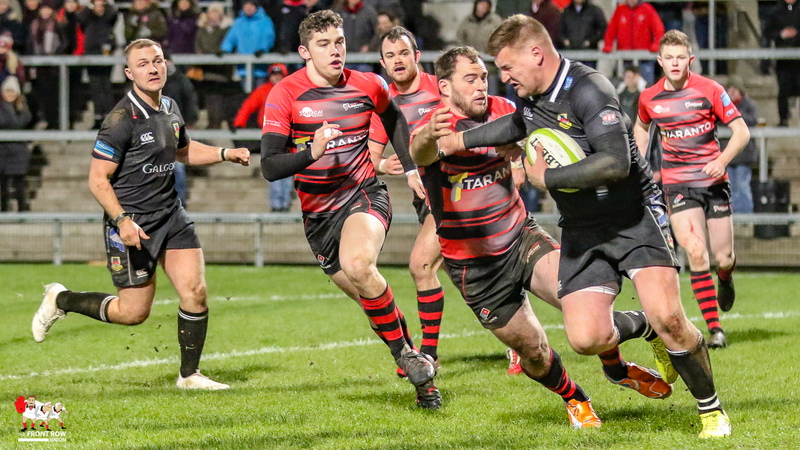 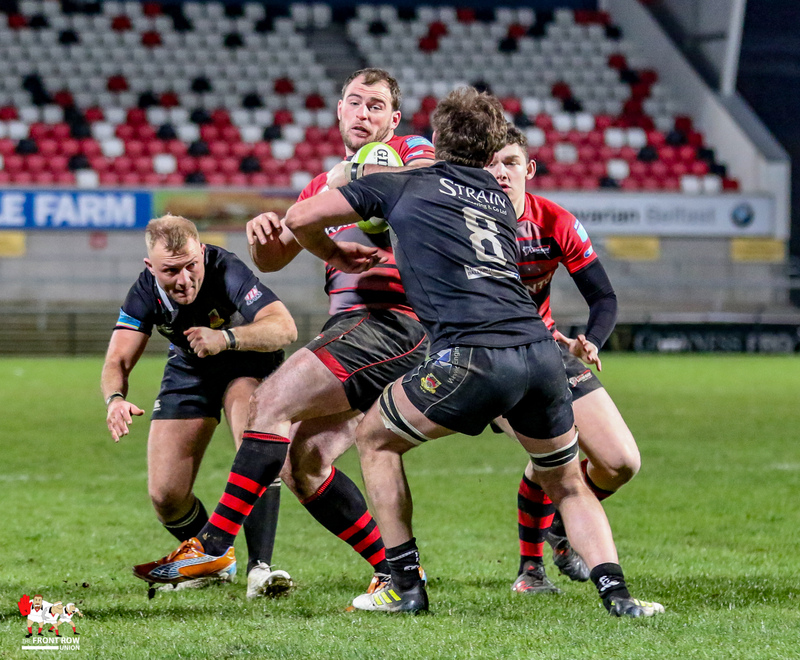 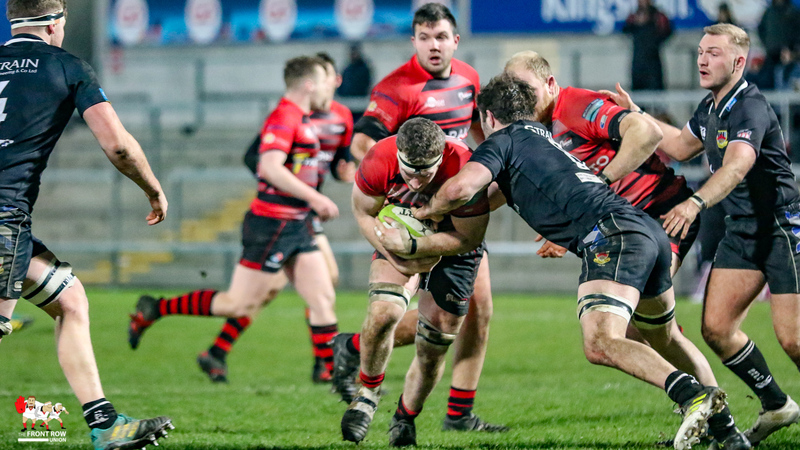 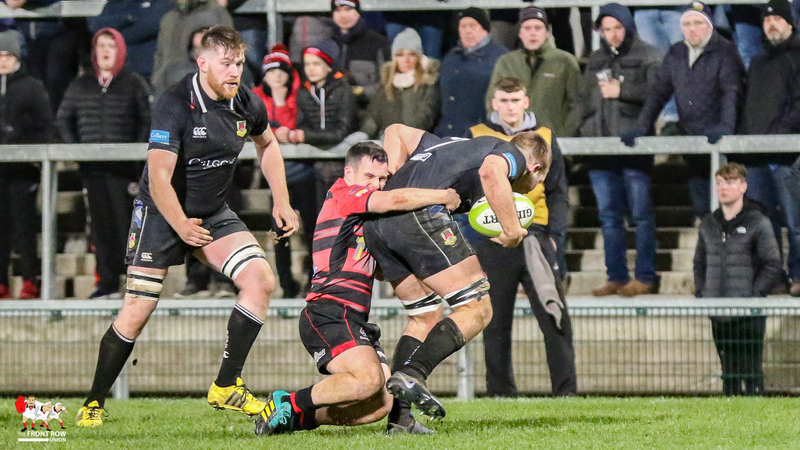 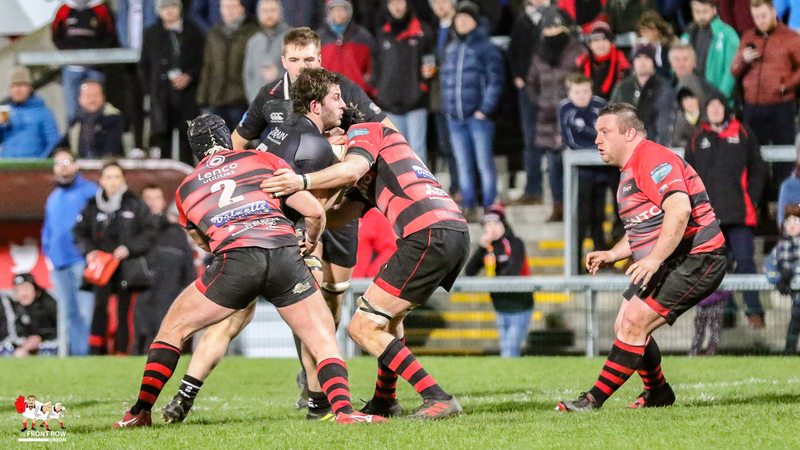 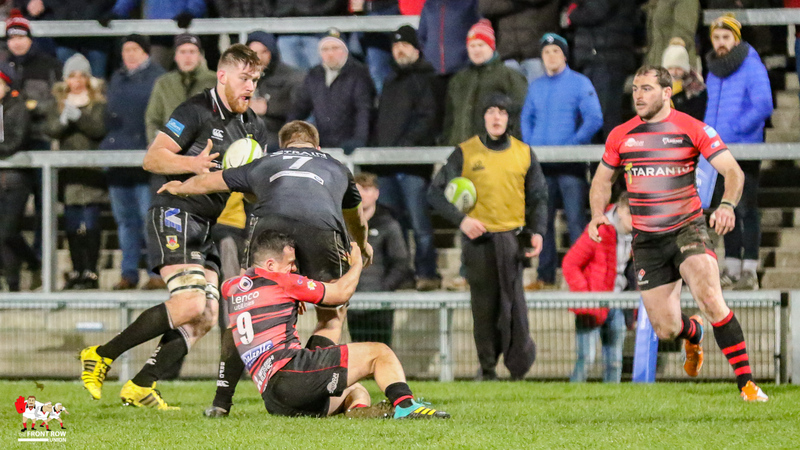 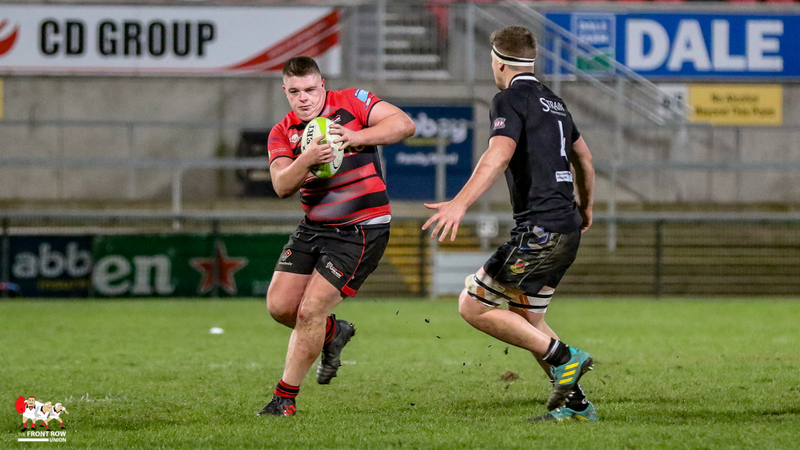 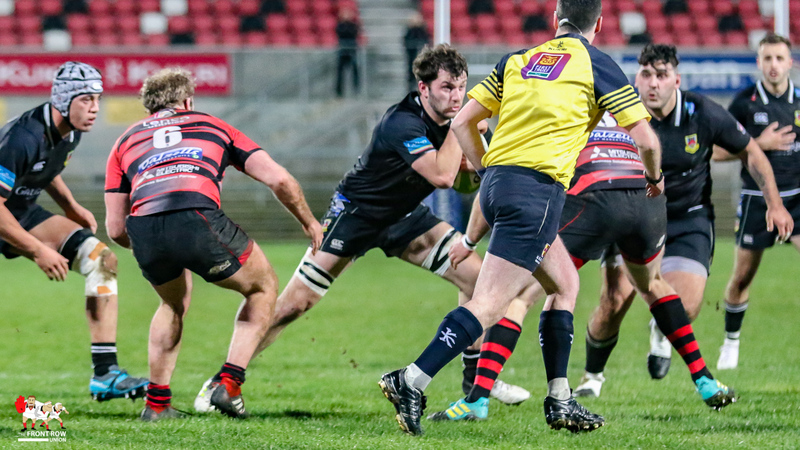 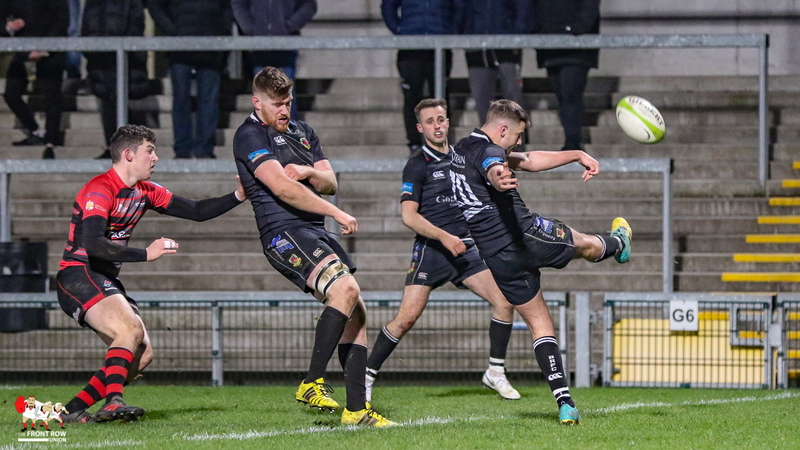 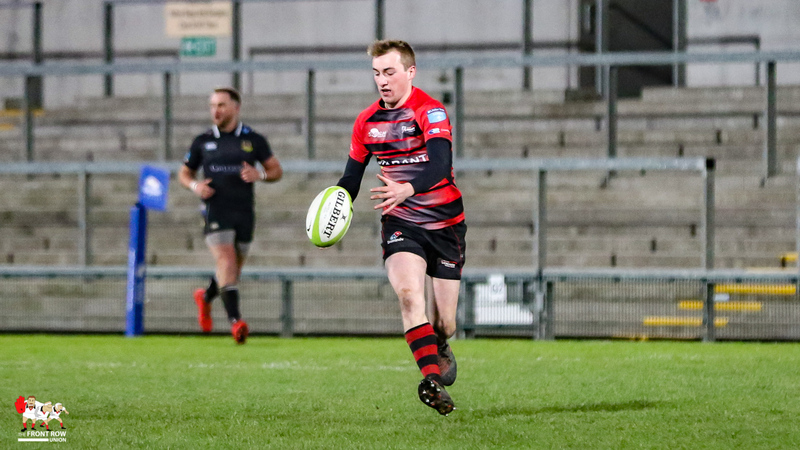 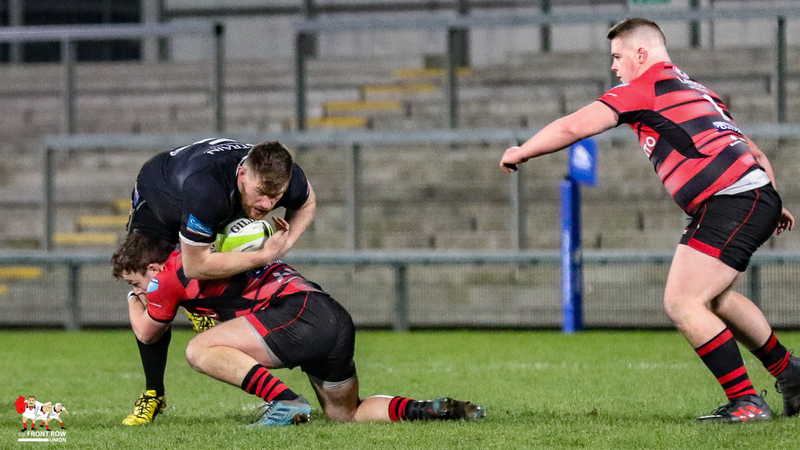 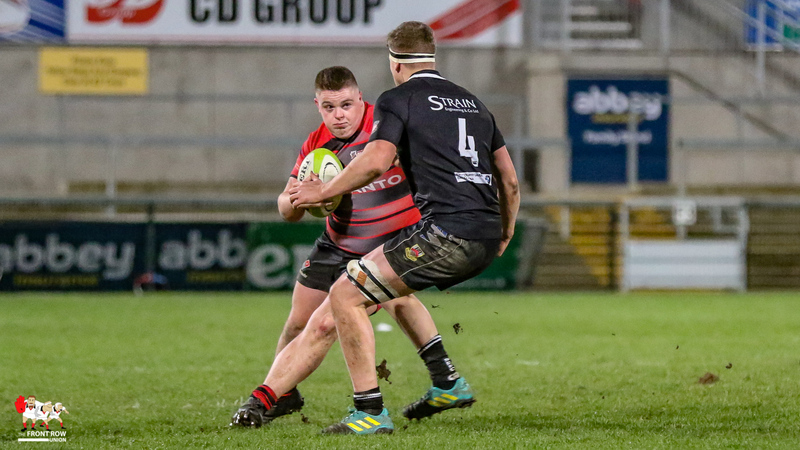 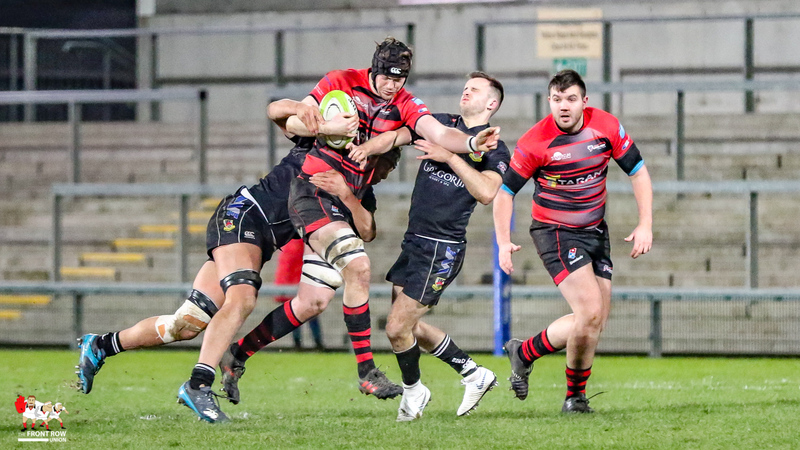 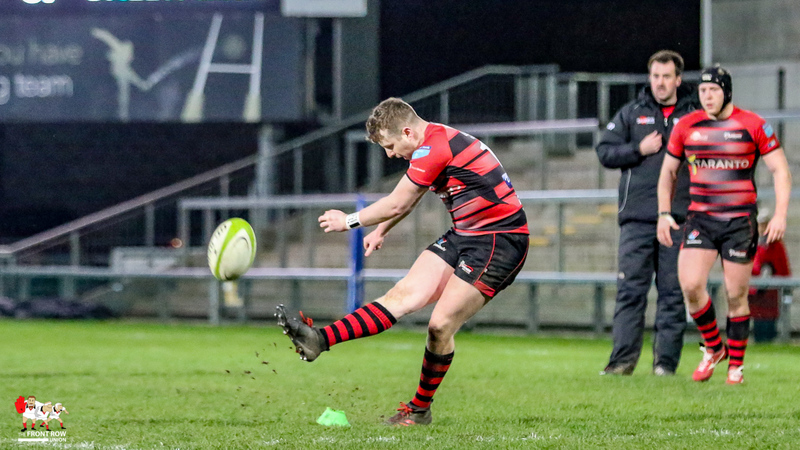 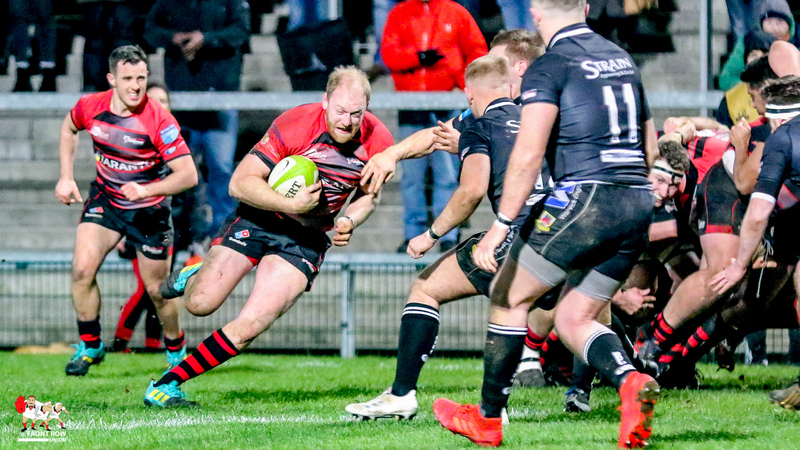 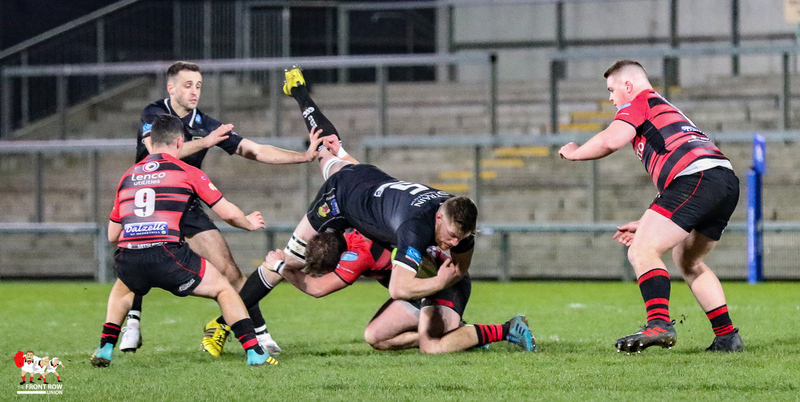 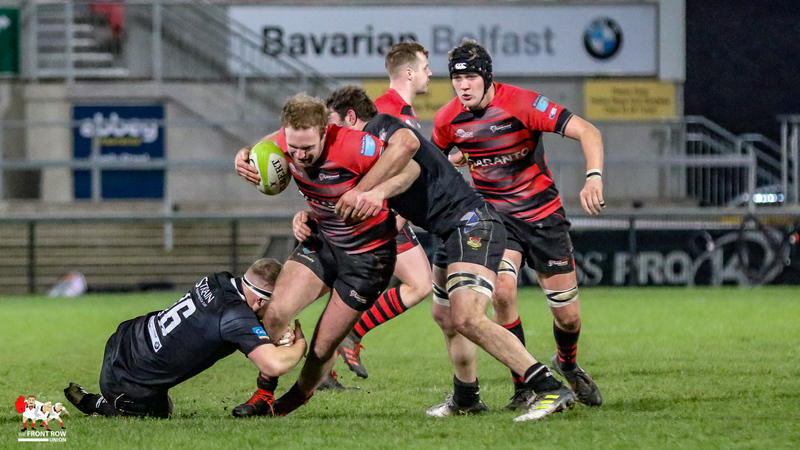 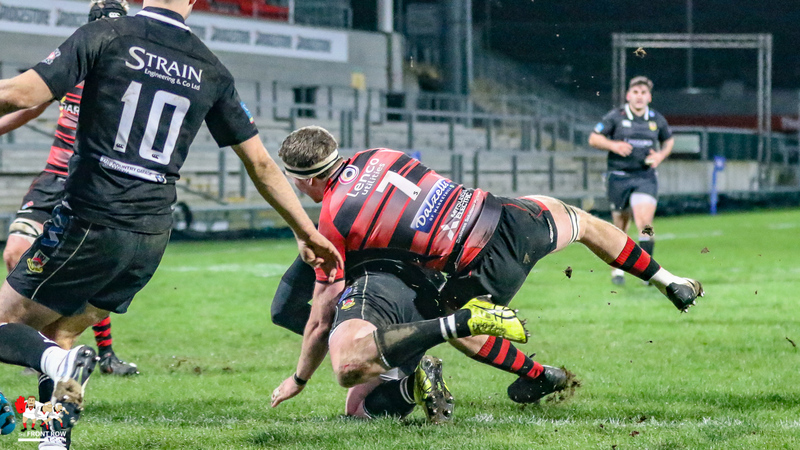 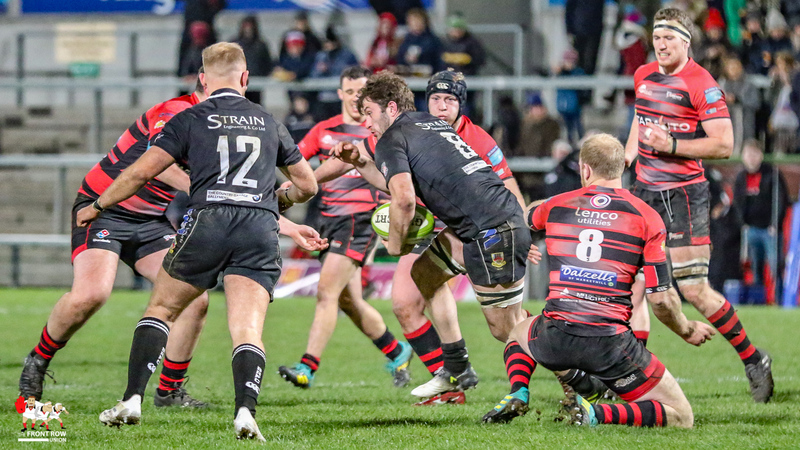 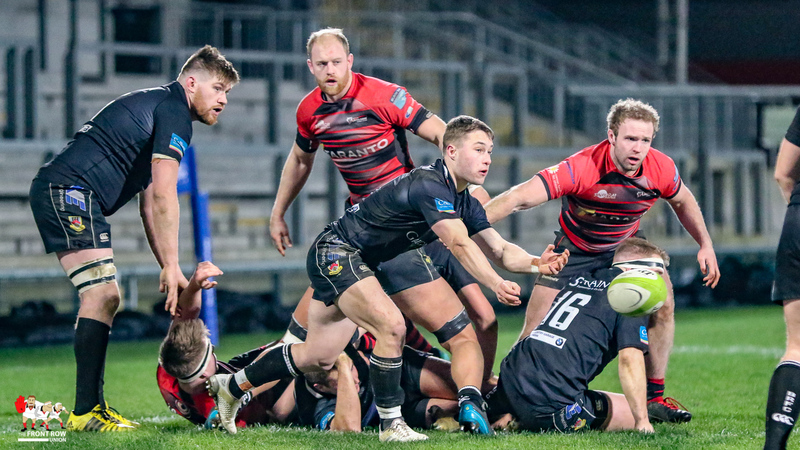 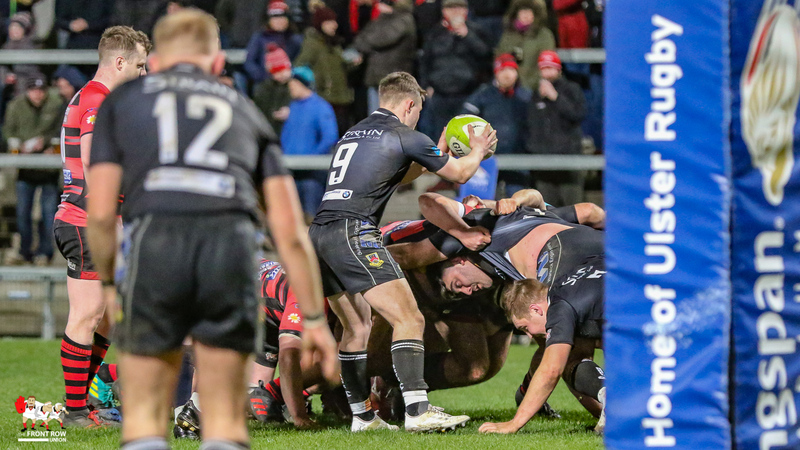 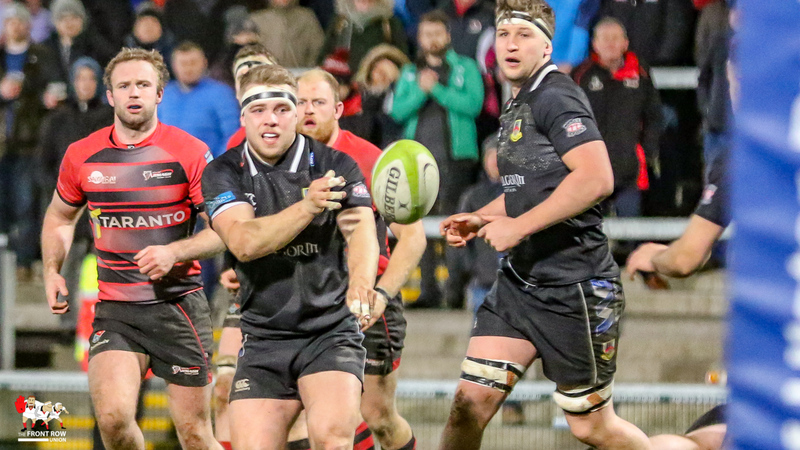 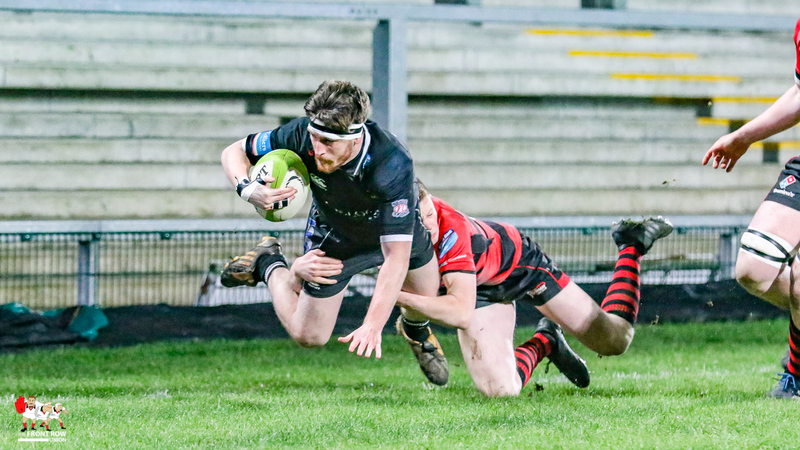 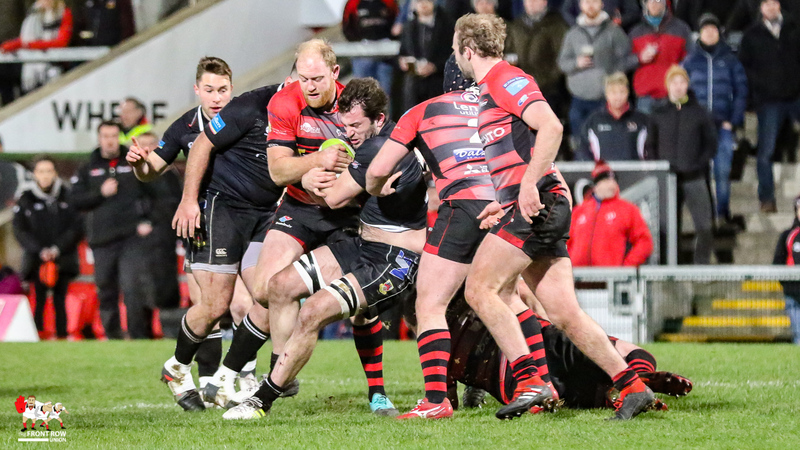 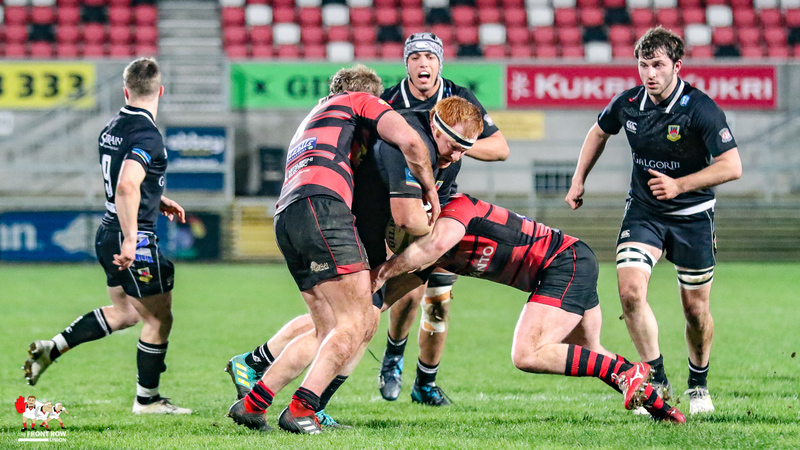 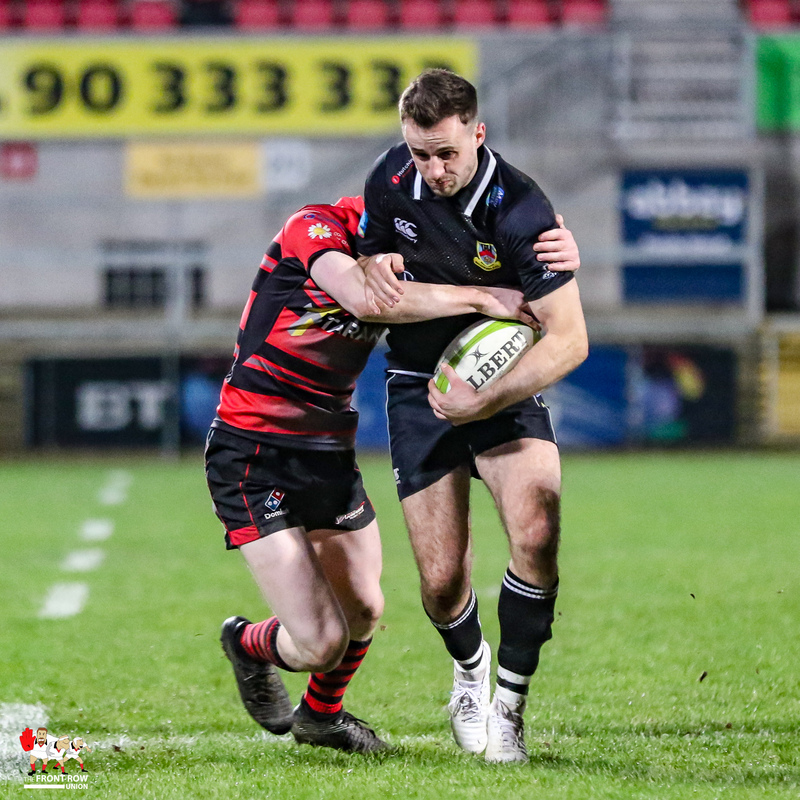 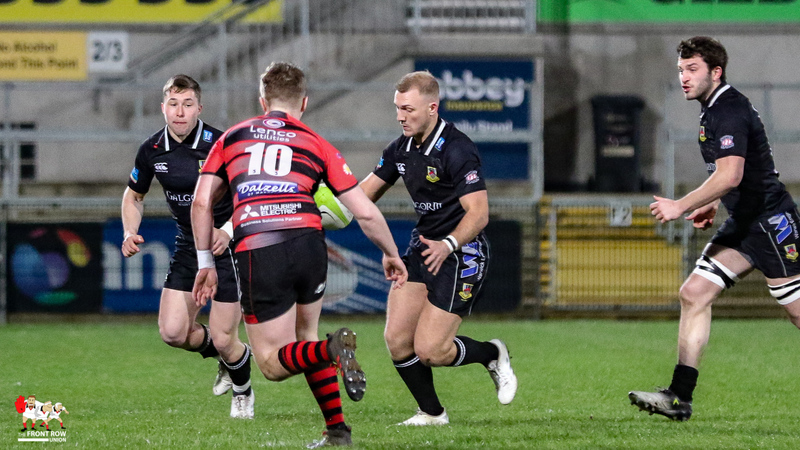 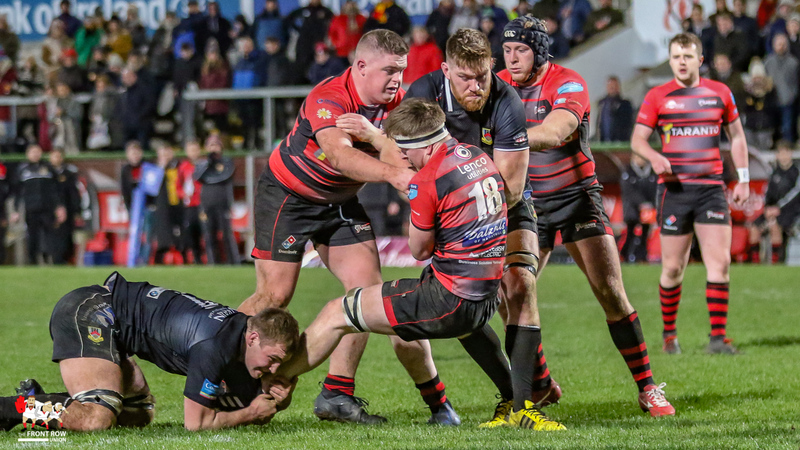 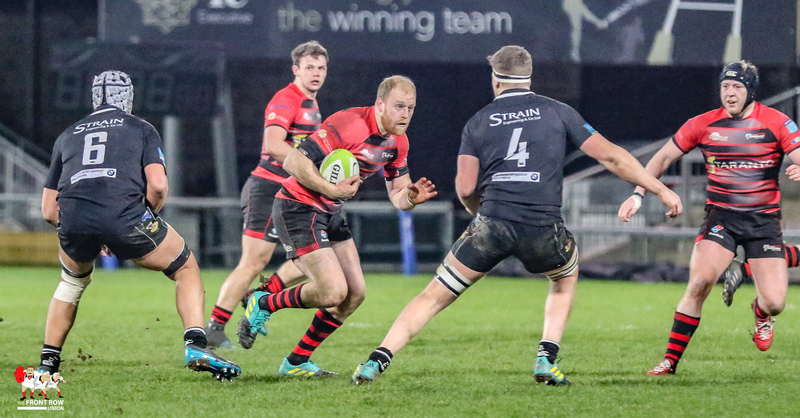 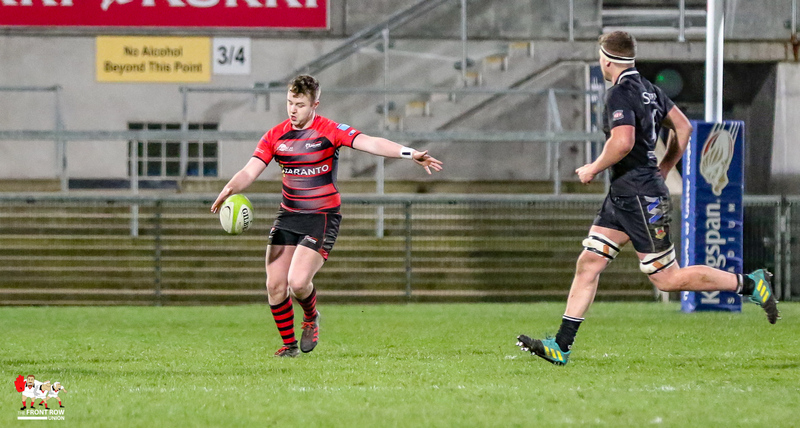 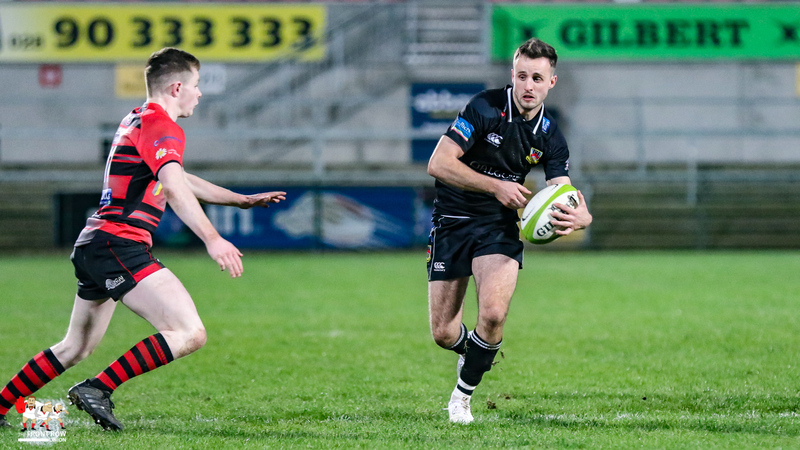 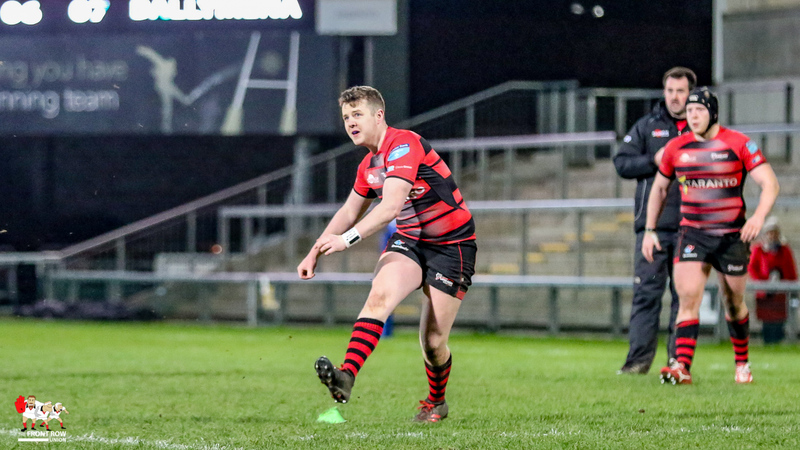 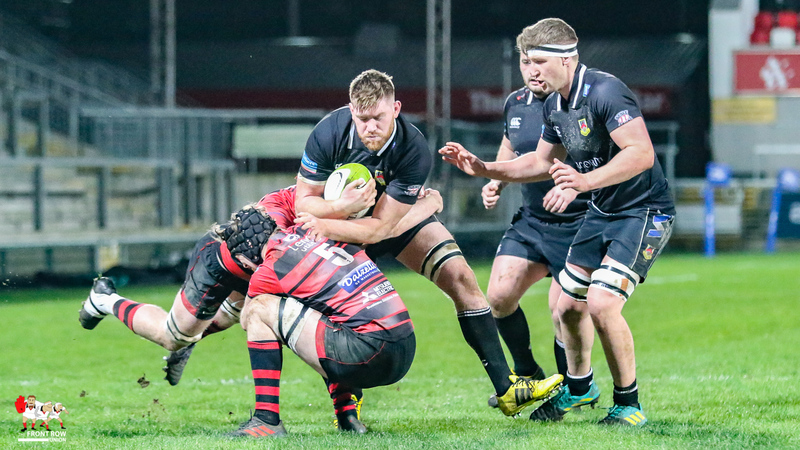 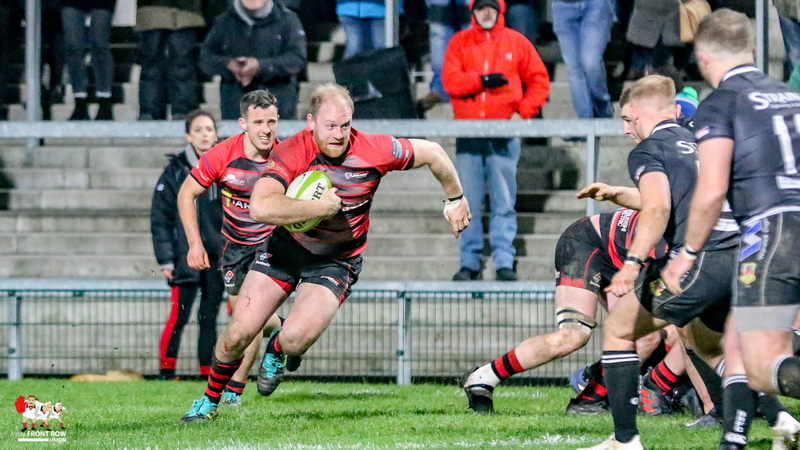 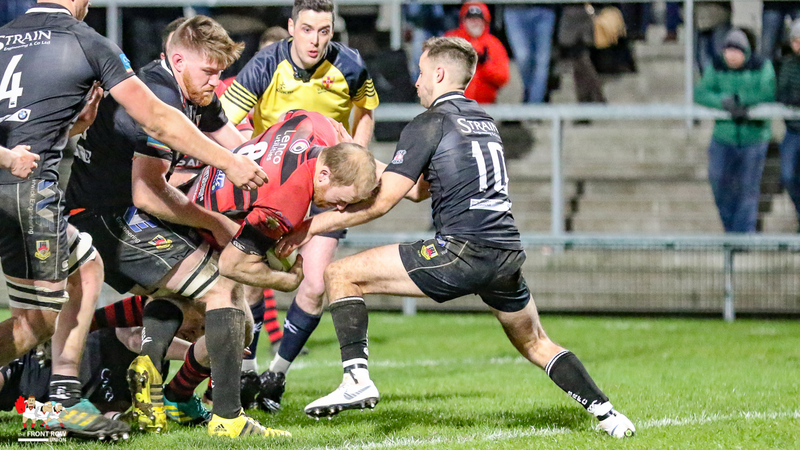 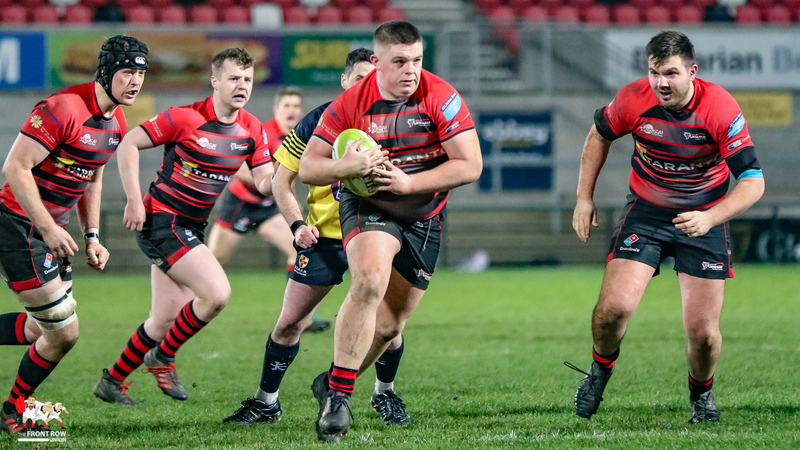 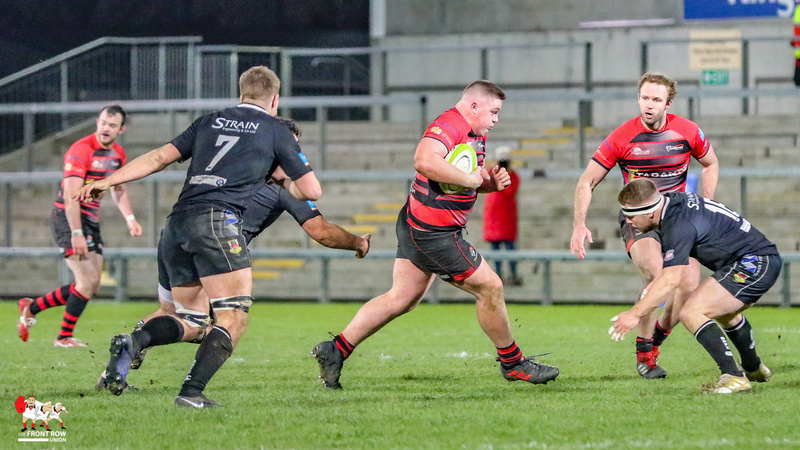 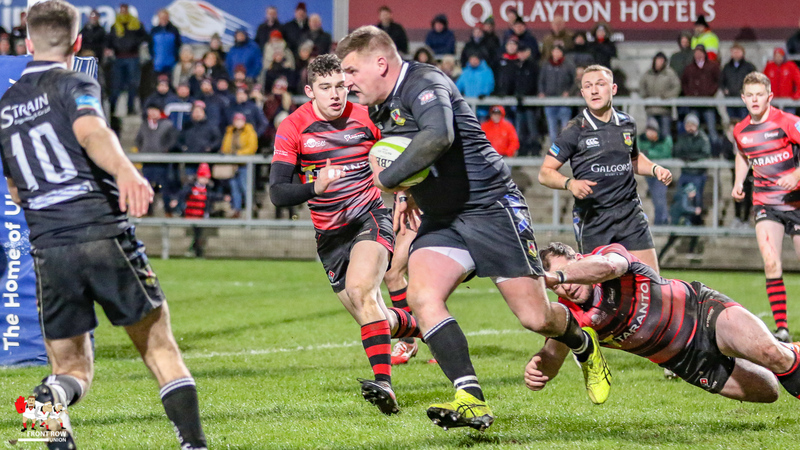 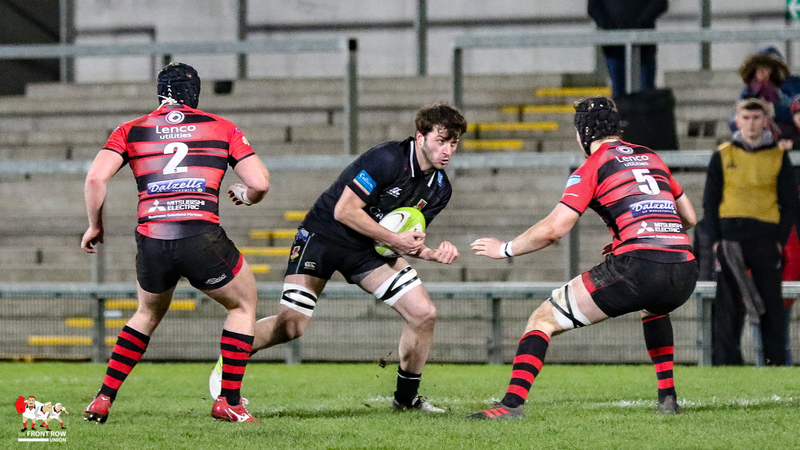 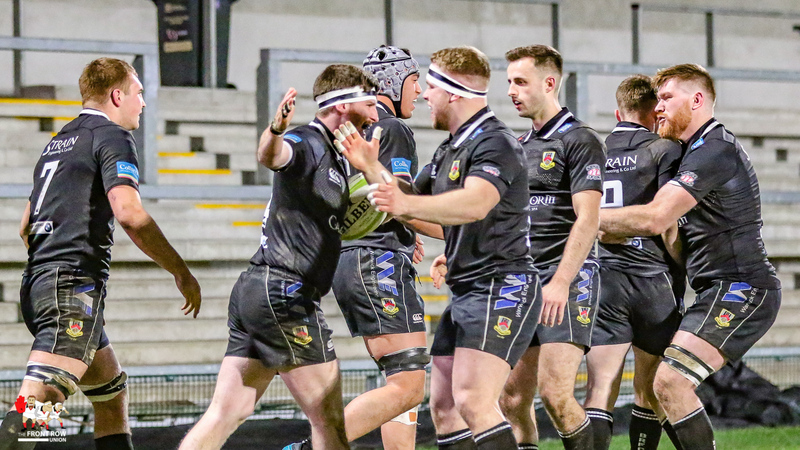 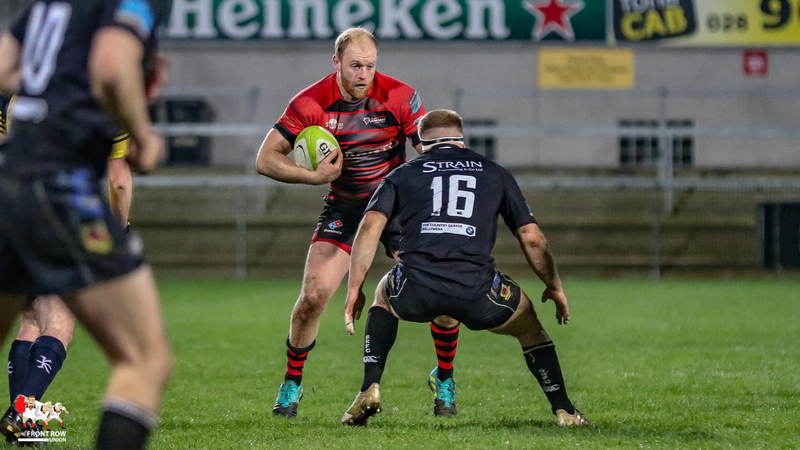 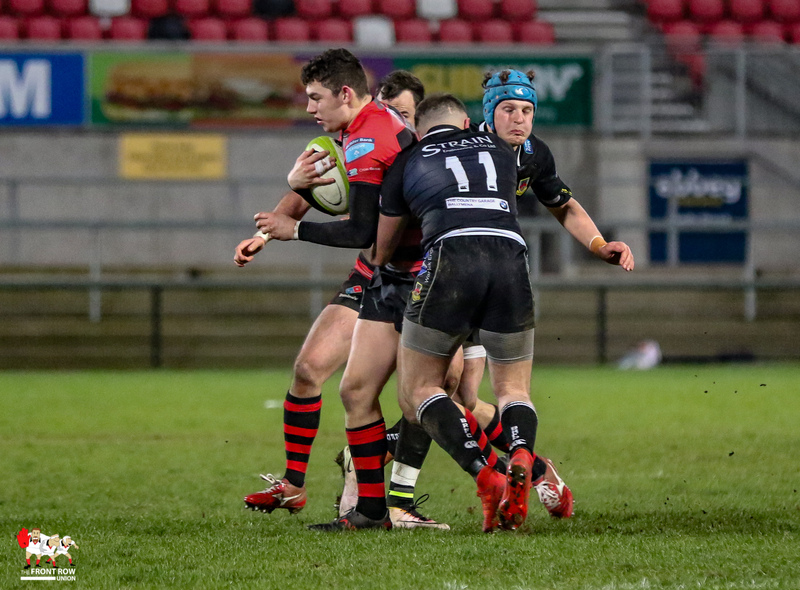 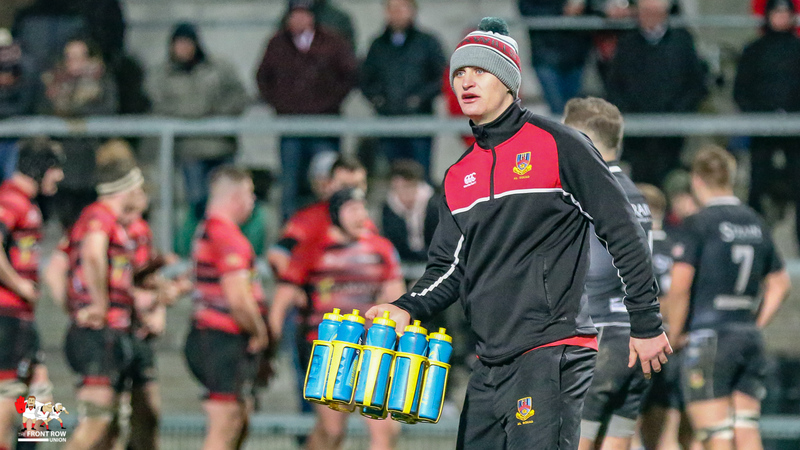 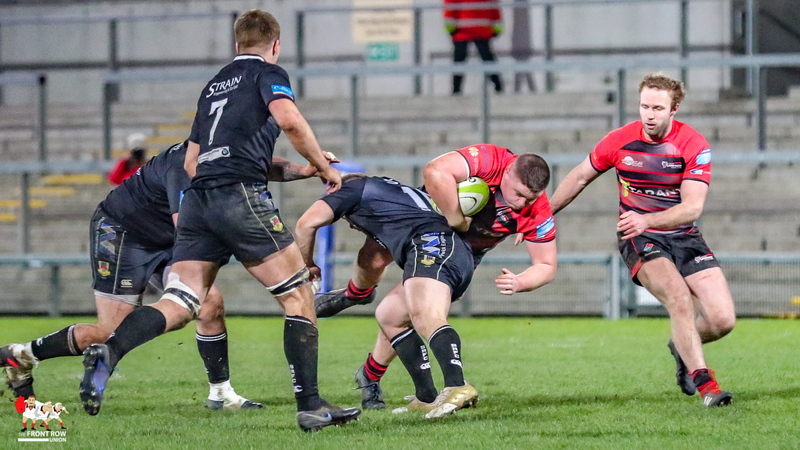 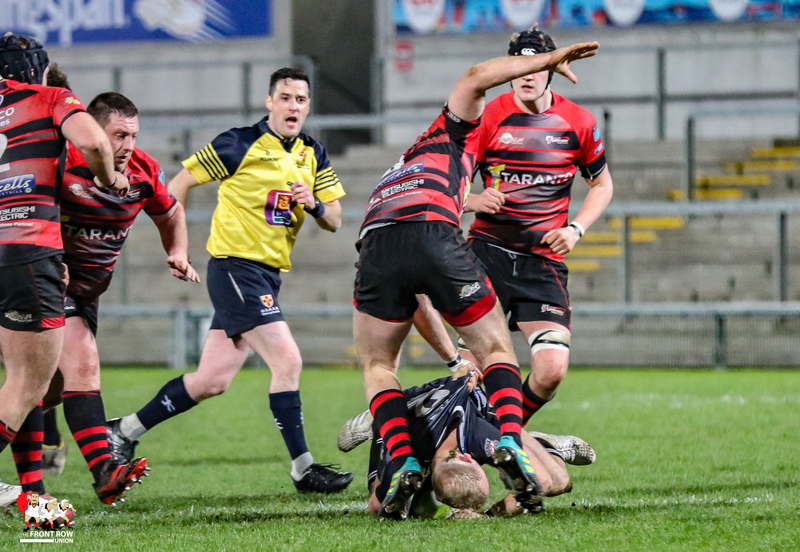 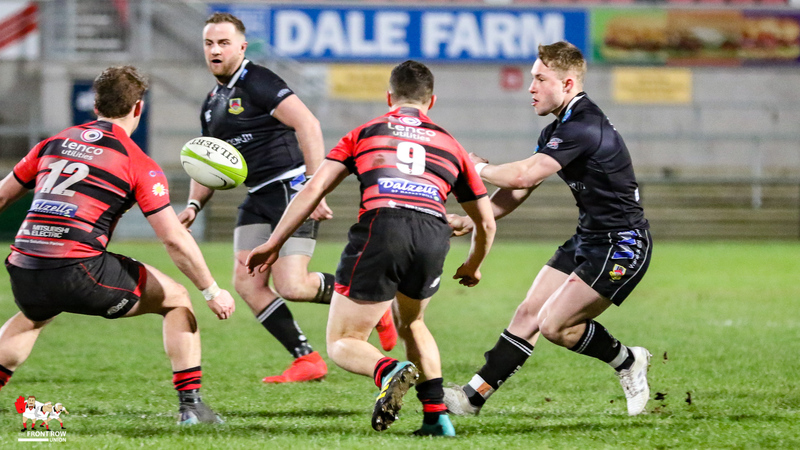 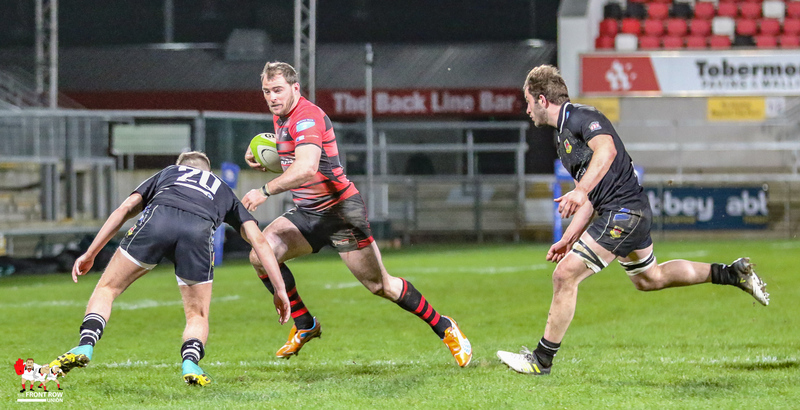 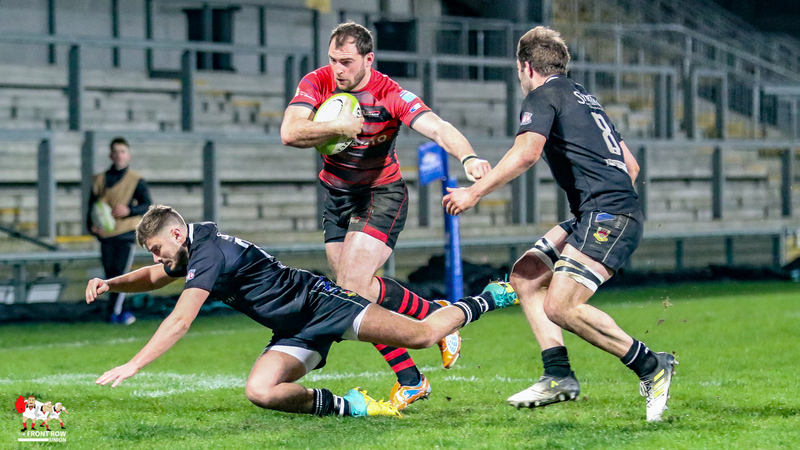 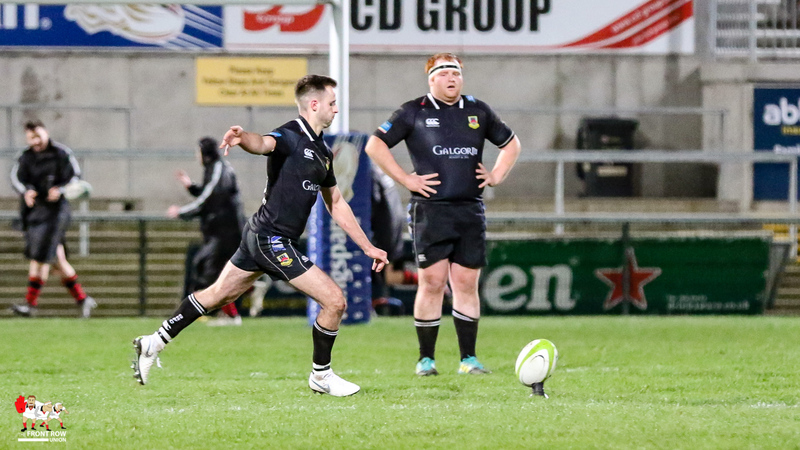 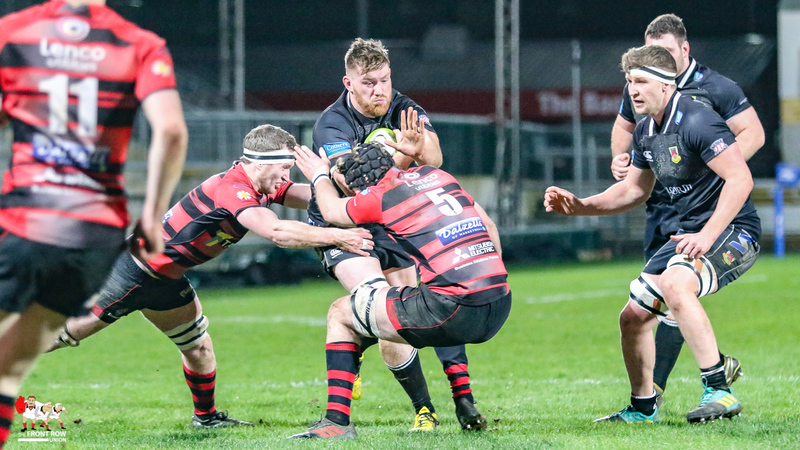 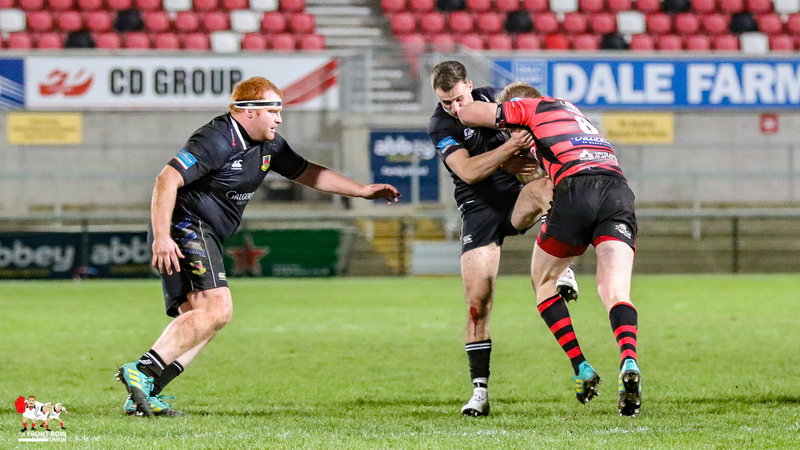 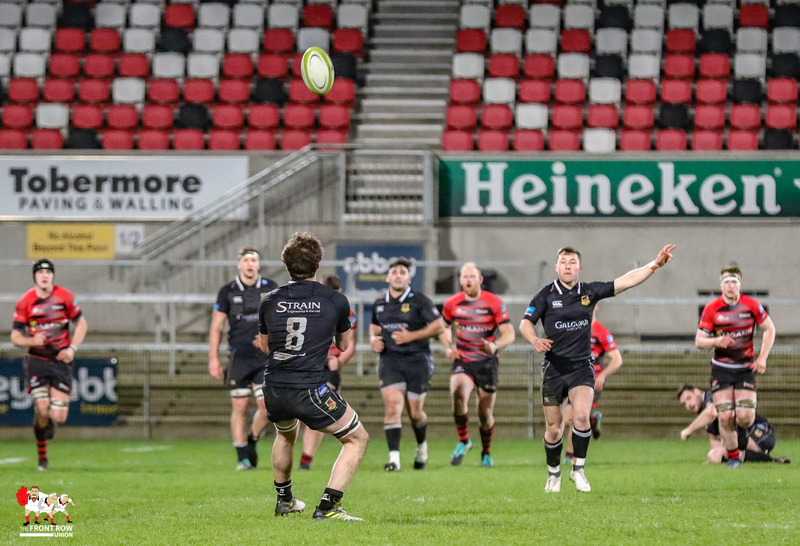 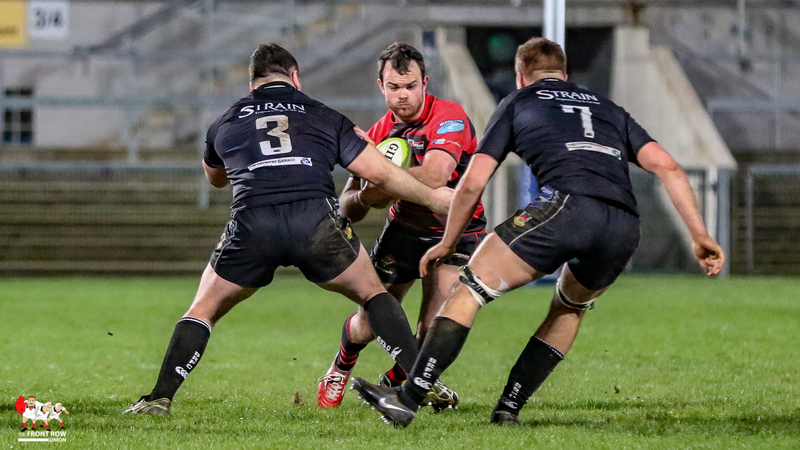 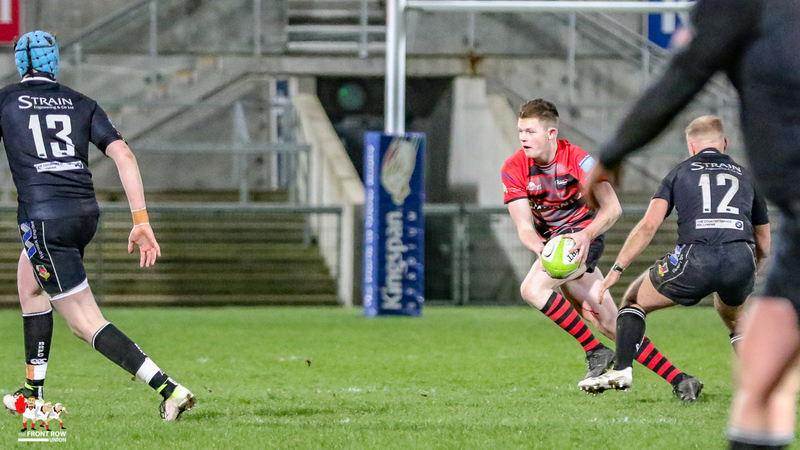 City of Armagh continued their recent upward trajectory by winning the Ulster Senior Cup against Ballymena at a stormy Ravenhill last night. 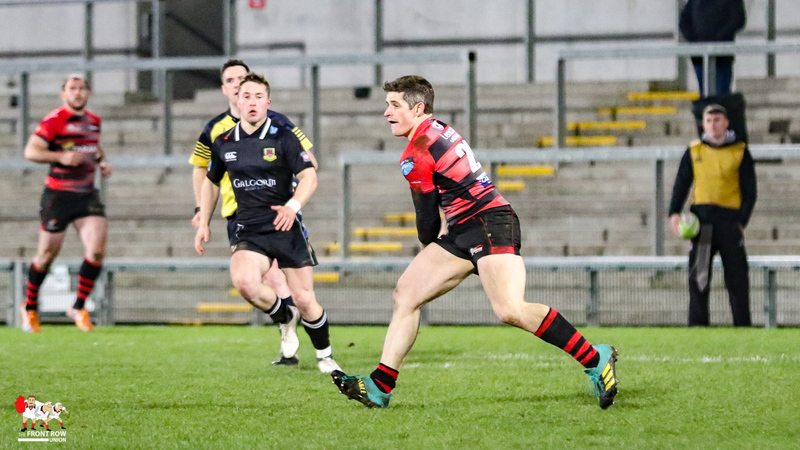 Out half Cormac Fox scored all the points for the Armagh team in their 9 – 7 win, landing three penalties. 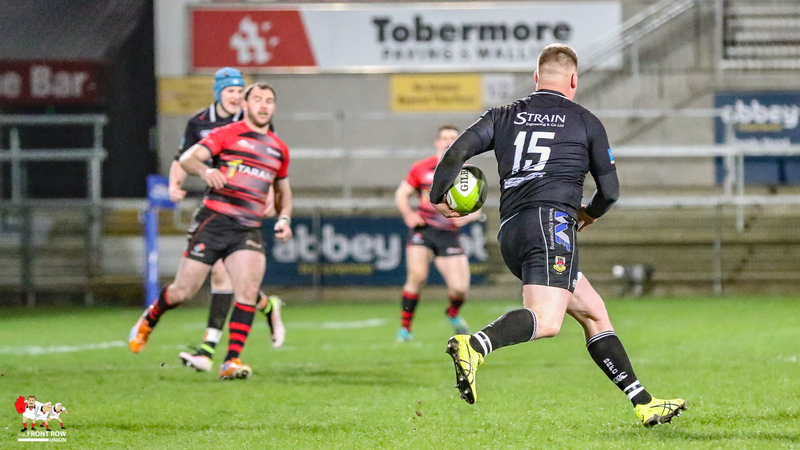 Ballymena’s scores came from a Jonny McMullan try, converted by Tim Small. 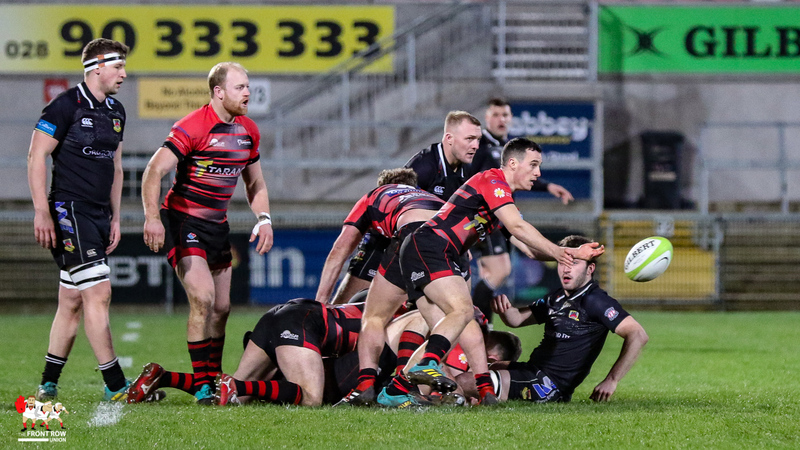 The remnants of Storm Erik influenced the game with a swirling wind making play difficult but the conditions suited the hard working Armagh side who kept it tight and close and dominated possession throughout by some margin. 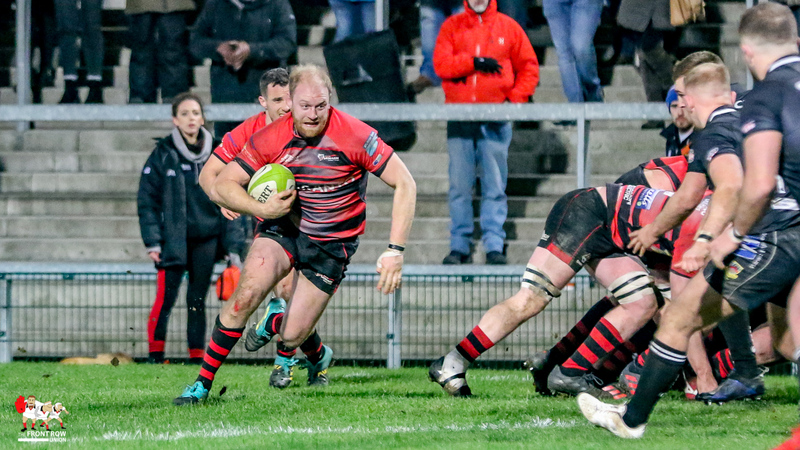 The Braid men looked dangerous in attack, with Tim Small pulling the strings, but too often their final pass went astray after they had got into dangerous positions. 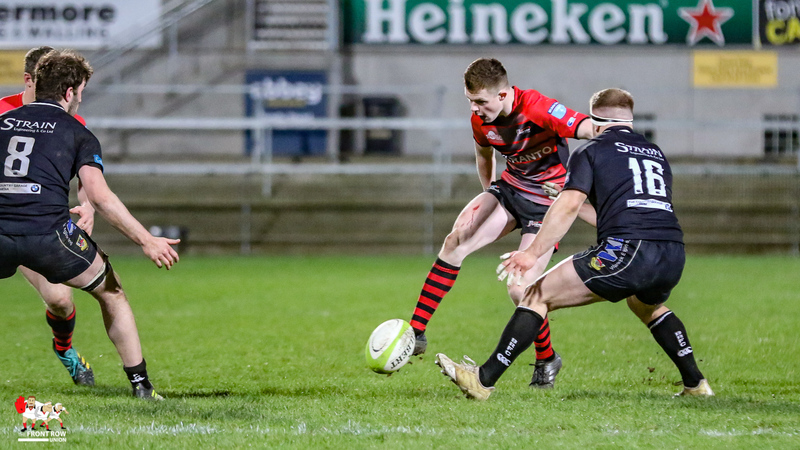 Armagh took a 3 – 0 lead from the boot of Fox after a break by full back Ryan Purvis. 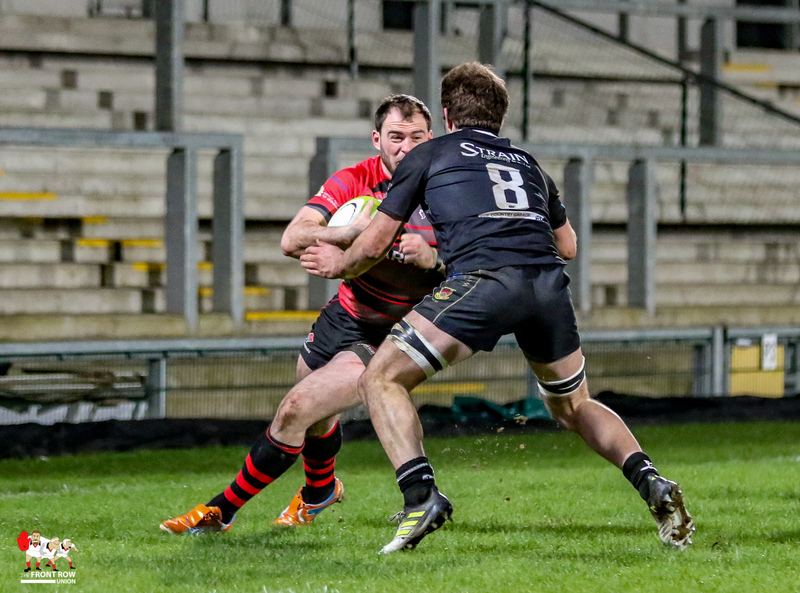 Small looked to equalise shortly after with a long range effort but it was well short. 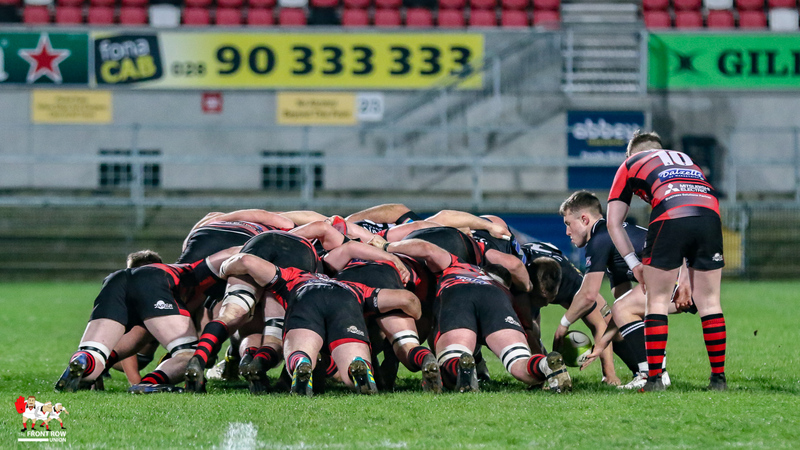 There wasn’t much excitement in the first half. 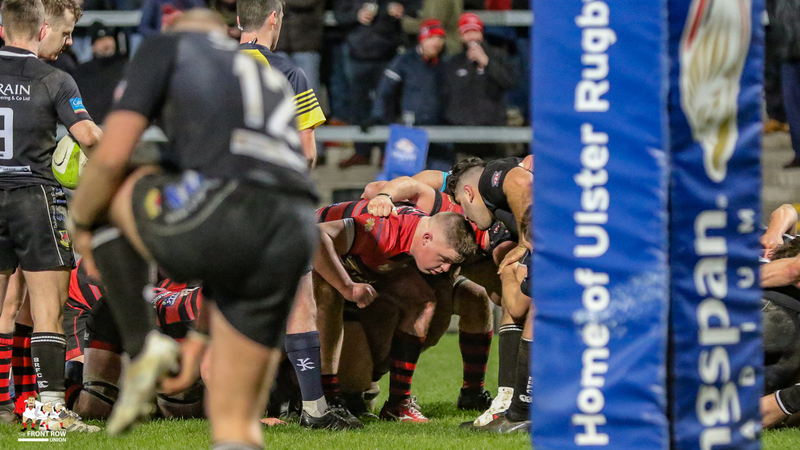 It looked for a while that Ballymena would dominate through thier scrum but Armagh worked that out and looked to be more dominant towards the end of the game. 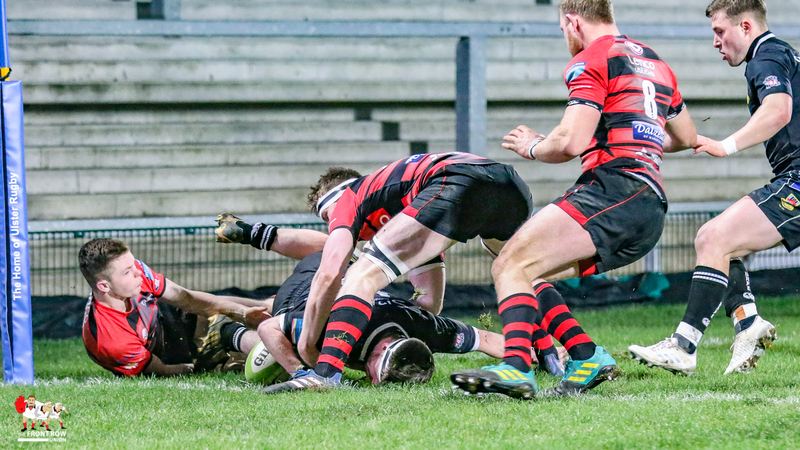 The try line was finally crossed with the last play of the half. 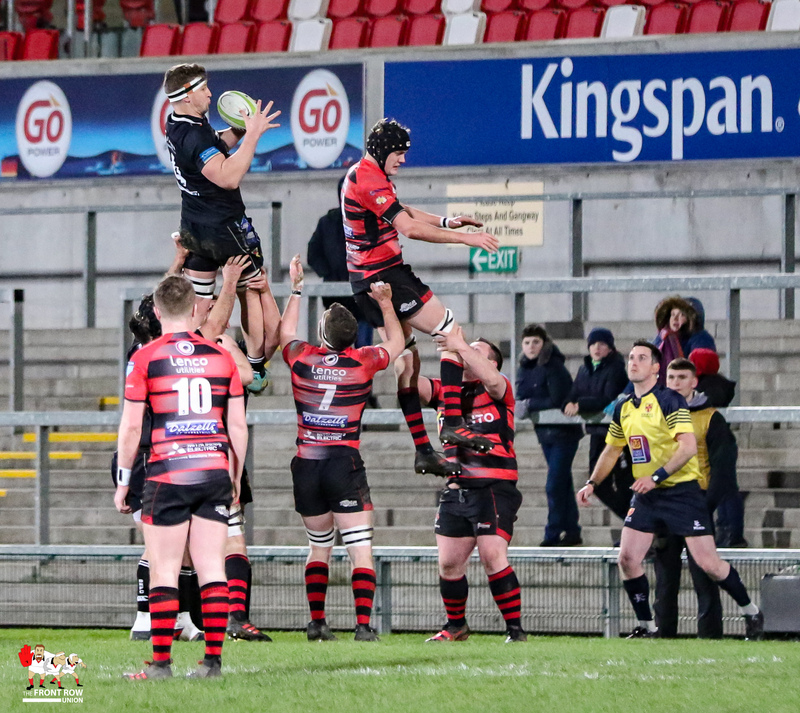 Ballymena scrum half Michael Stronge found acres of space off the back of a scrum to take the paly to about 15 meters out before feeding McMullan out wide. 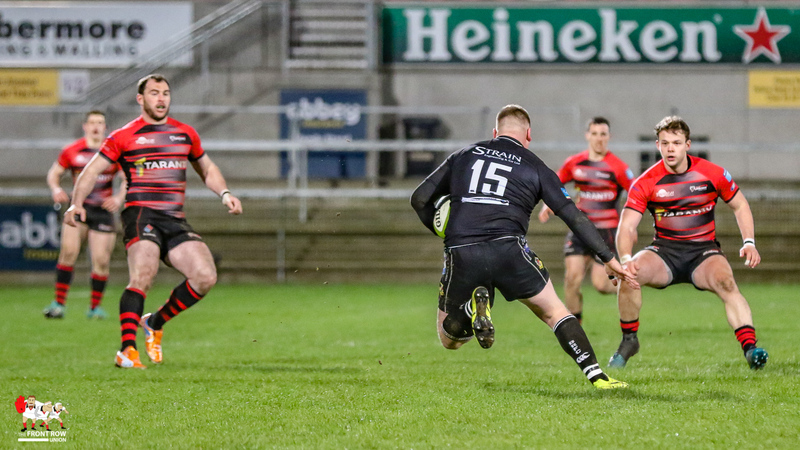 The winger still had plenty to do, as the Armagh defence scrambled across, but he launched himself early for the line and bounced over, taking a couple of Armagh defenders with him. 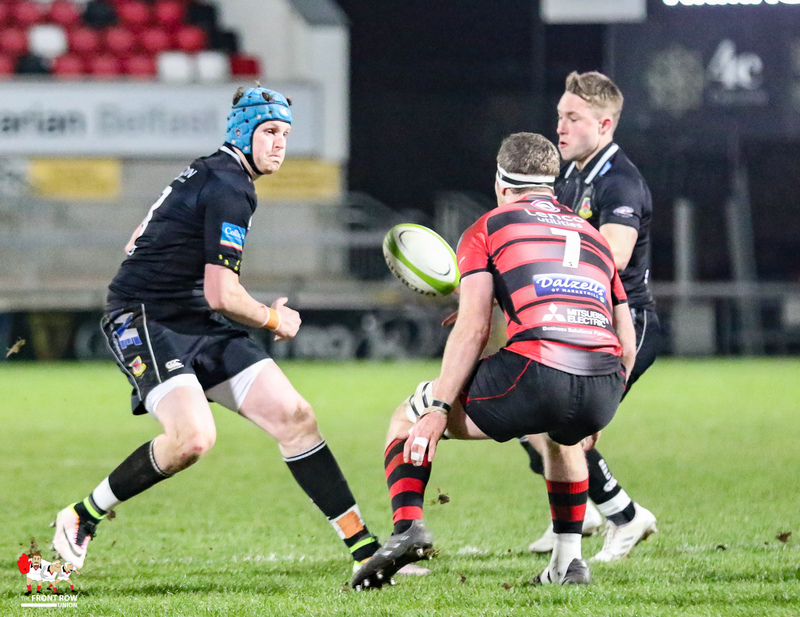 Small converted well from out wide to give Ballymena a 3 – 7 lead as the teams turned round. 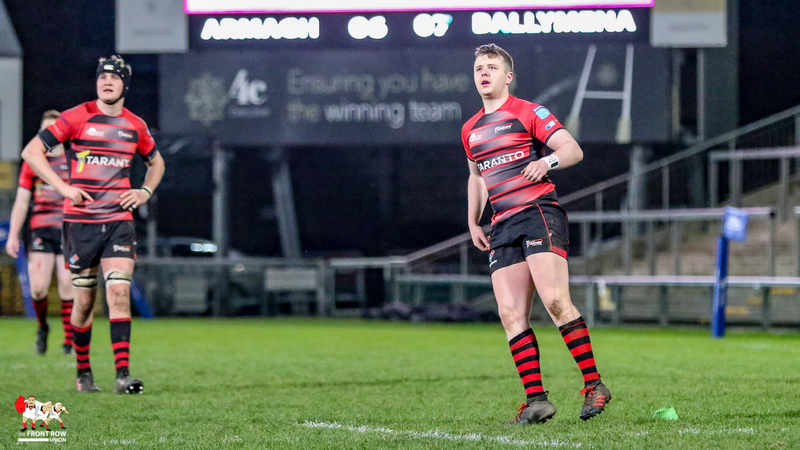 Ballymena enjoyed a period of concerted pressure at the start of the second half but by the end of the third quarter Armagh were well on top. 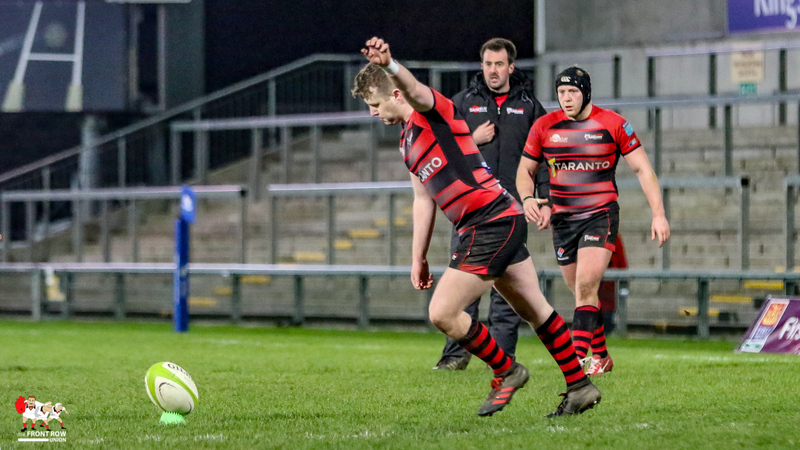 Fox knocked over his second penalty just before the hour mark to make it a one point game and the Orchard County boys set about pummeling the Braid men for the remainder of the game. 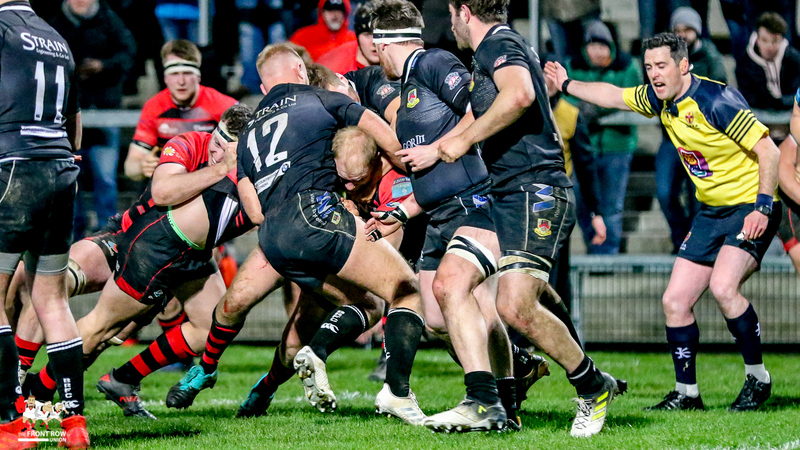 Their reward came with four minutes to go after a couple of strong scrums from Armagh ended with Neil Faloon charging for the line. 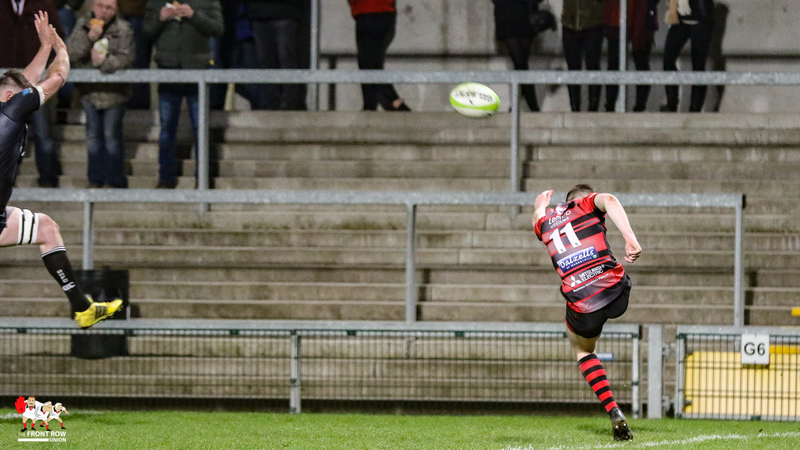 A high tackle ended this particular thrust and Fox stepped up to knock over the winner with four minutes remaining. 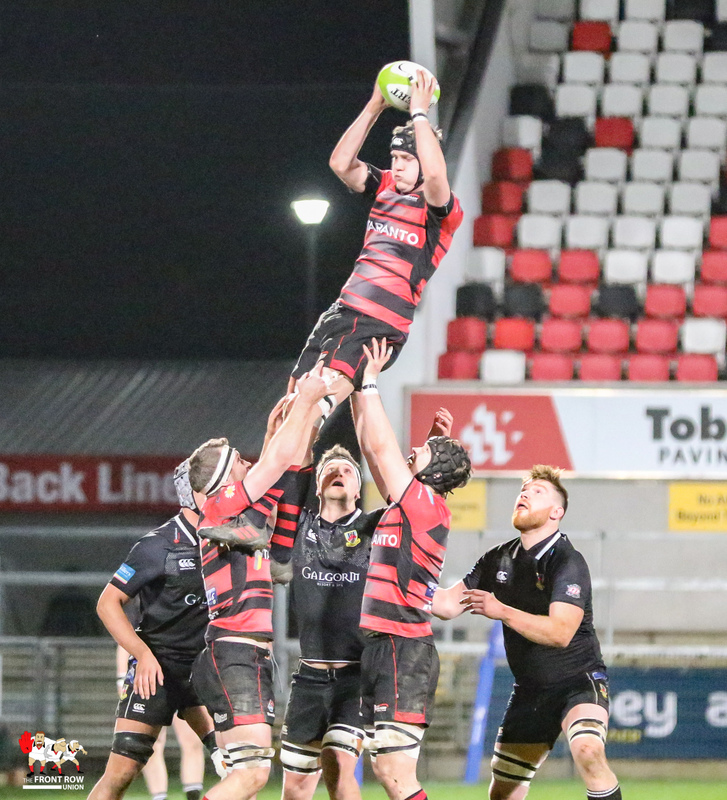 City of Armagh: R Purvis; A Willis, C Colvin (c), C Cousens, S O’Brien; C Fox, HDoyle; P Mullen, A Smyth, P Fletcher, J McKinley, P Starrett, J Hanna, R Whitten, N Faloon. 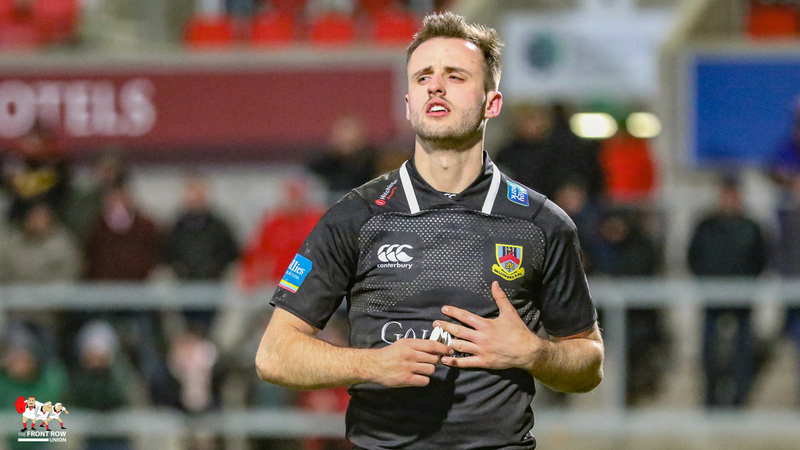 Replacements: J Morton, O Kiernan, N Simpson, E Crummie, J Pollock. 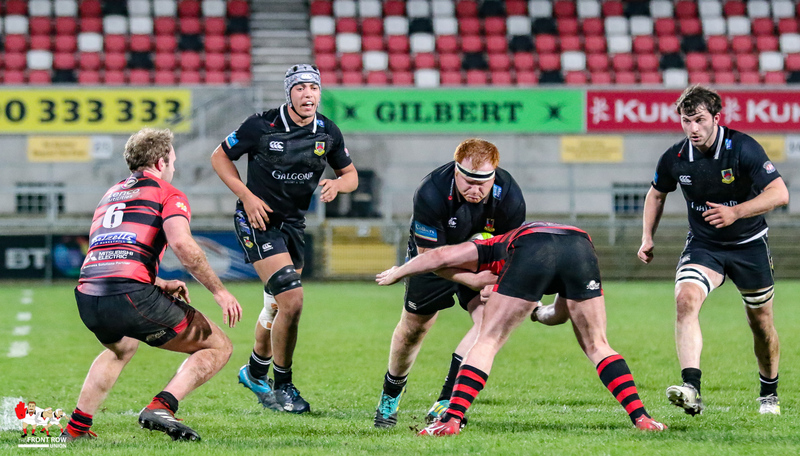 Ballymena: R McBurney; J McMullan, M Norris, G Baillie, D Montgomery; T Small, M Stronge; N Cladera, A Ferguson, C Cundell, D Whann, C Smyth, JJ McKee, M Rea (c), J Gallagher. 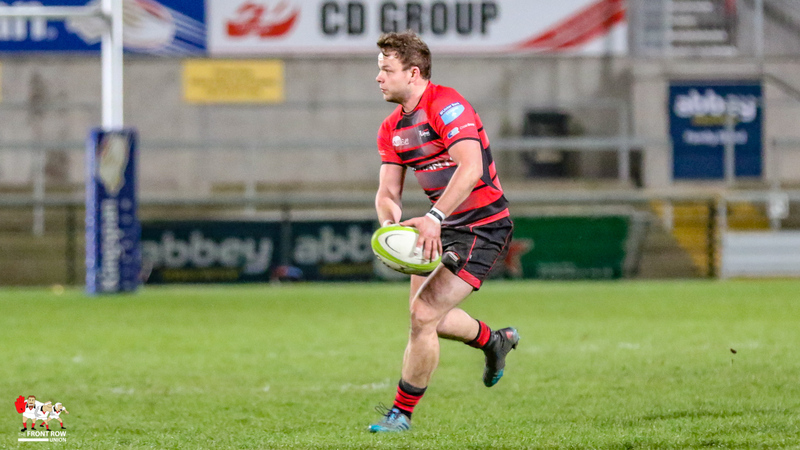 Replacements: J Spence, J Bill, J Taggart, C White, D Reynolds.